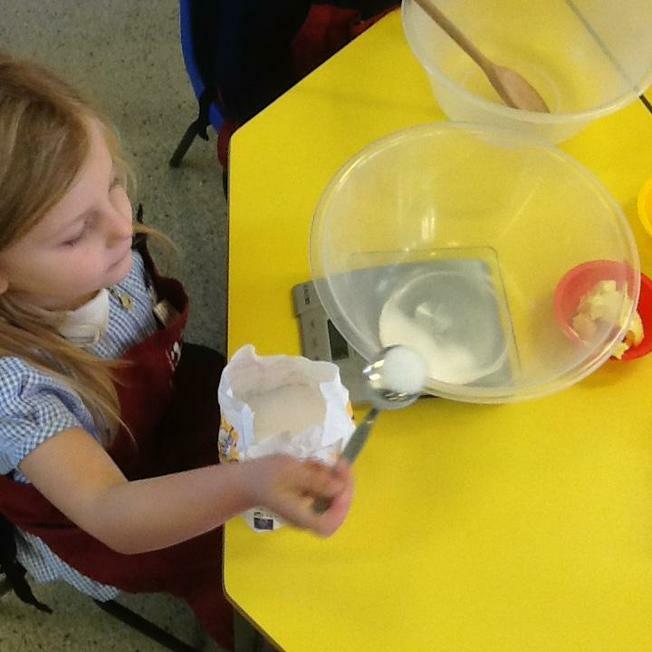 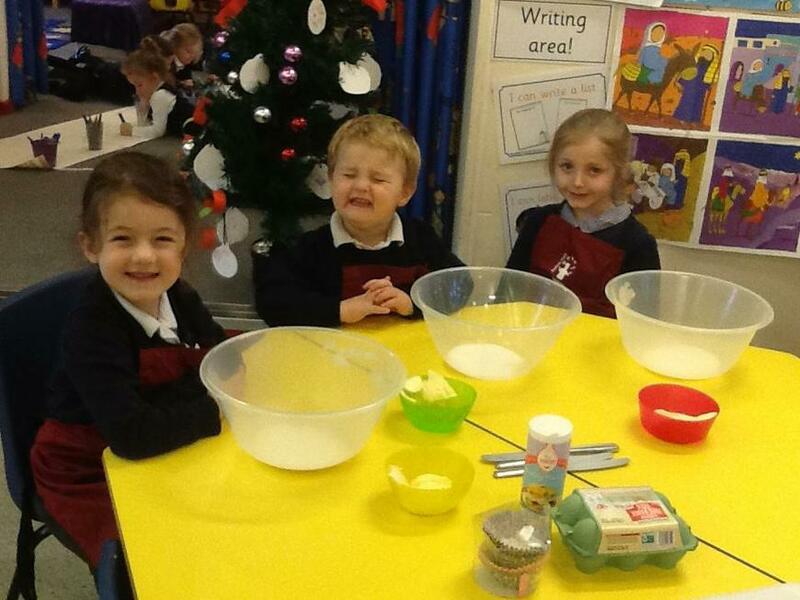 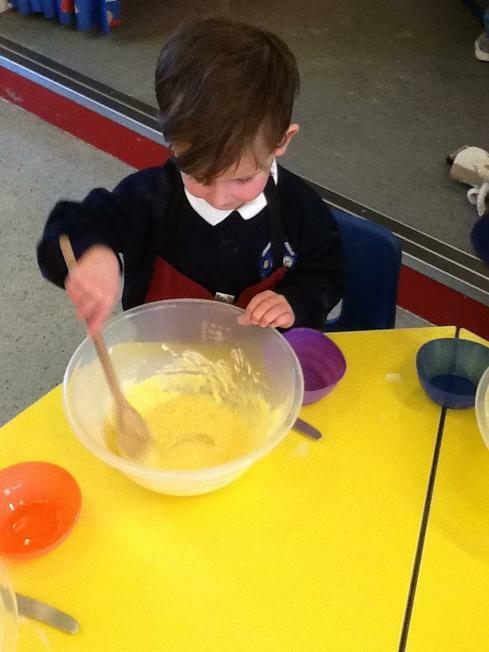 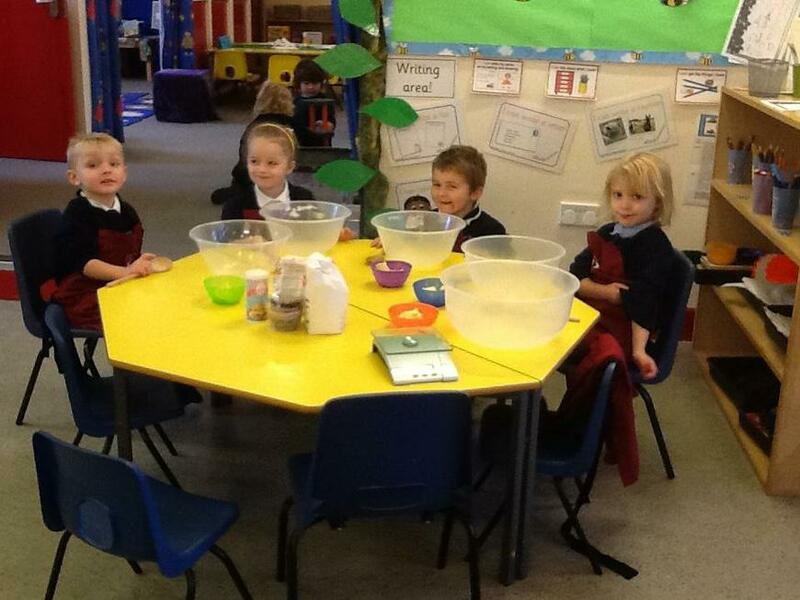 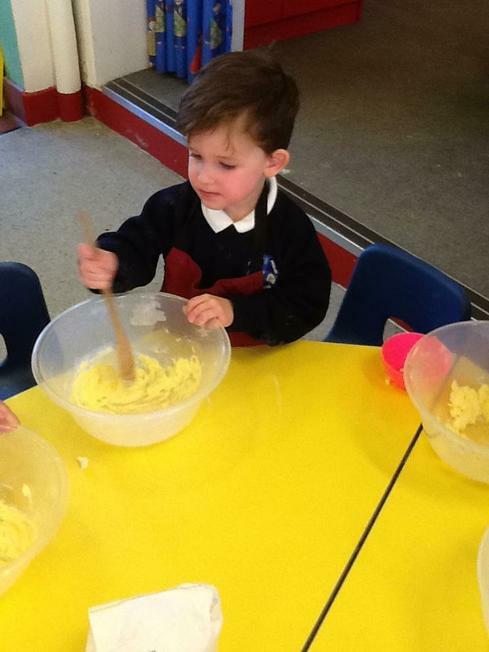 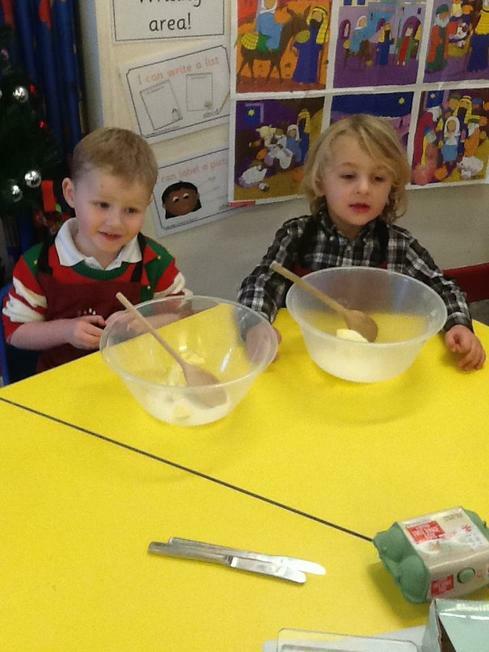 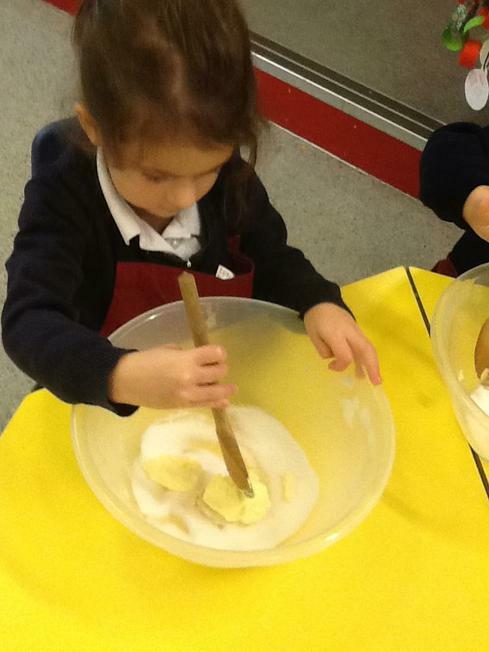 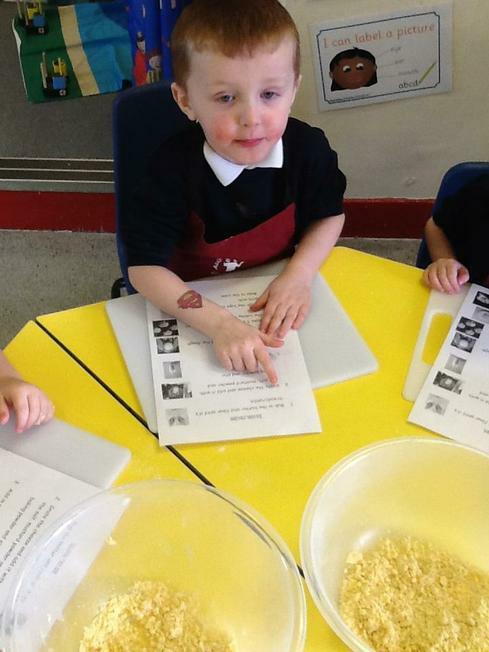 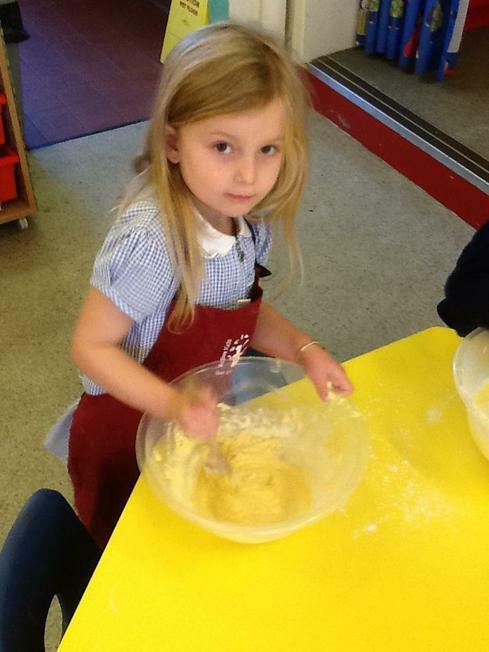 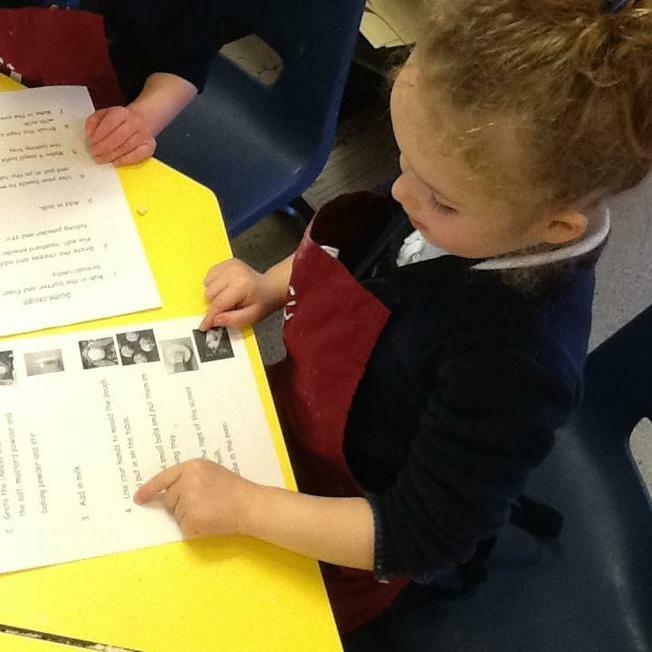 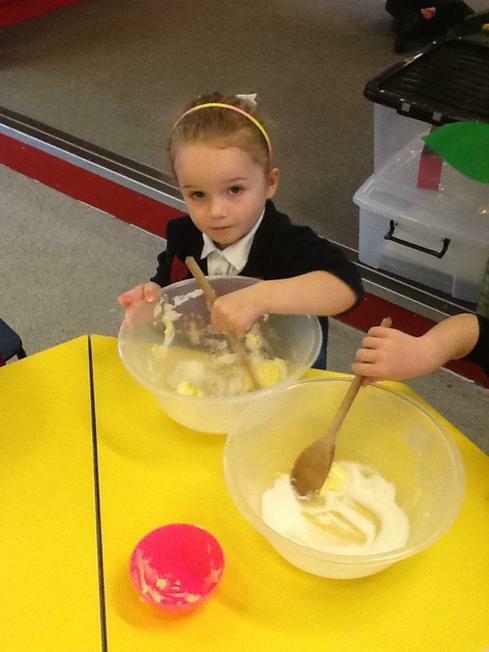 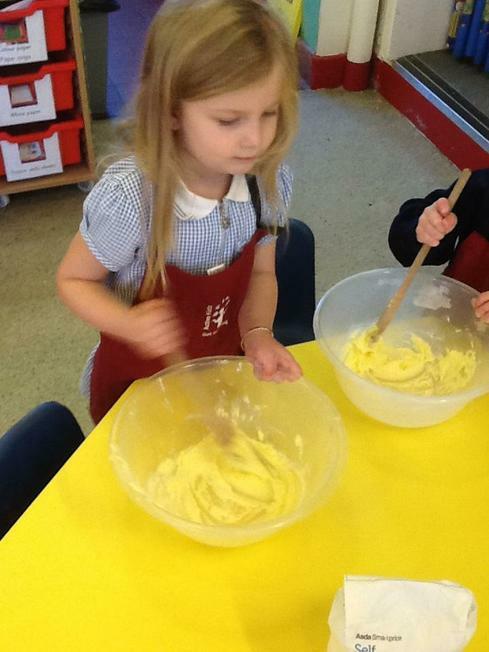 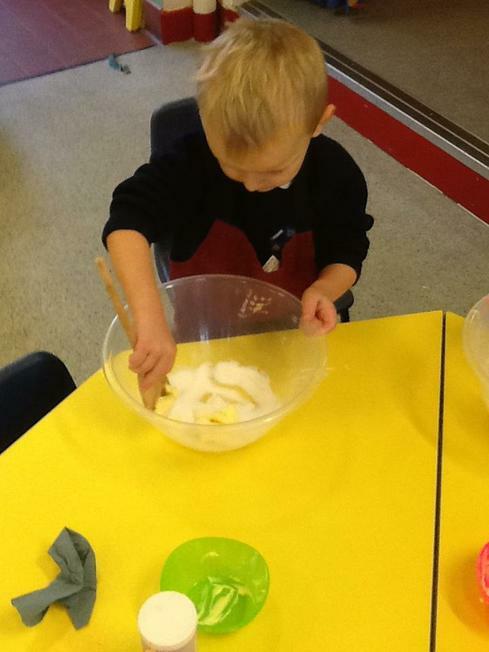 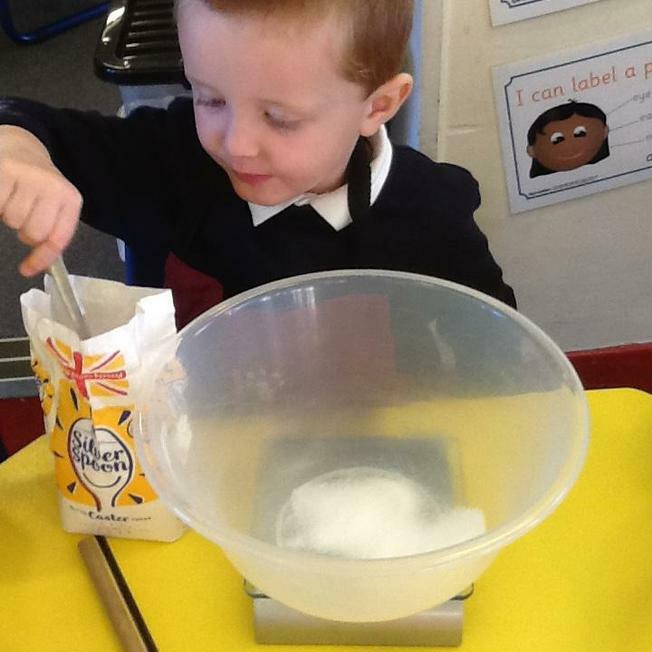 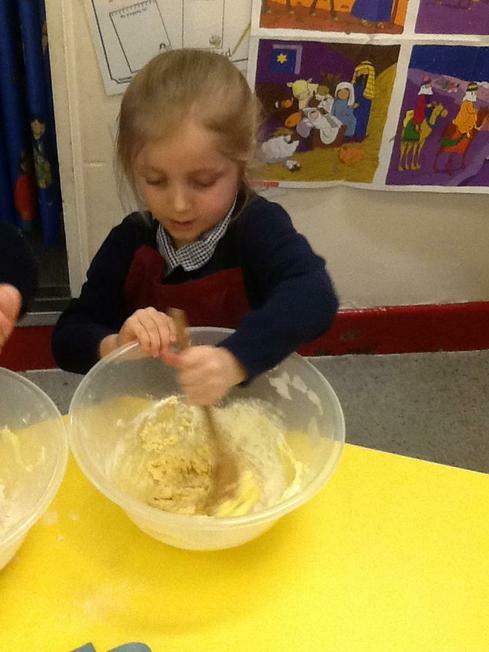 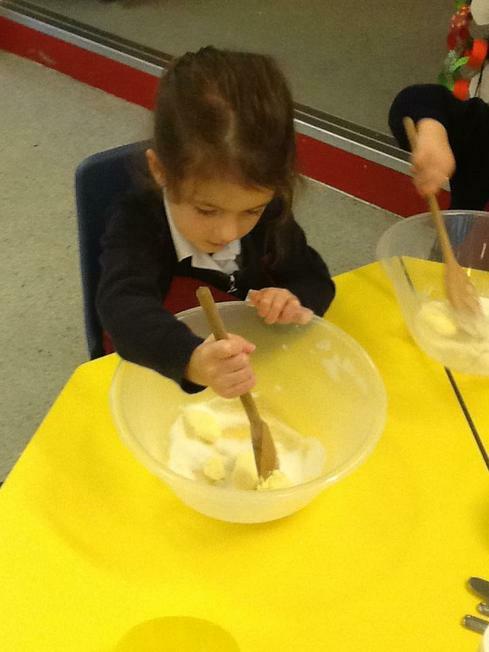 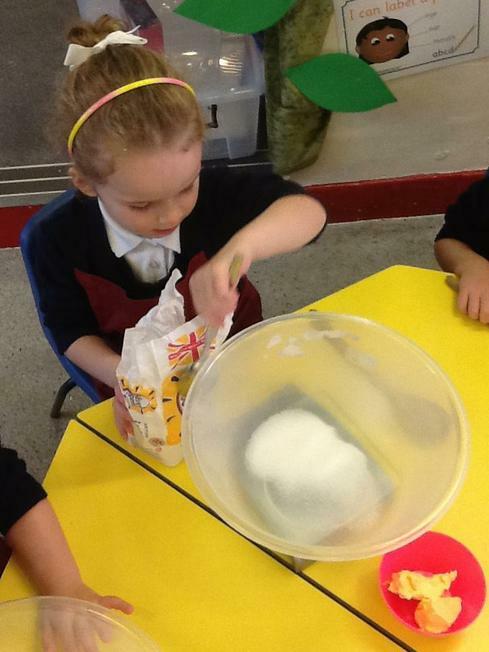 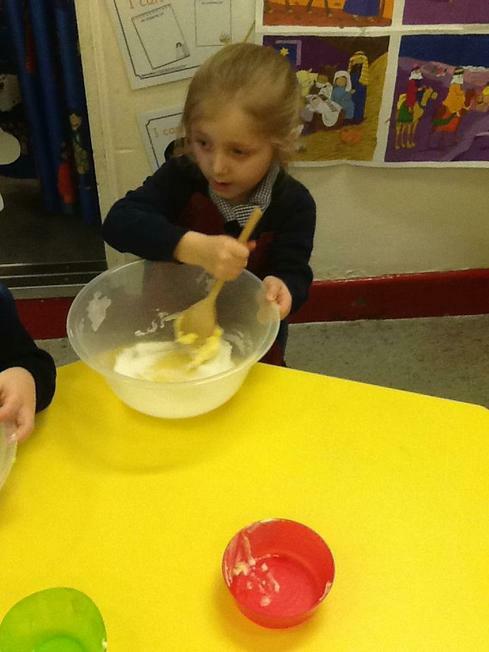 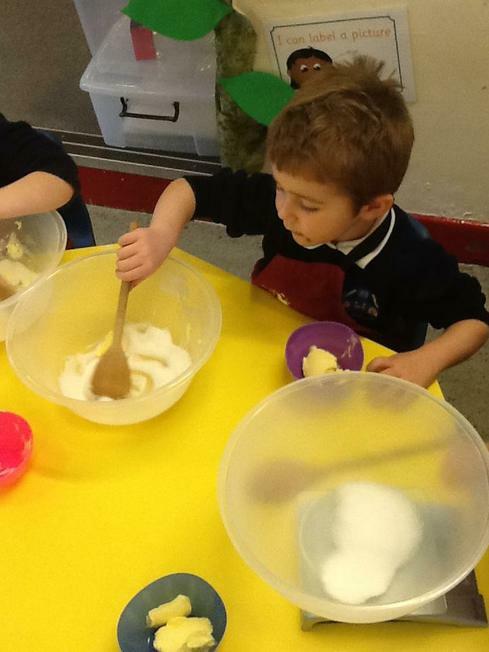 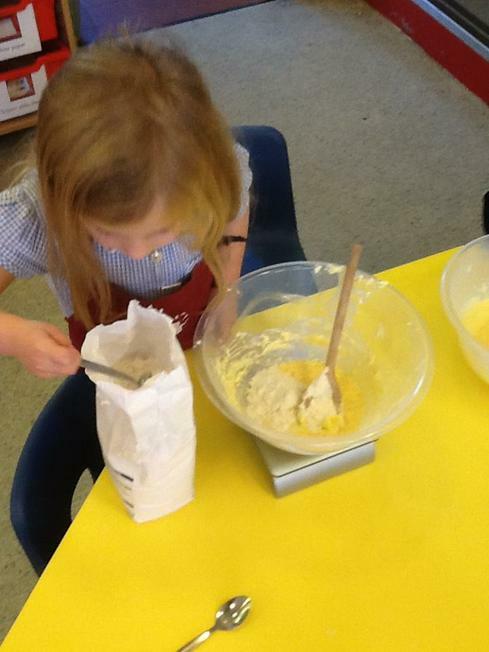 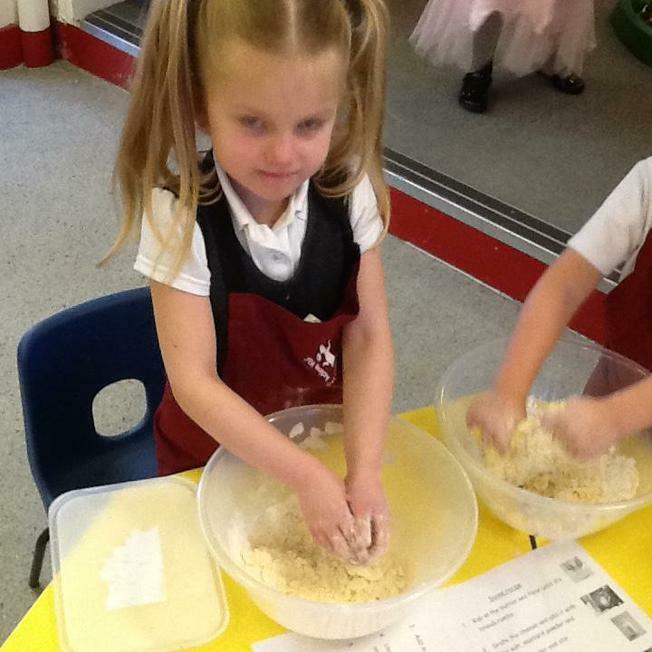 We have started cooking club at Teddy Bears. 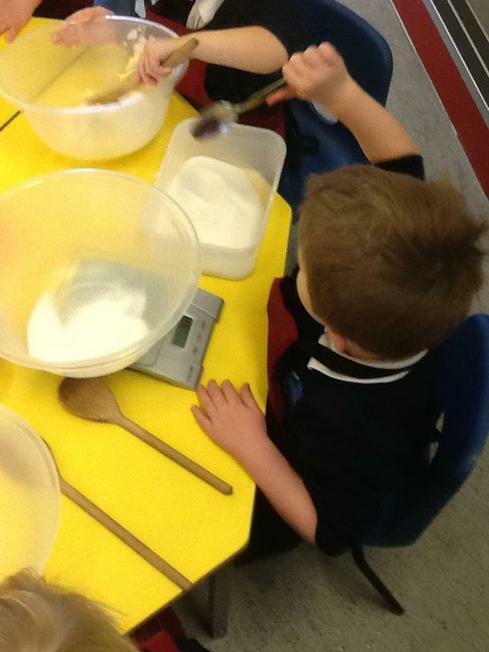 During these sessions, we weigh and mix all the ingredients ourselves. 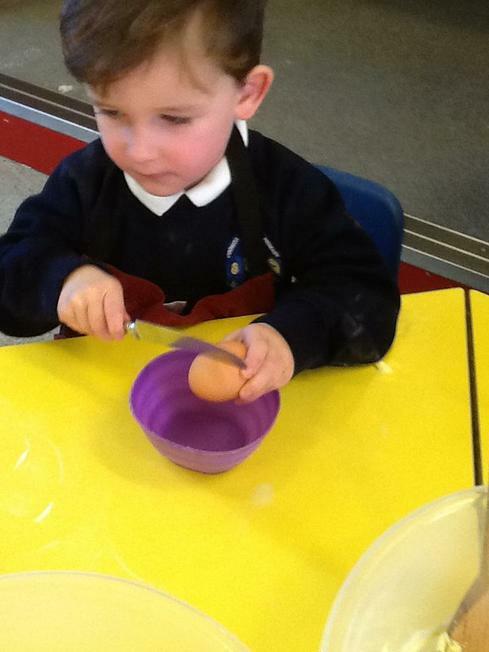 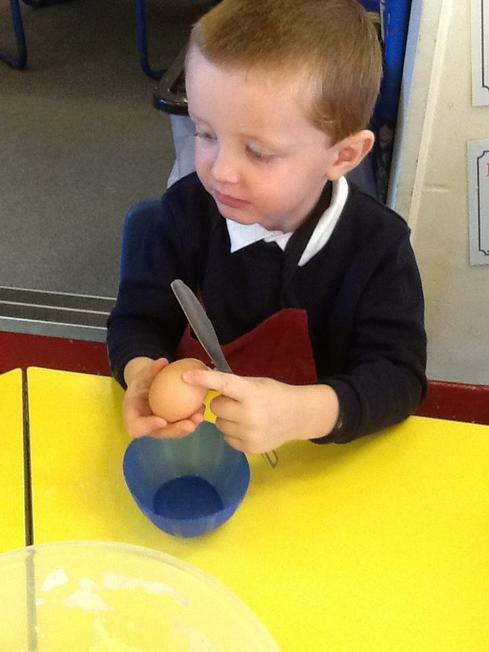 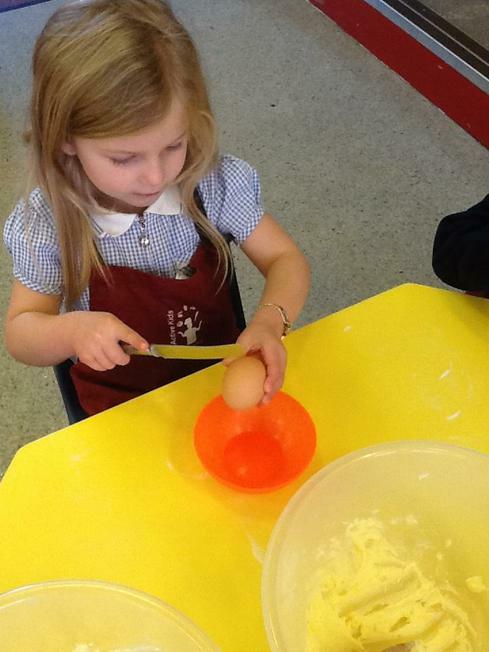 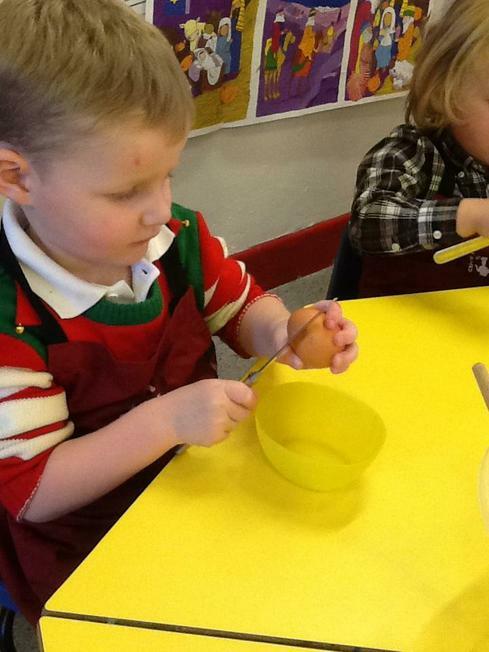 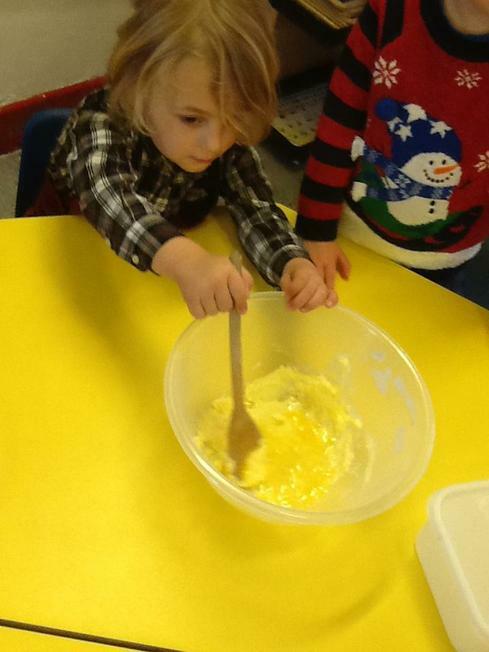 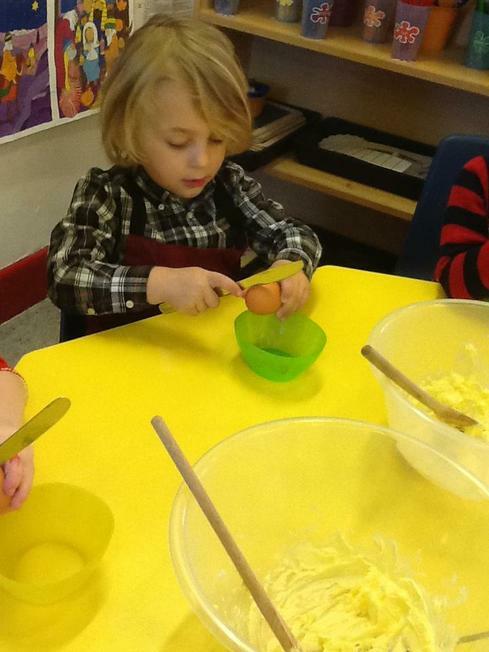 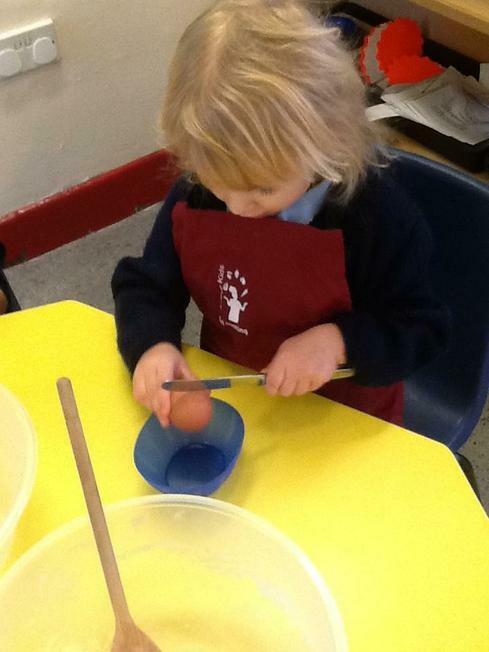 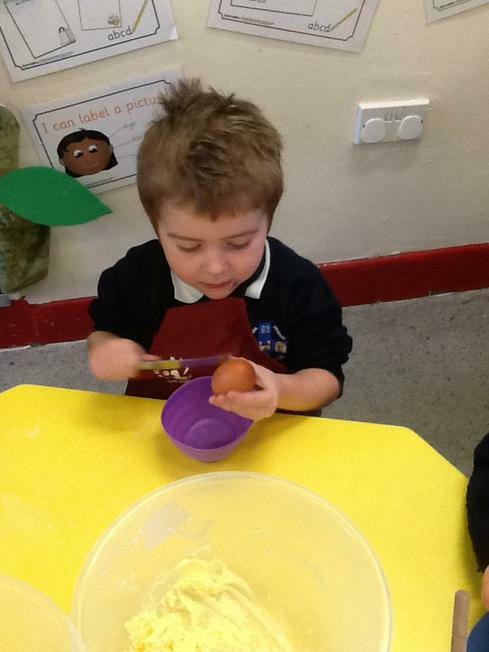 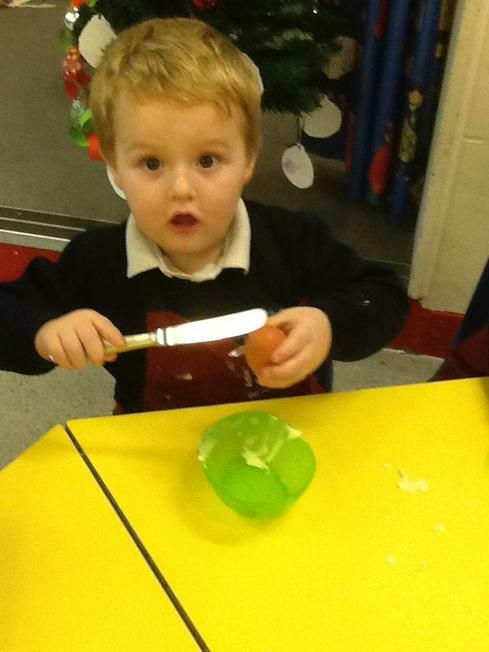 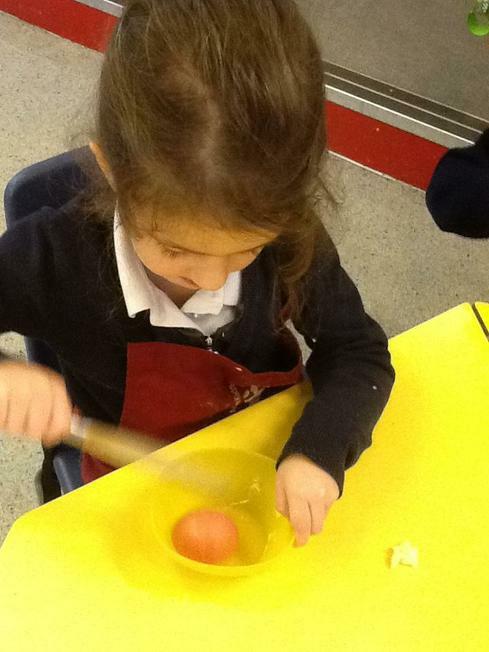 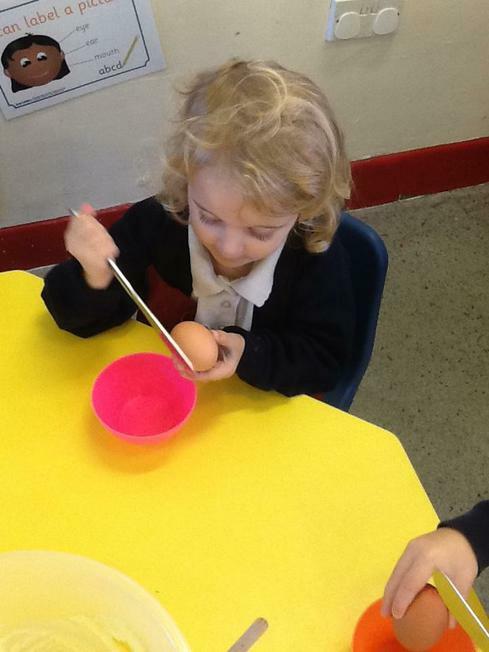 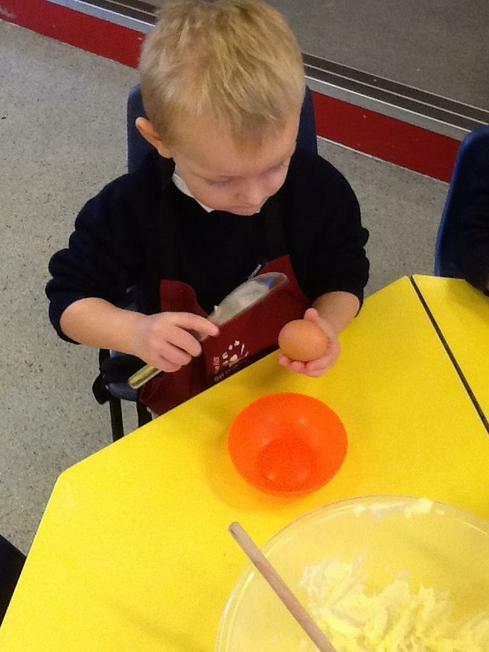 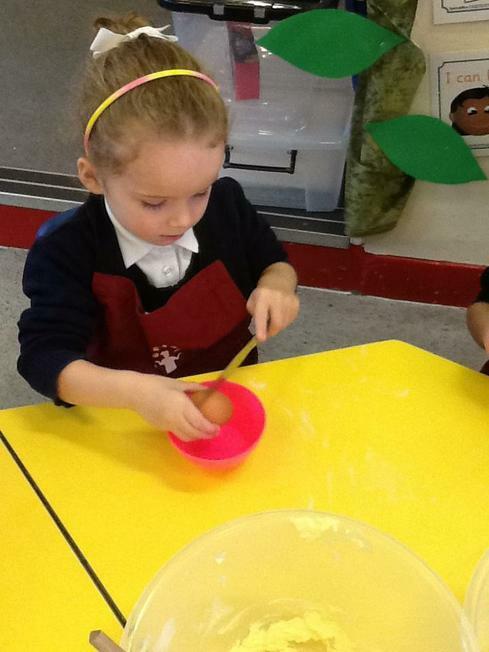 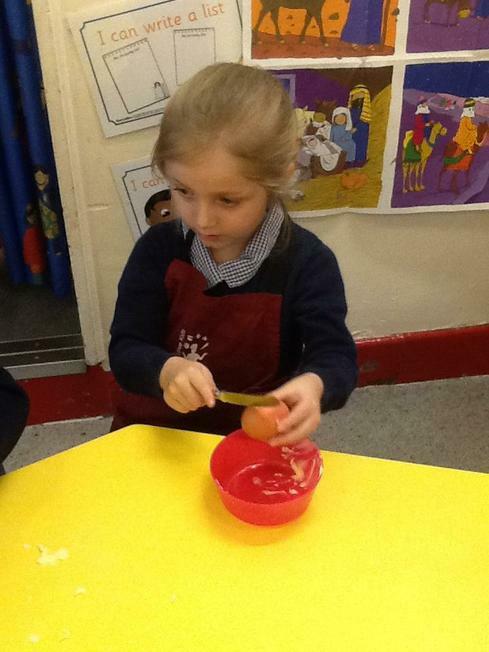 We use tools carefully to crack eggs and have a lot of fun in the process. 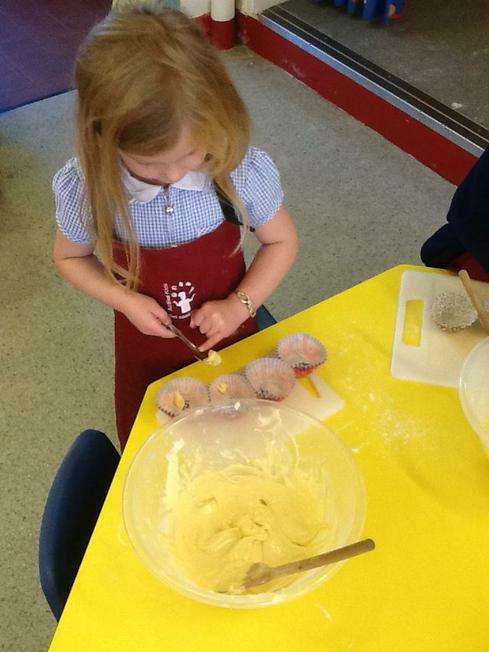 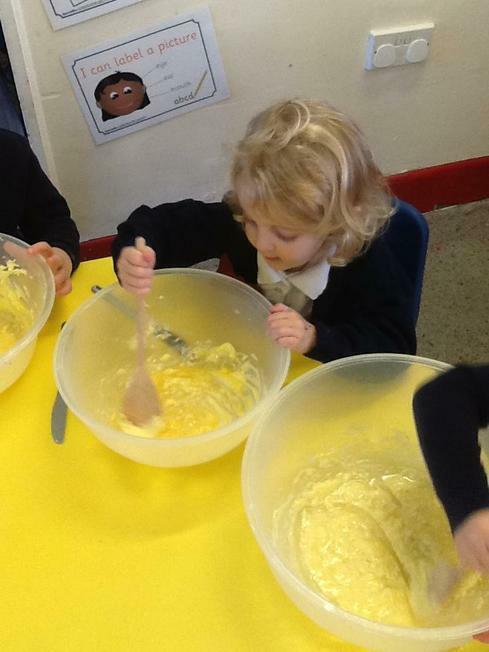 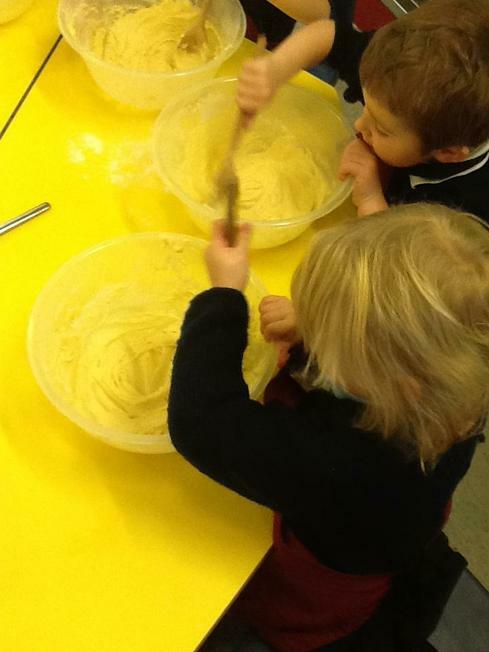 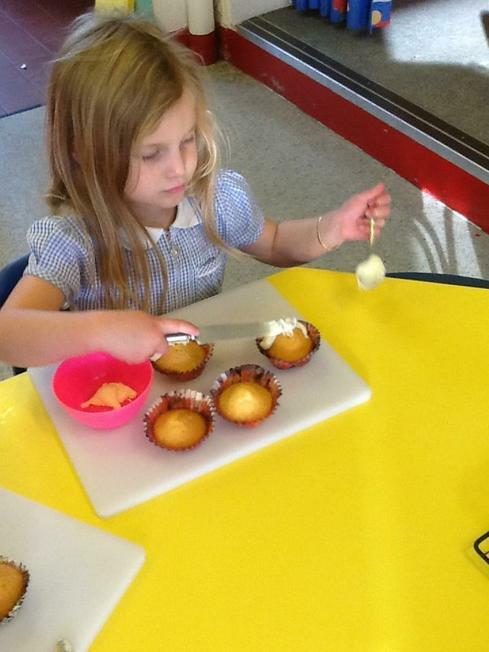 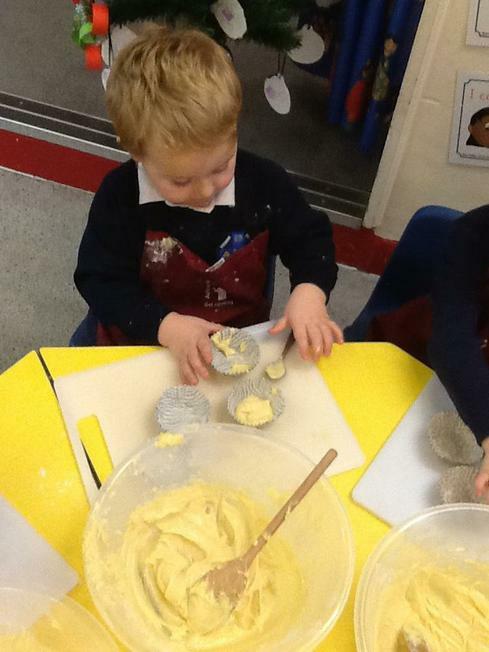 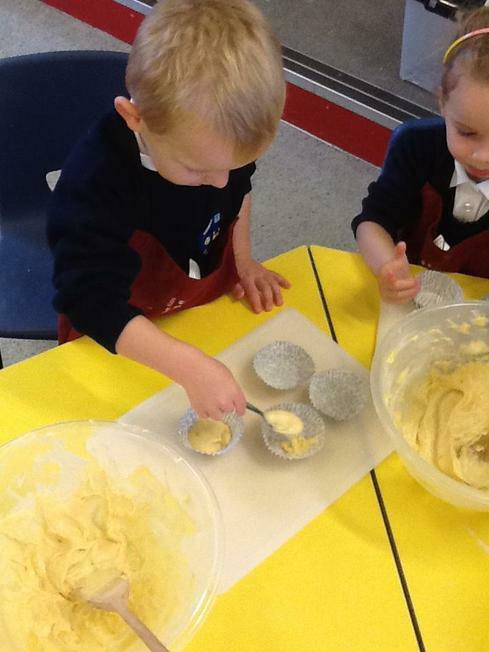 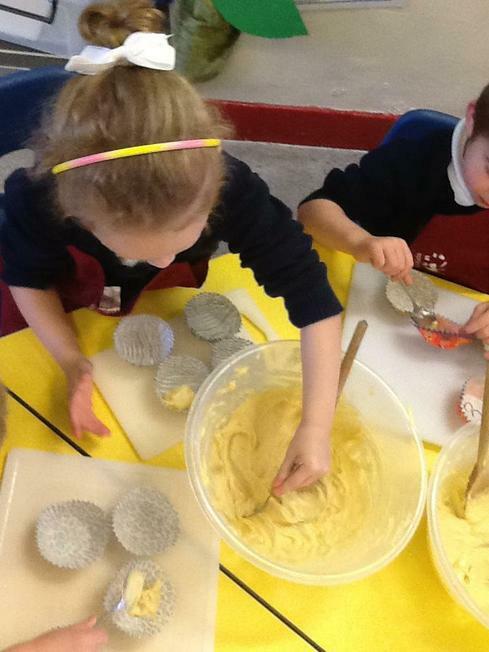 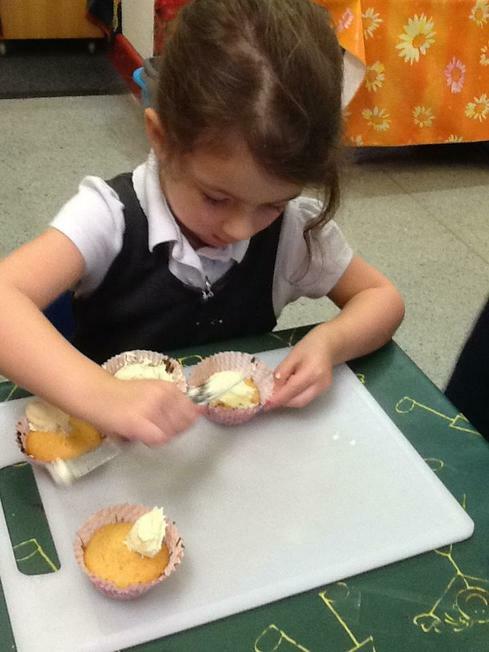 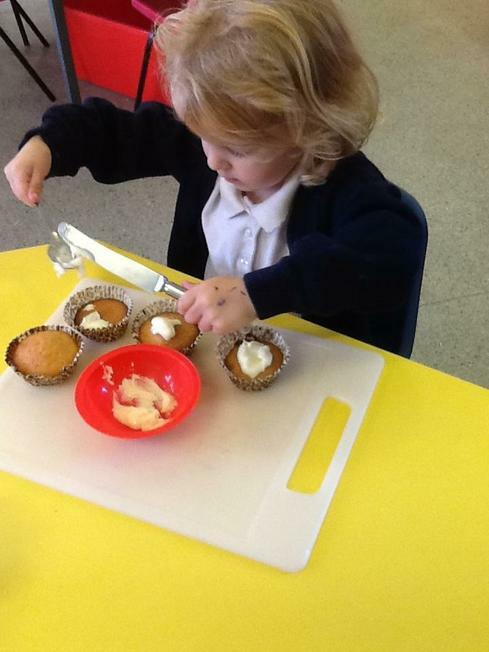 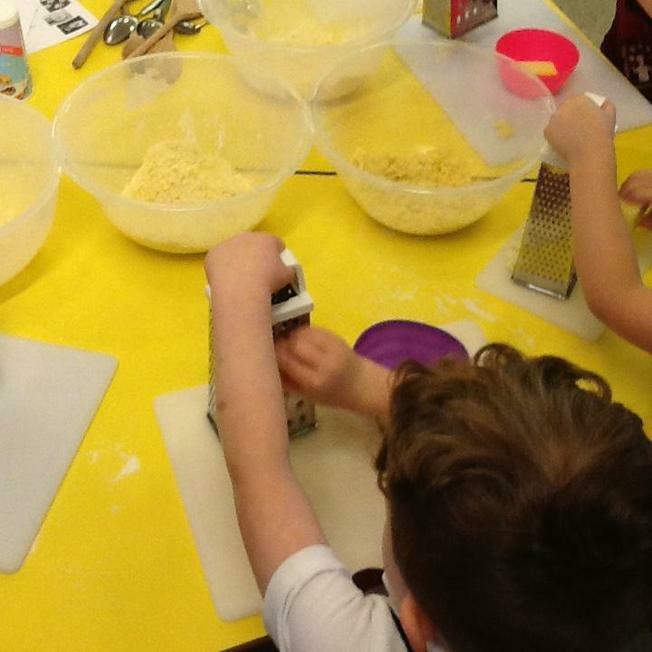 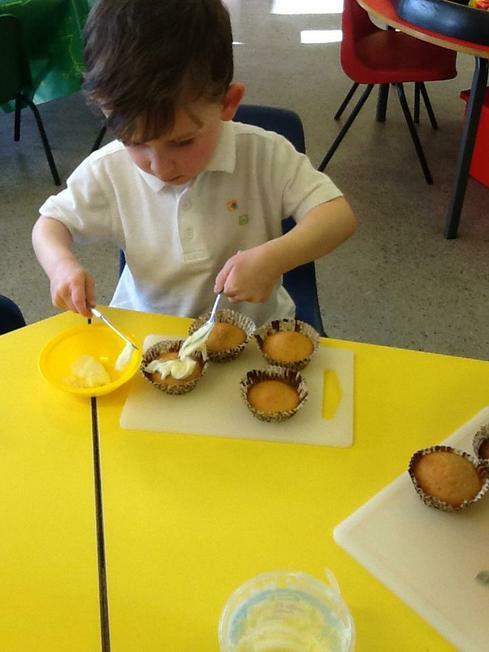 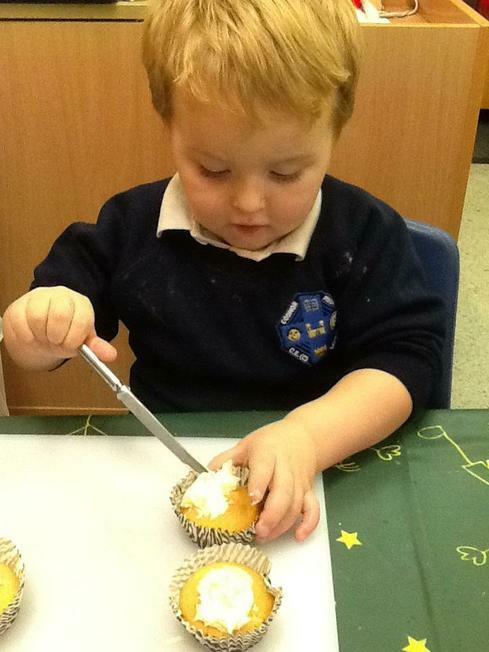 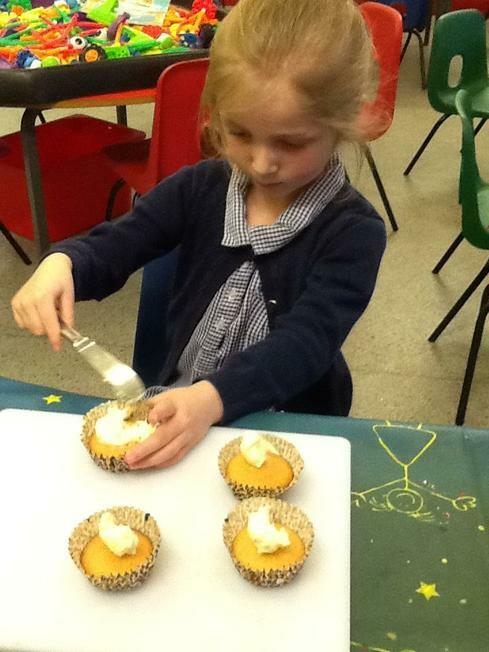 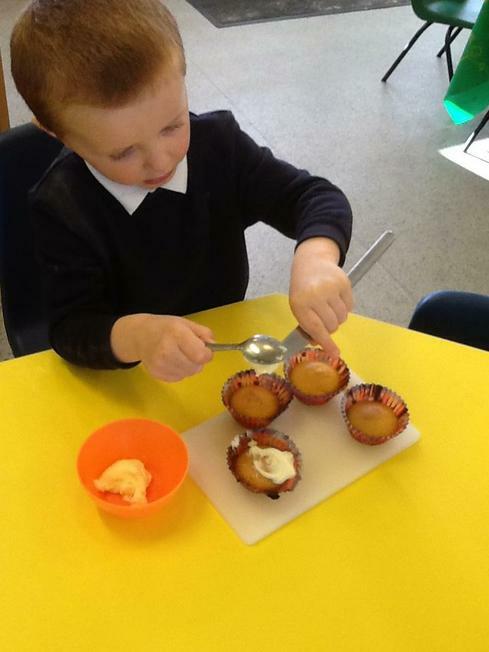 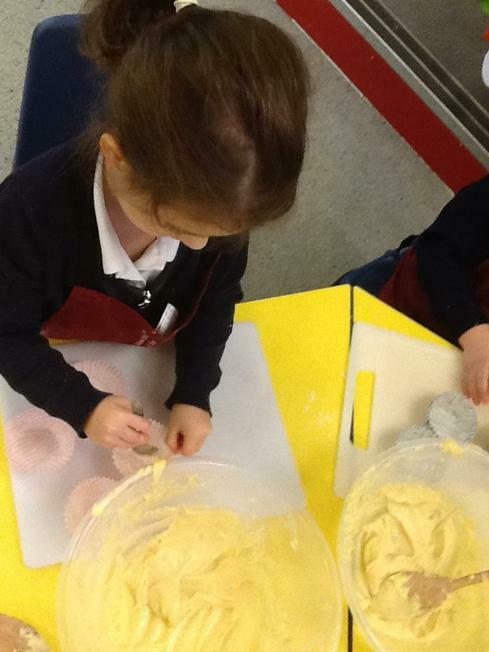 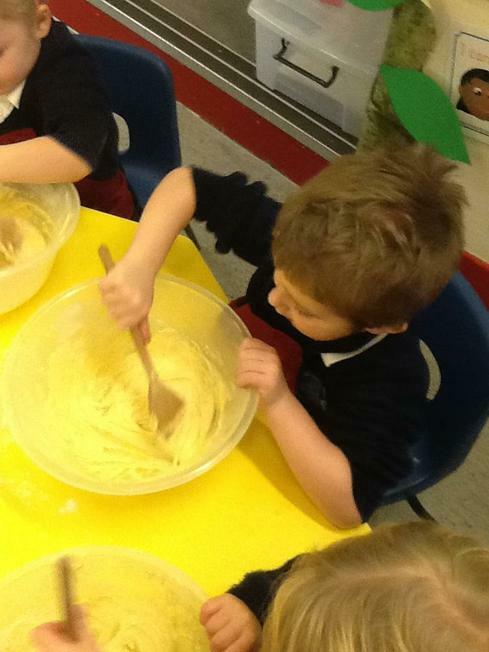 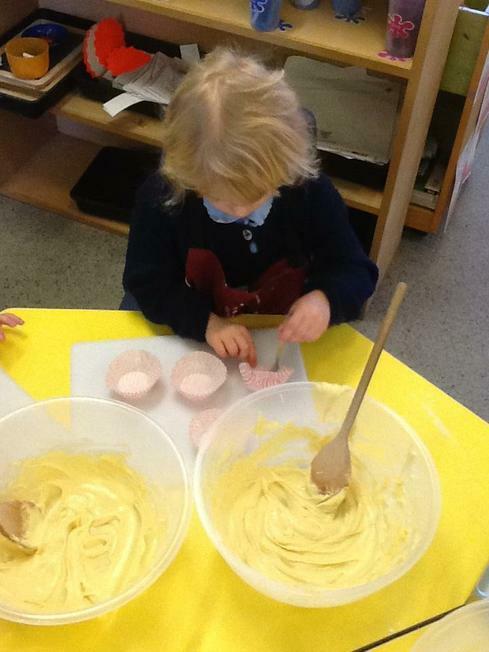 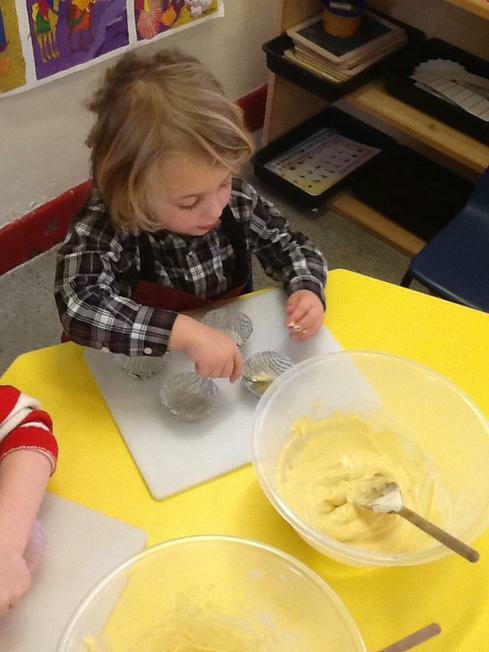 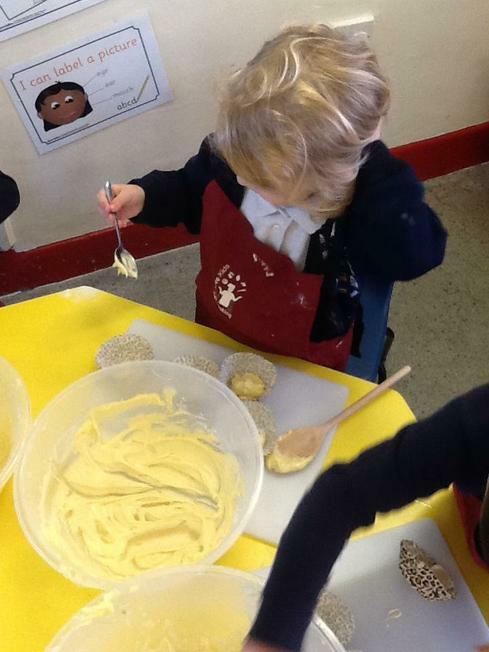 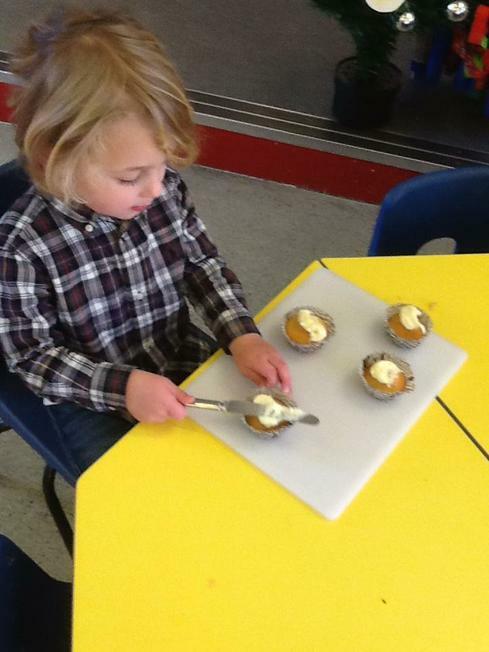 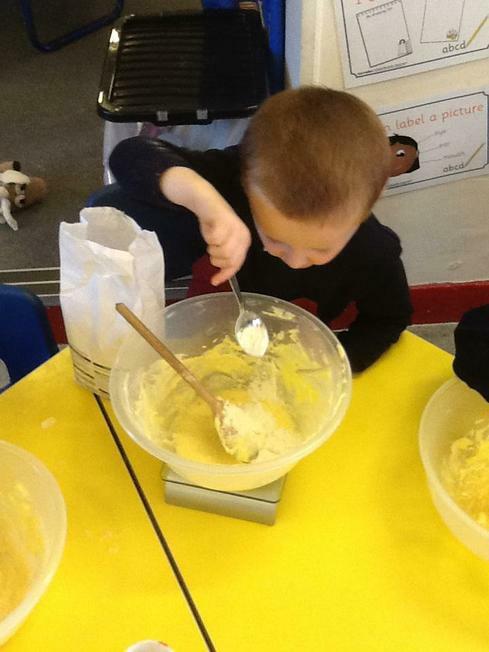 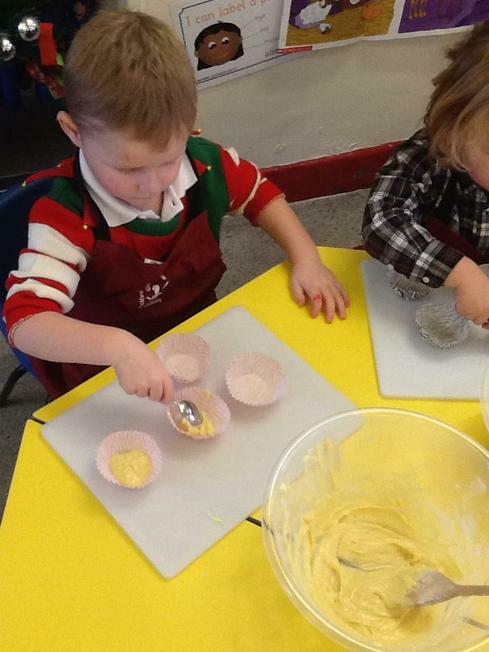 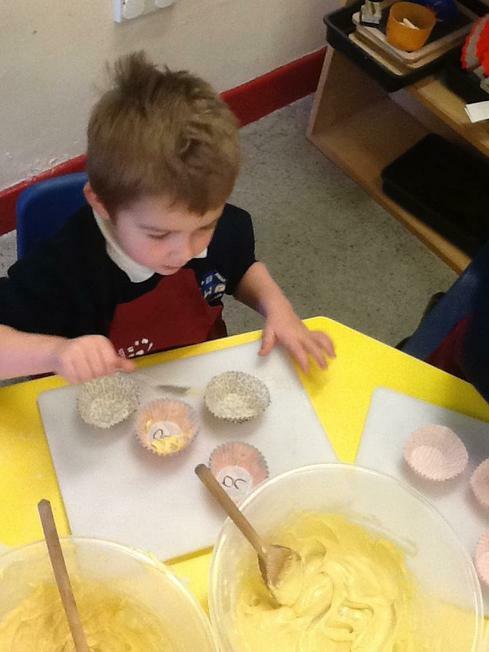 During the Autumn term, we made cupcakes. 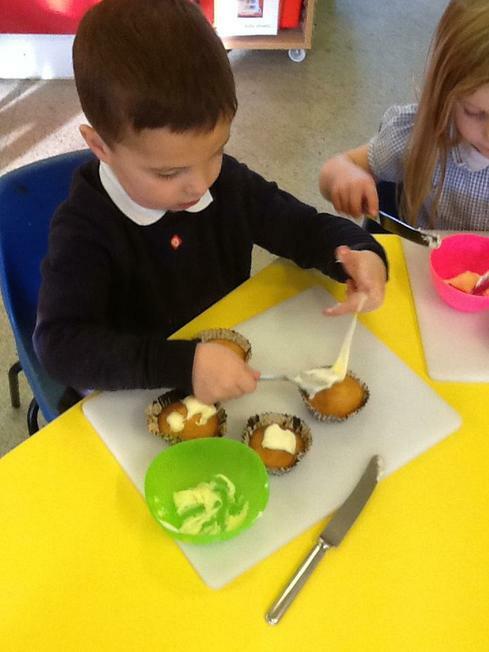 They were easy to make and we enjoyed decorating them with buttercream after! 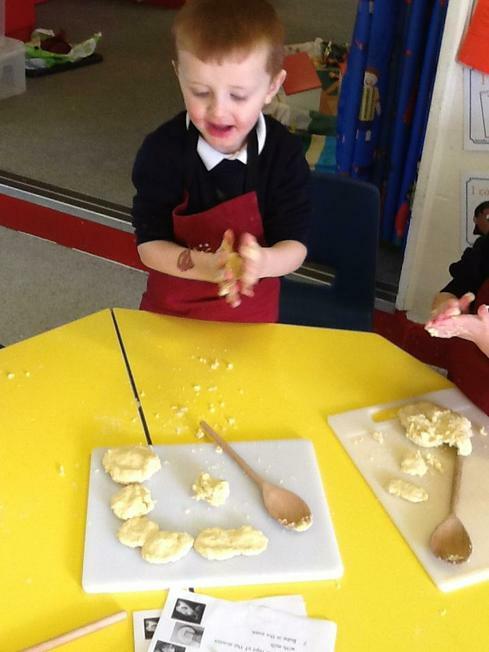 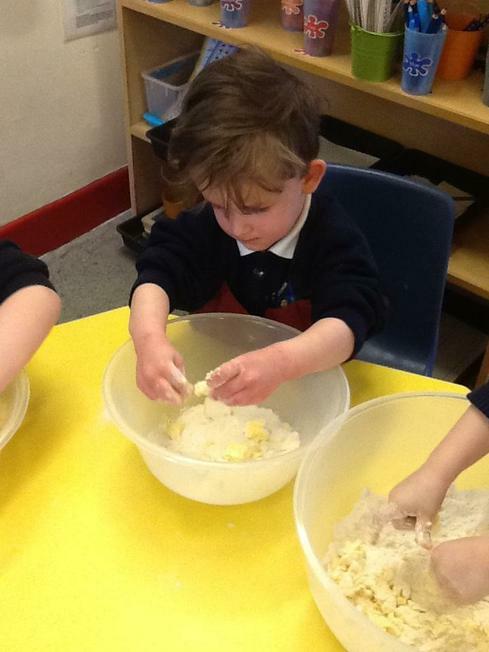 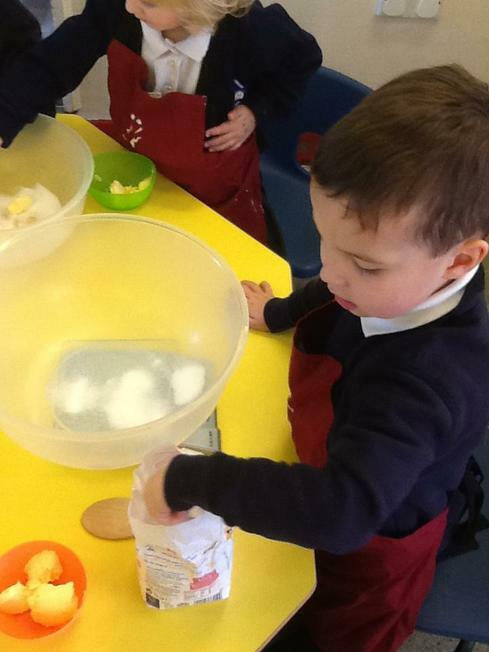 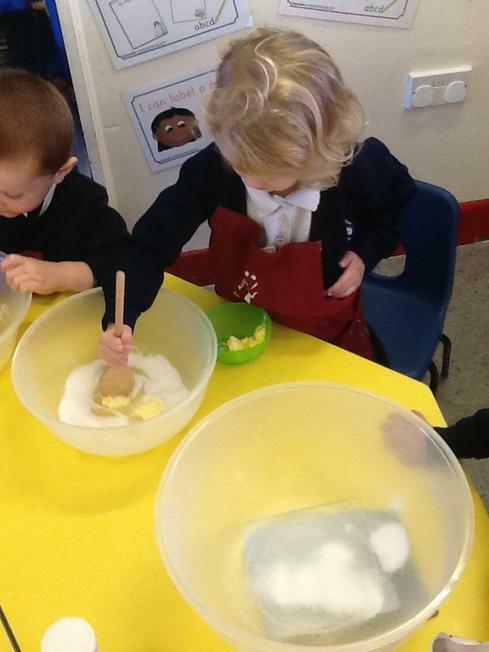 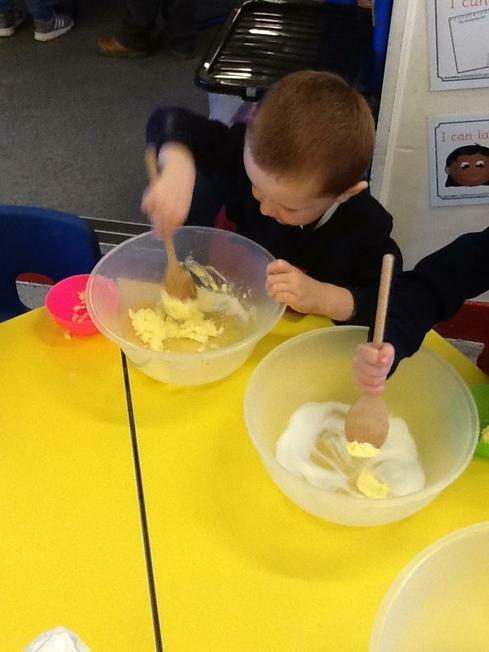 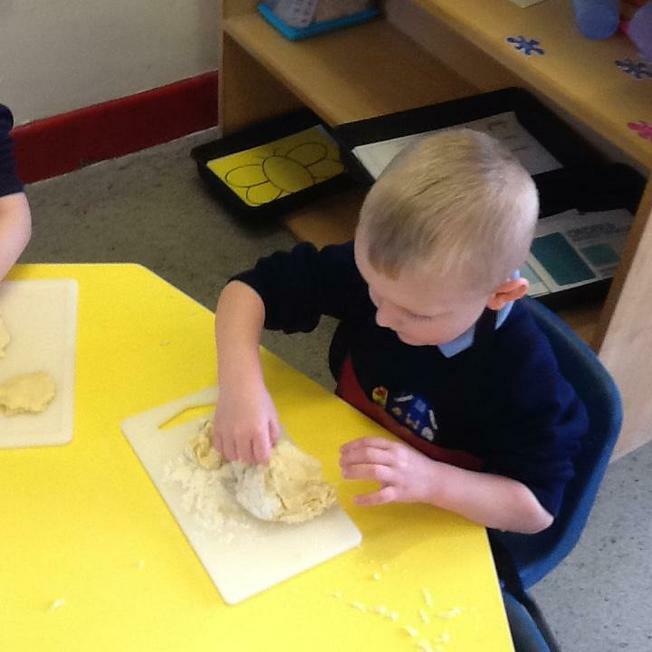 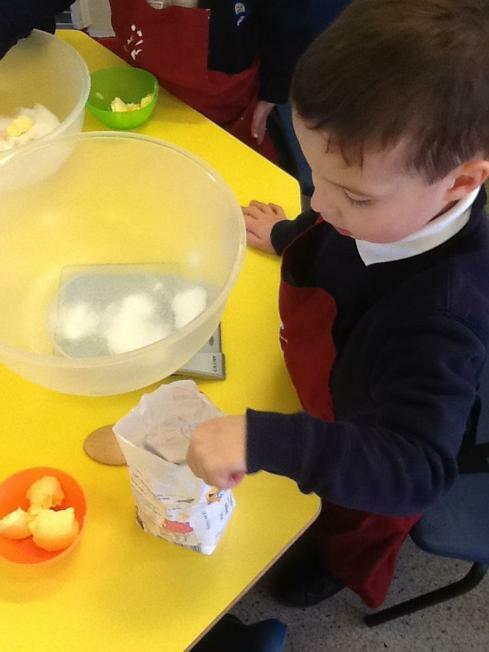 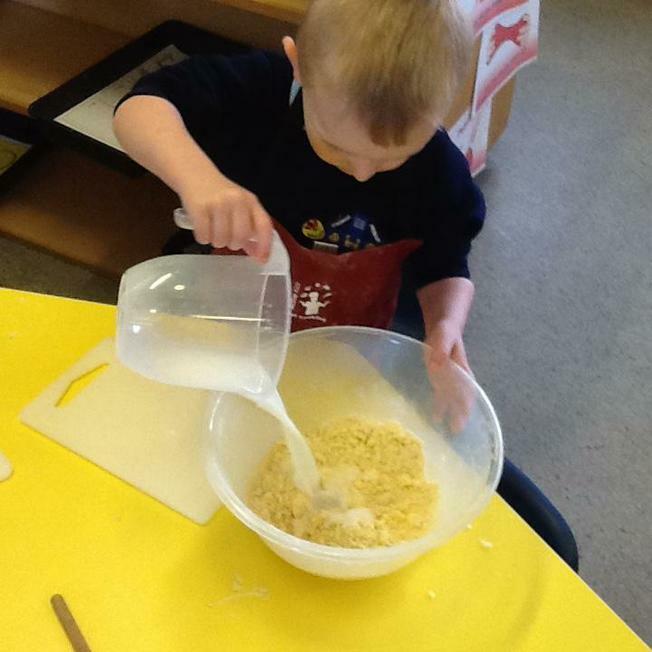 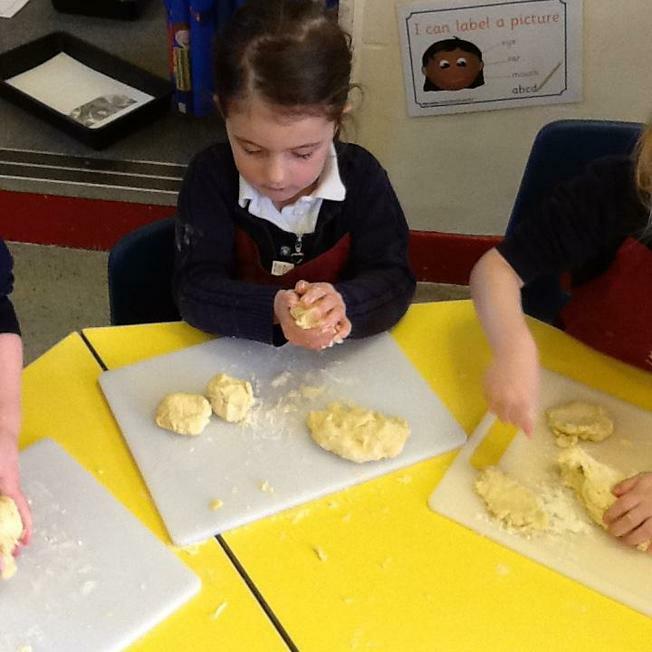 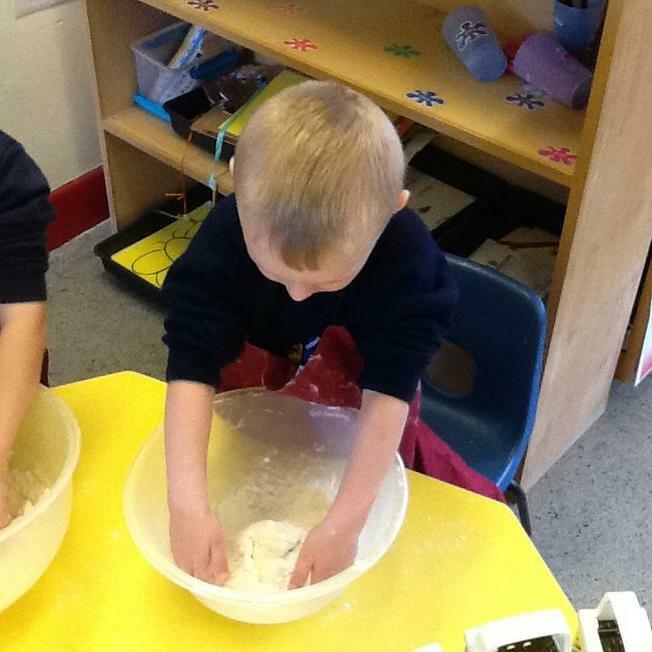 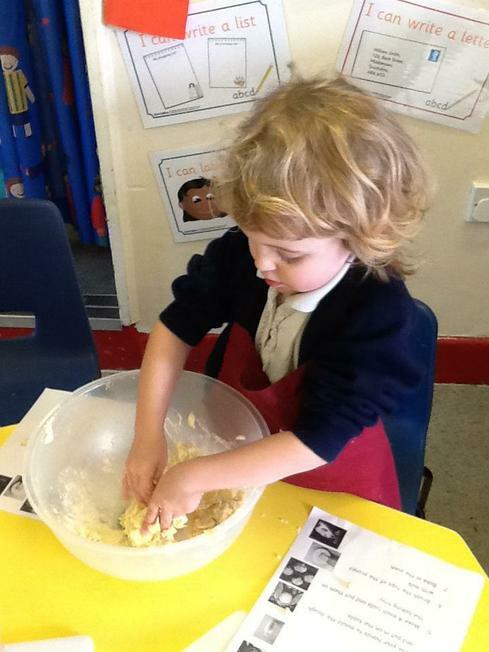 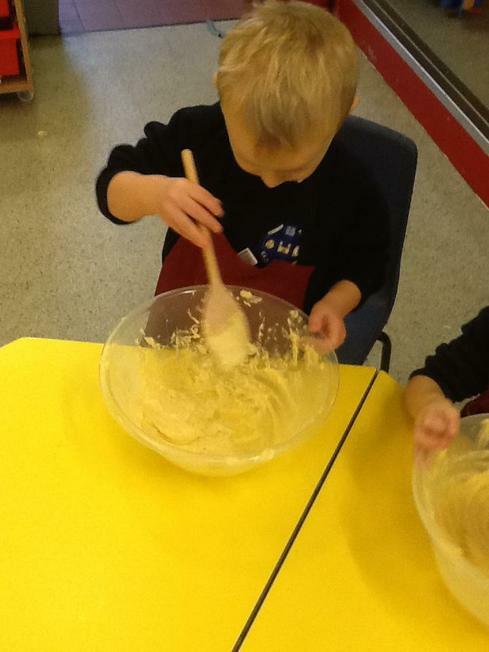 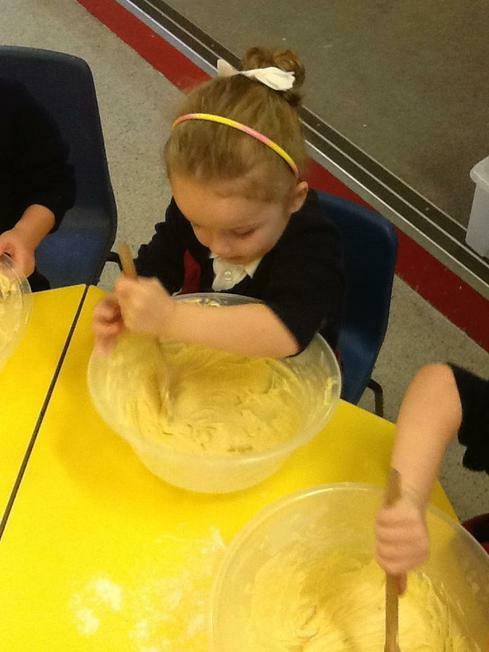 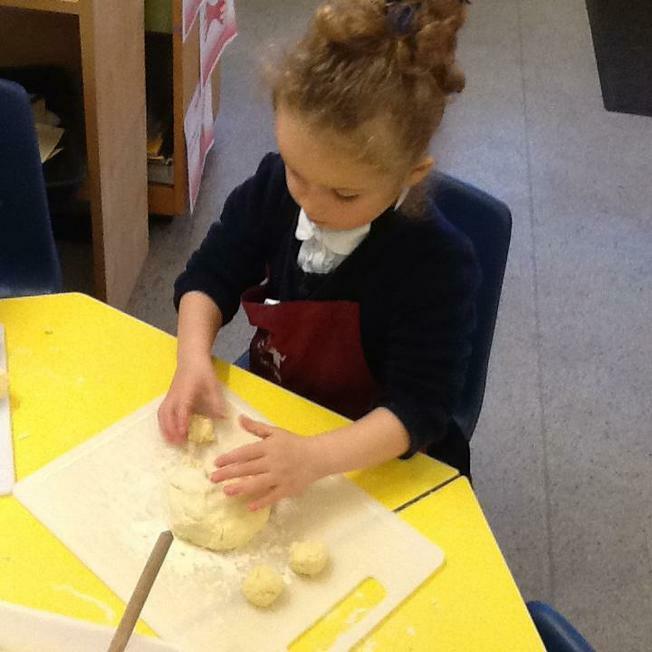 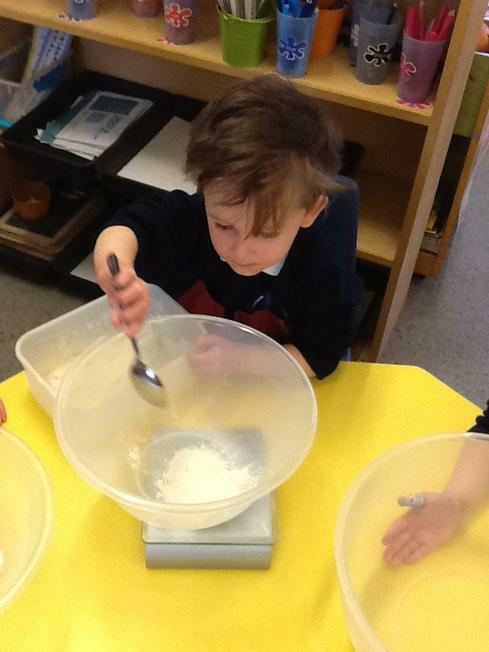 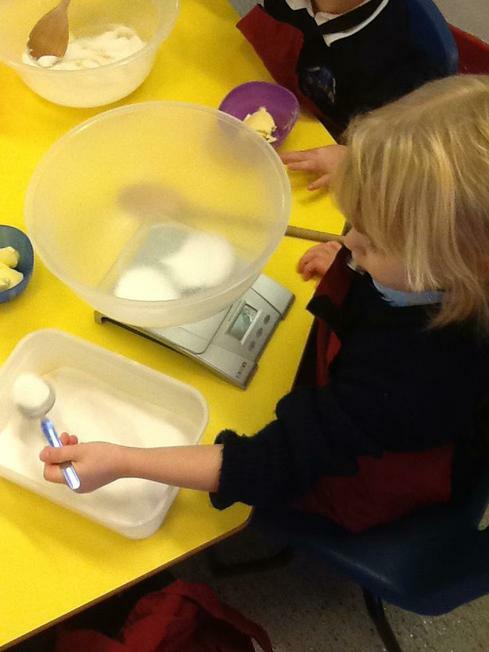 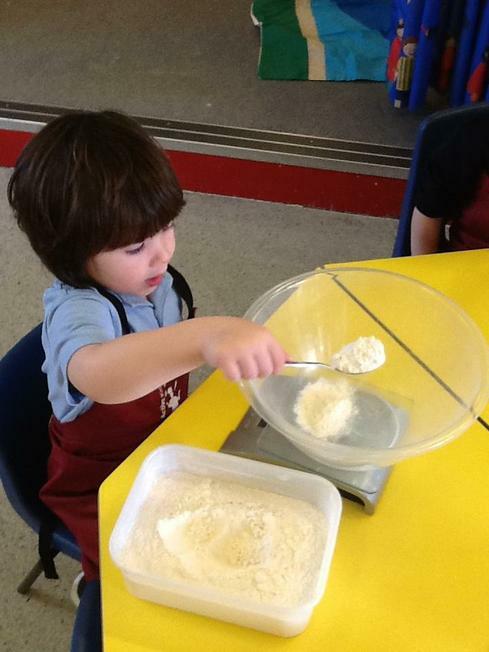 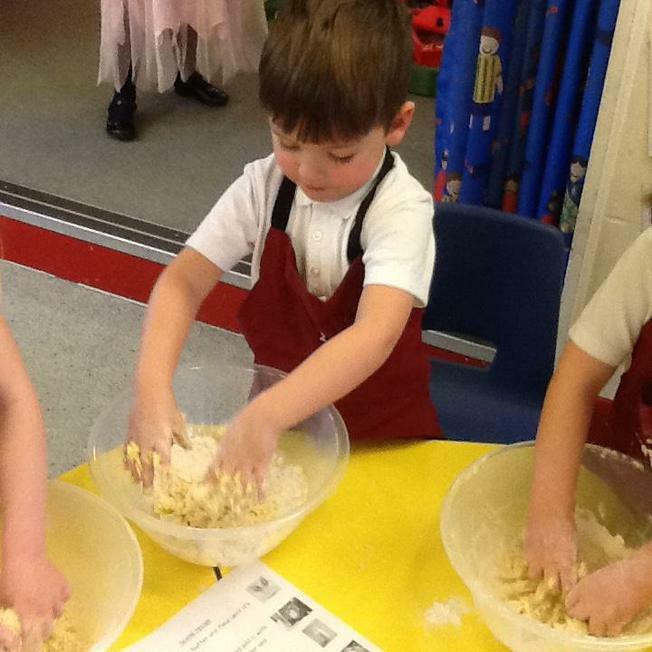 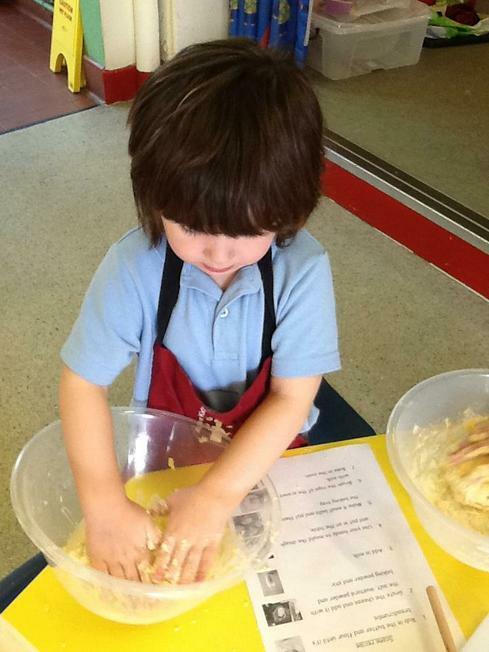 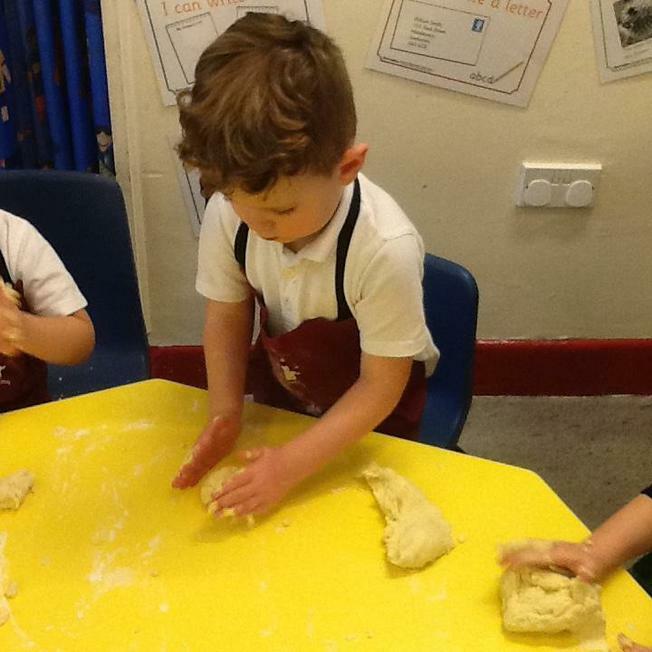 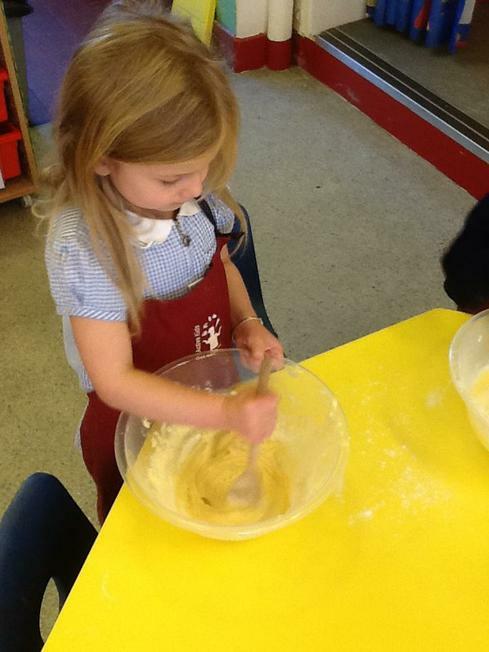 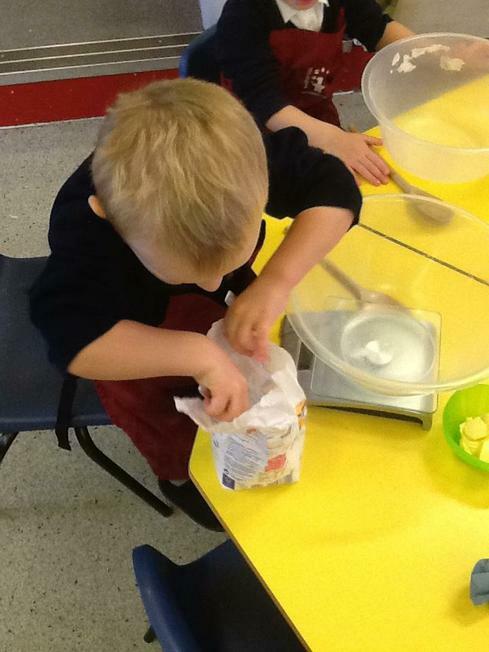 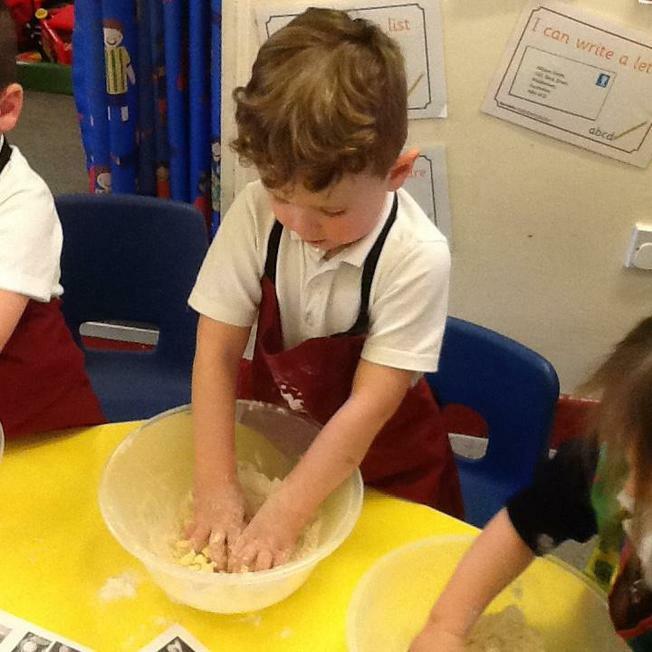 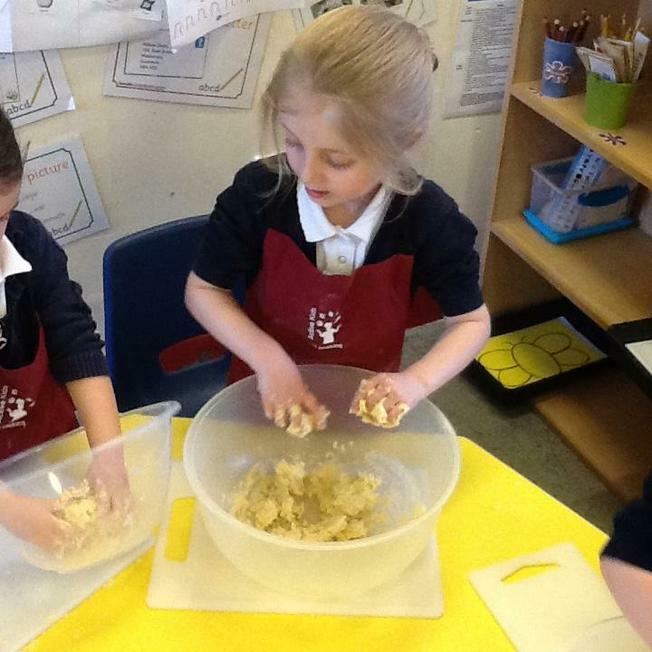 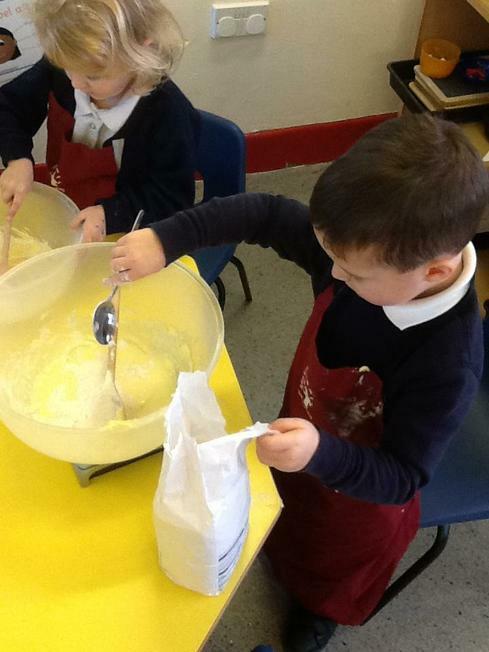 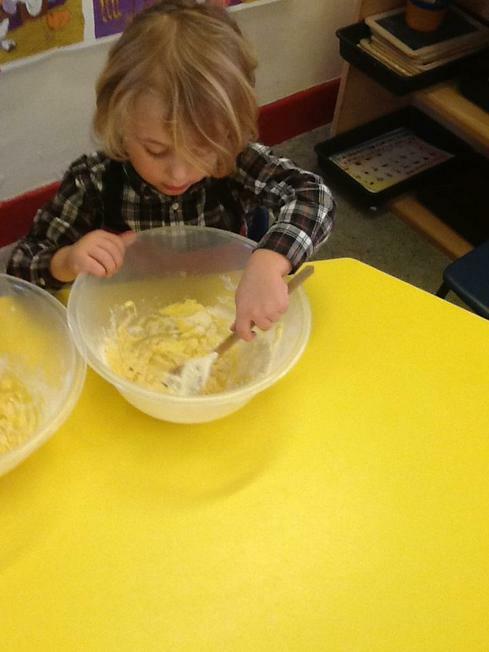 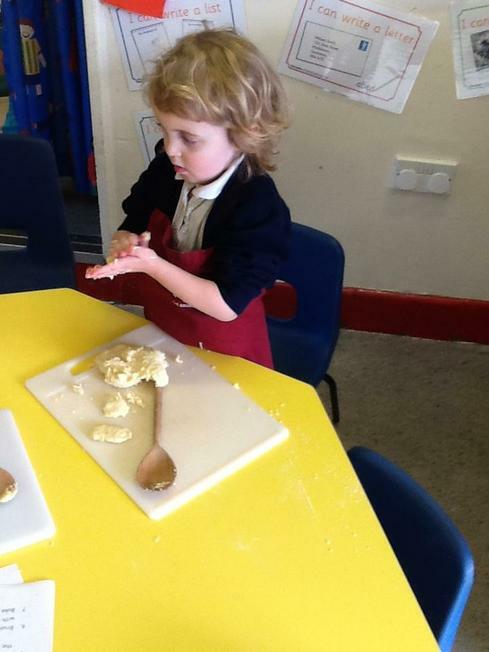 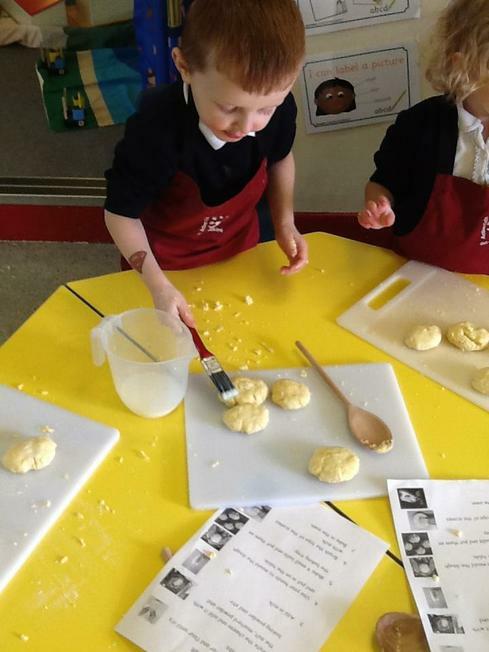 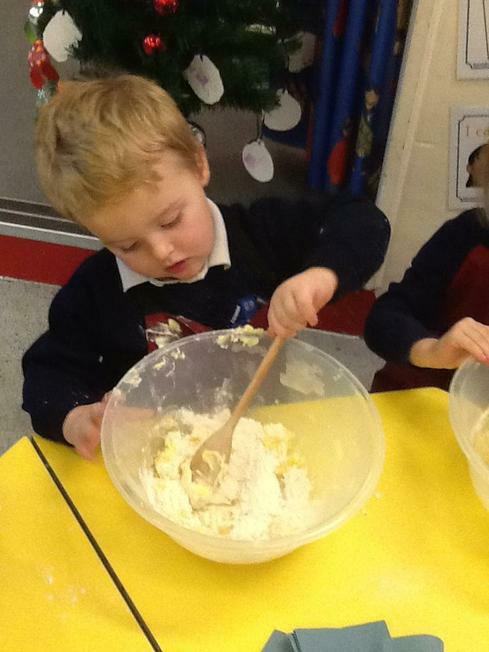 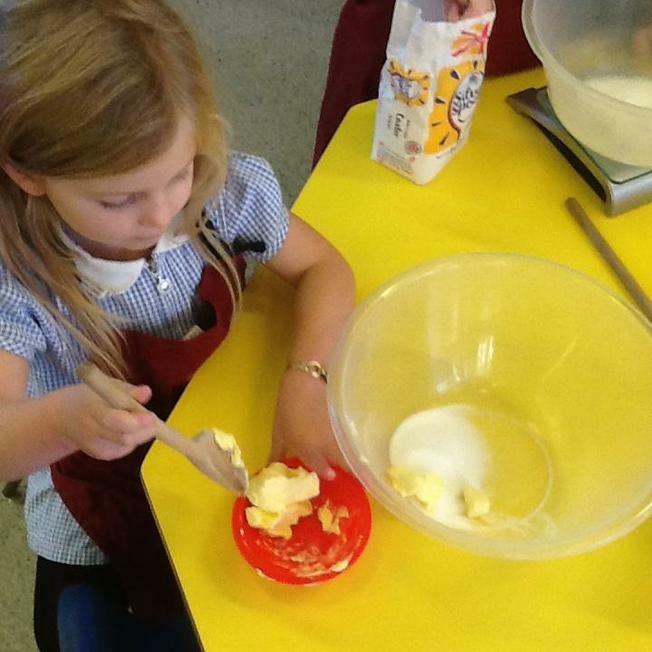 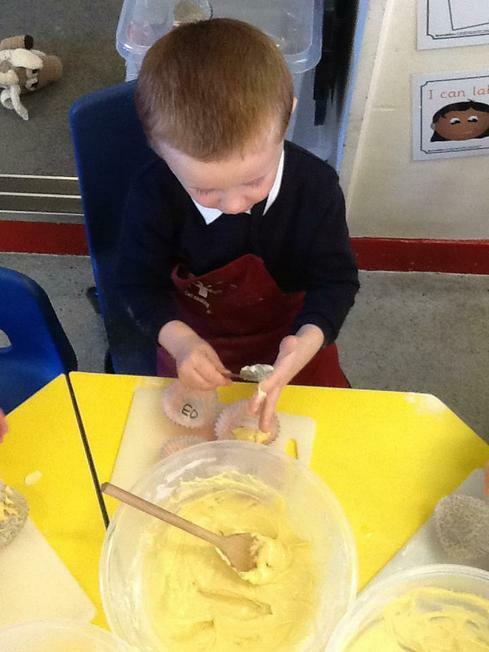 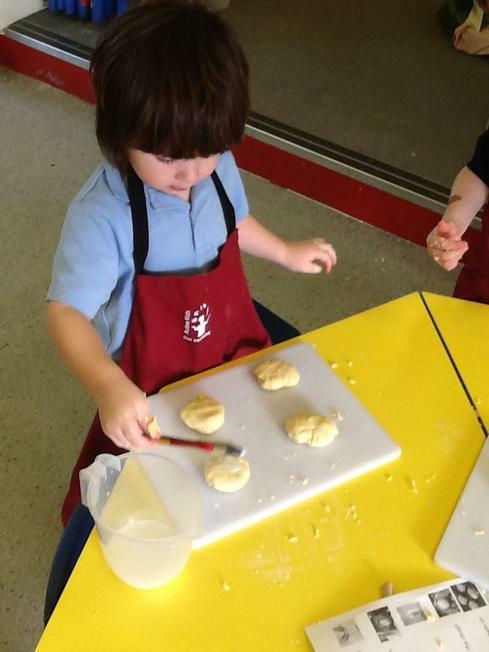 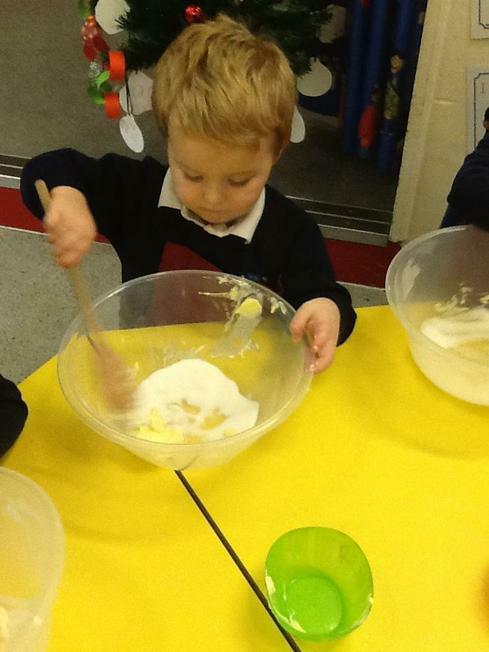 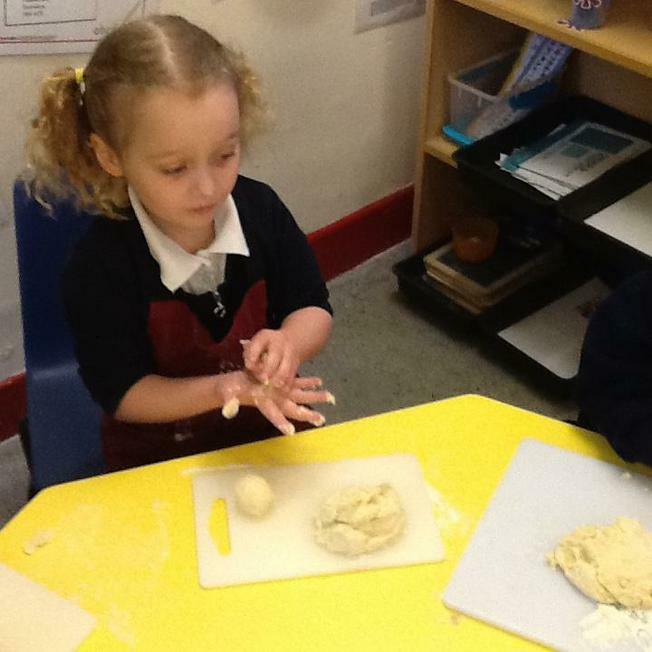 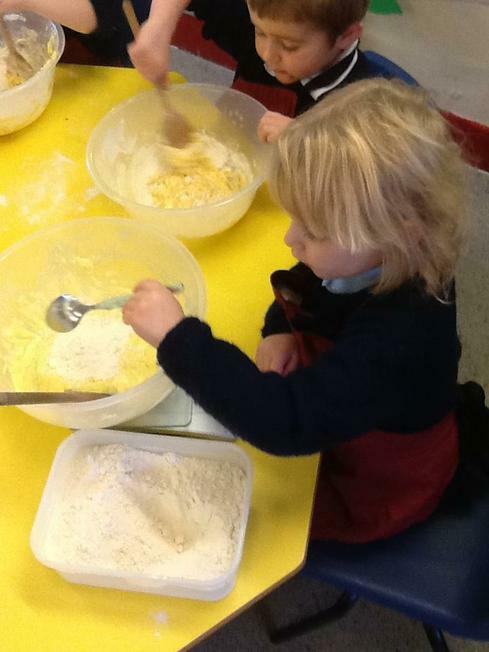 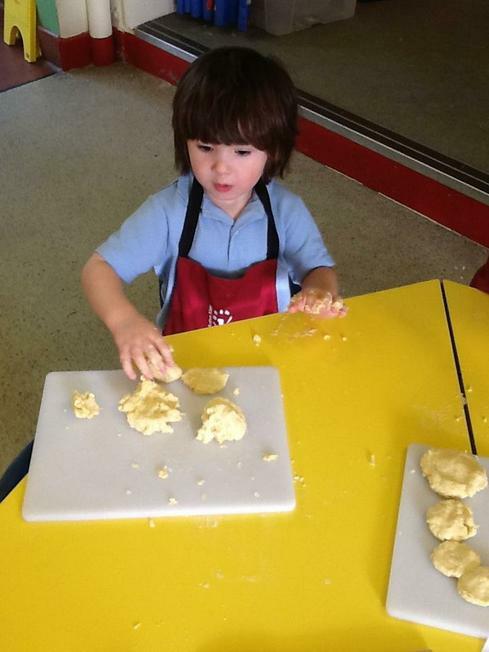 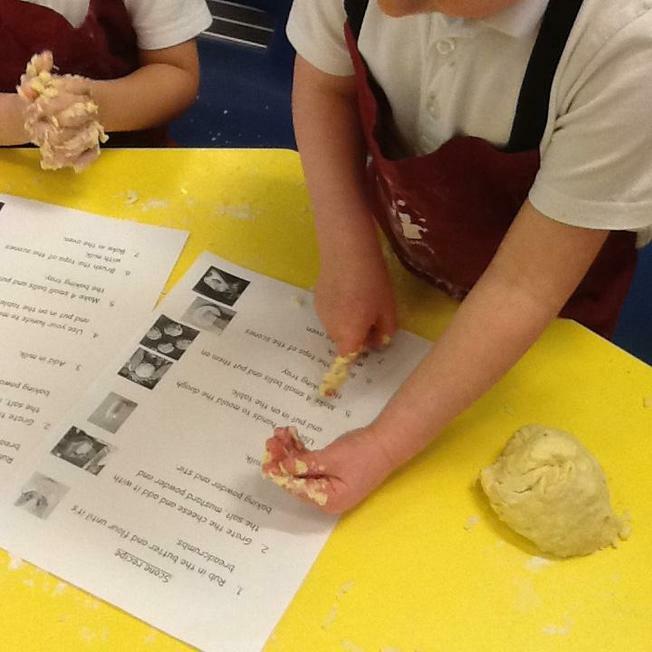 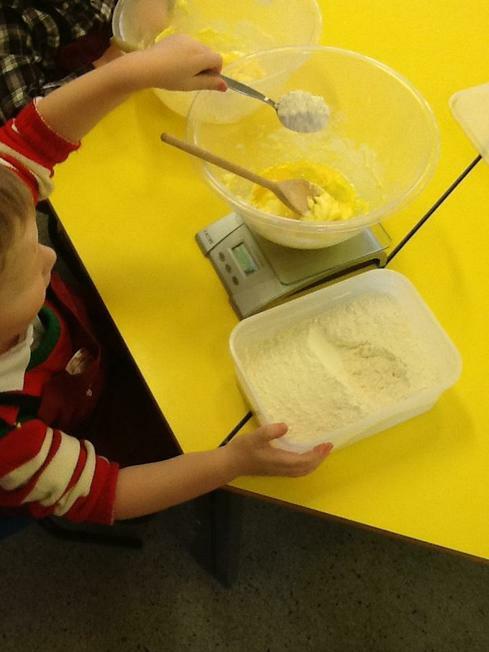 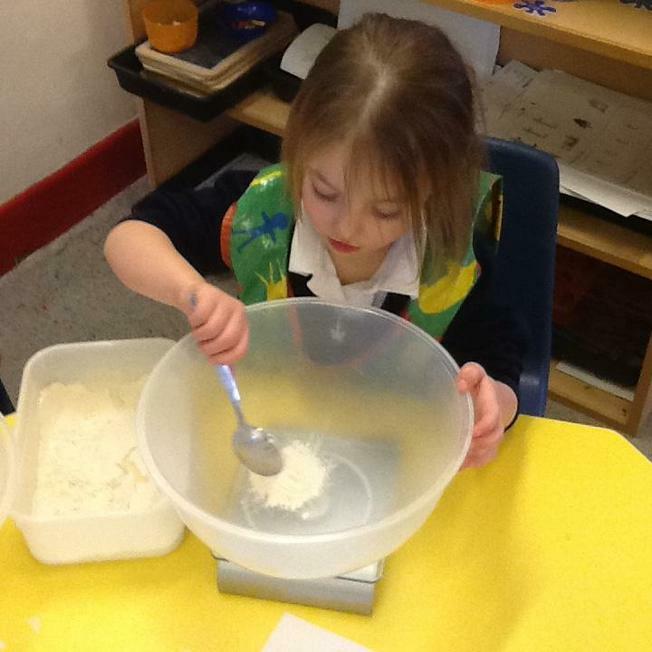 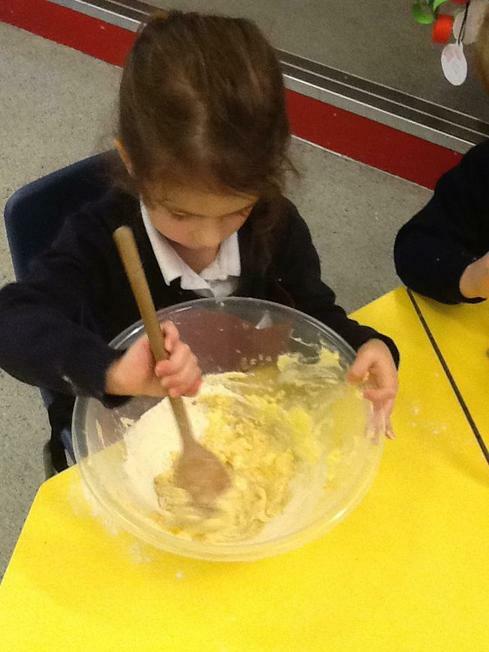 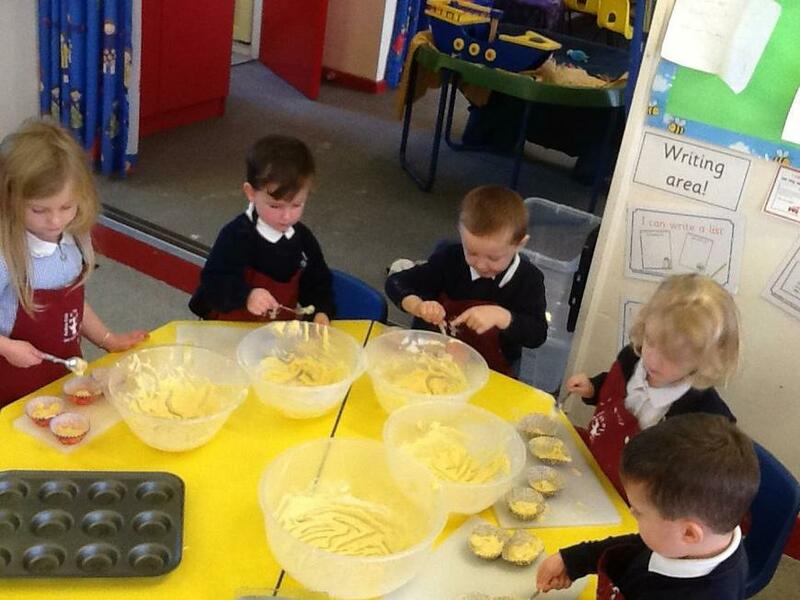 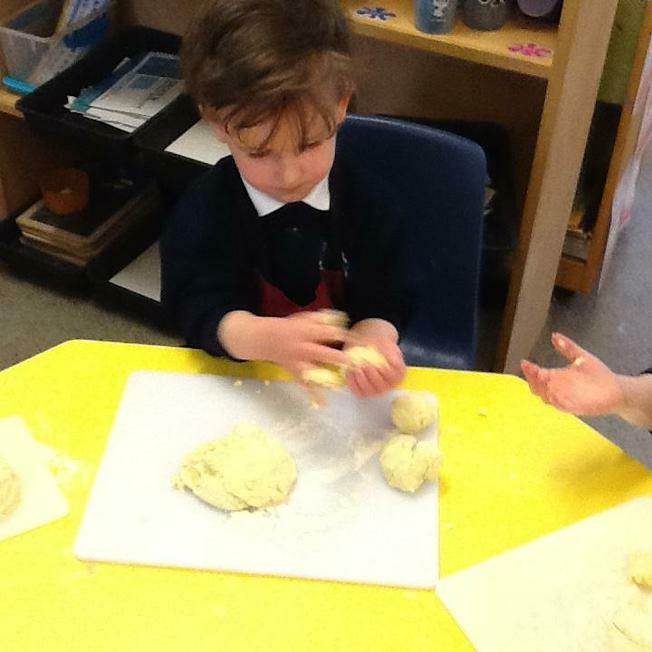 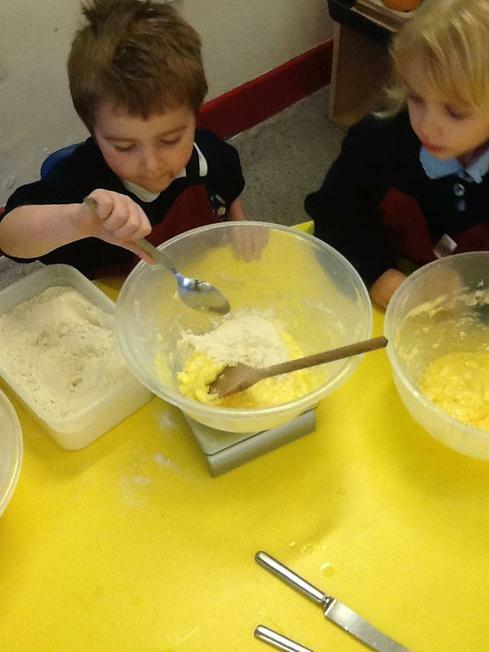 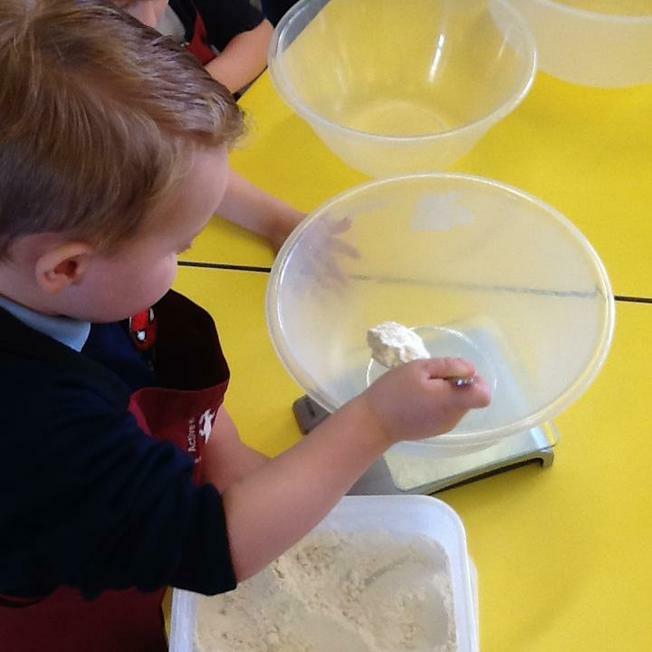 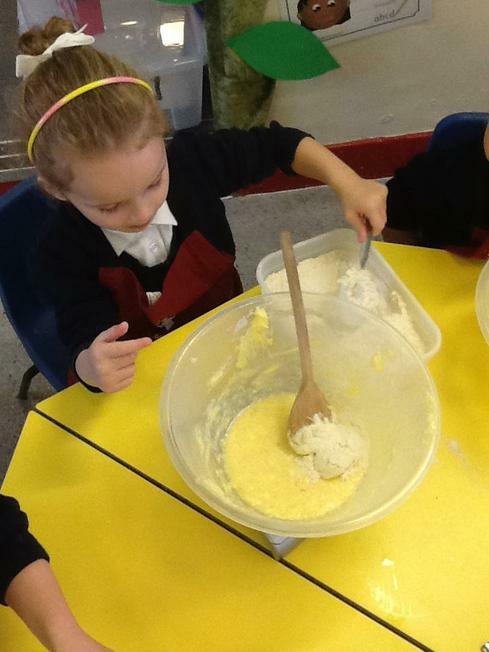 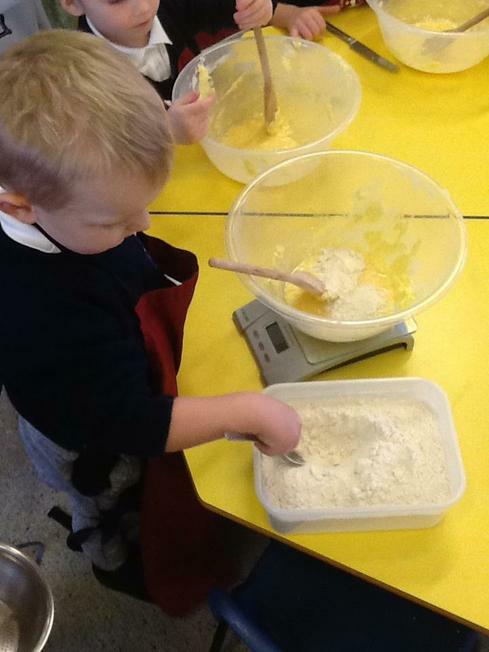 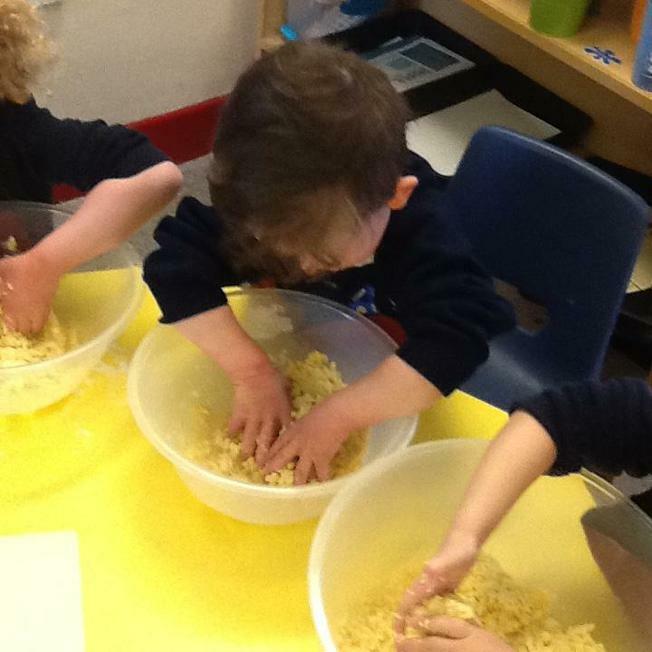 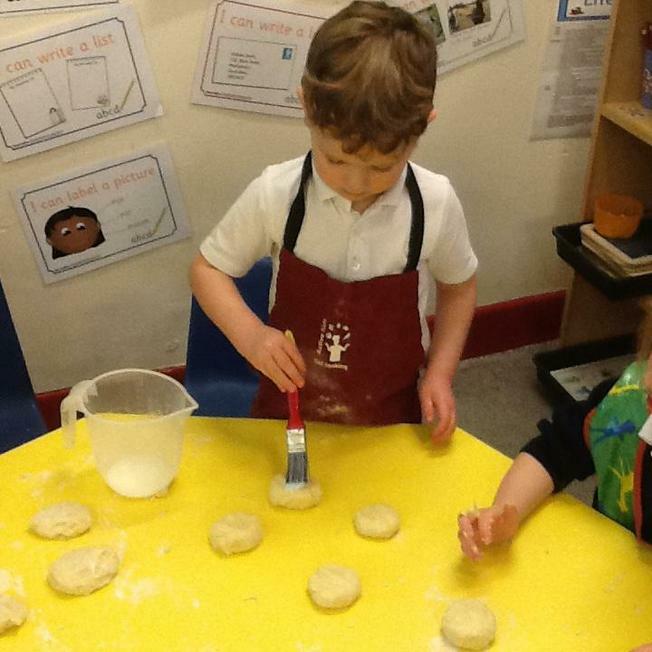 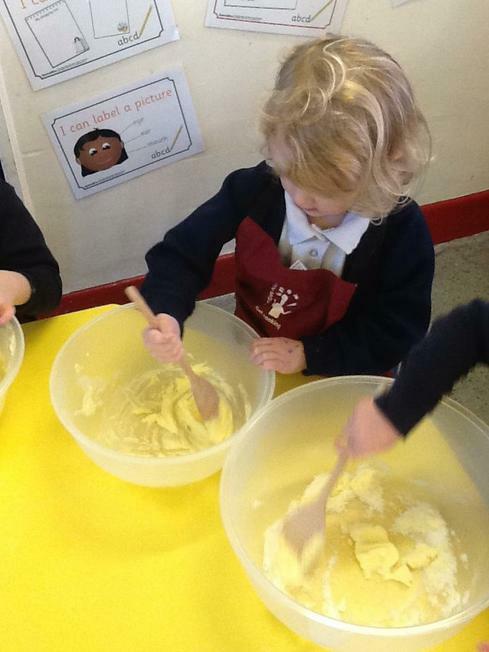 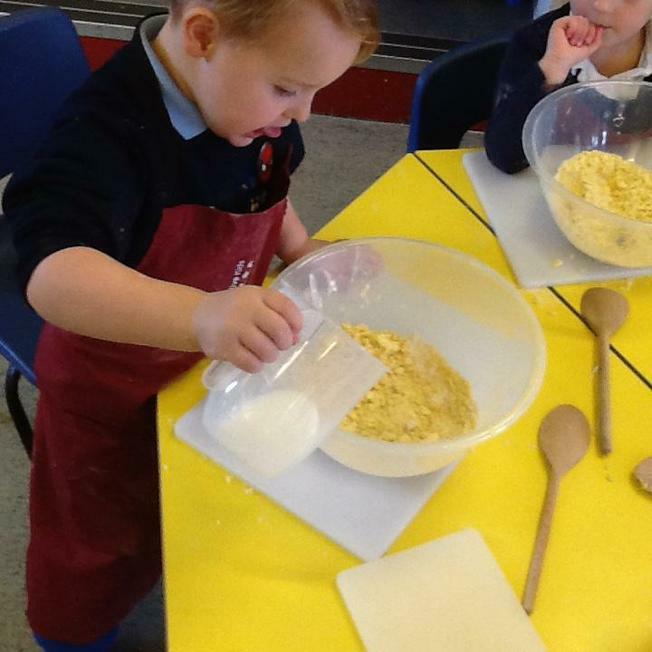 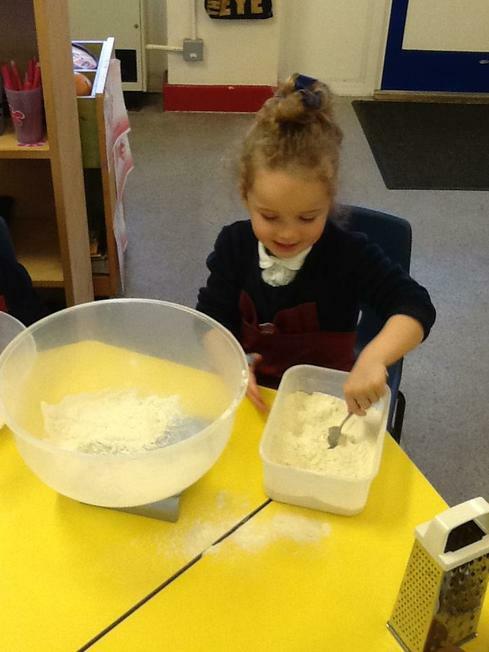 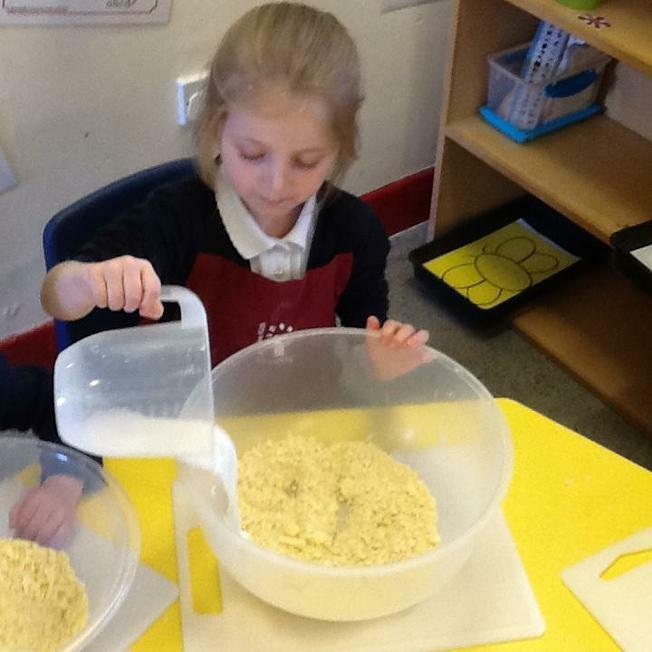 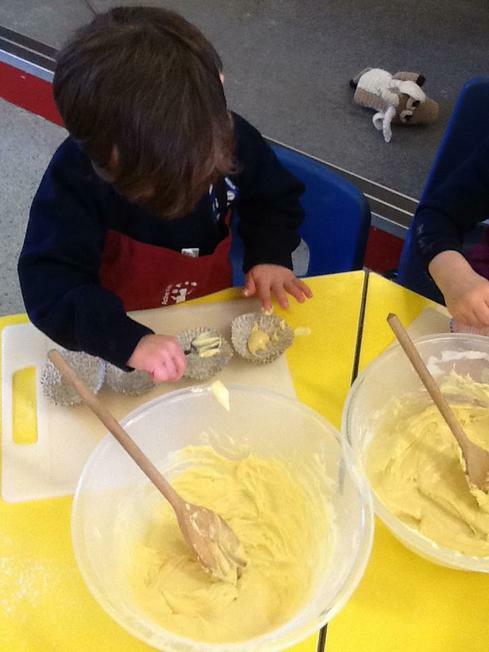 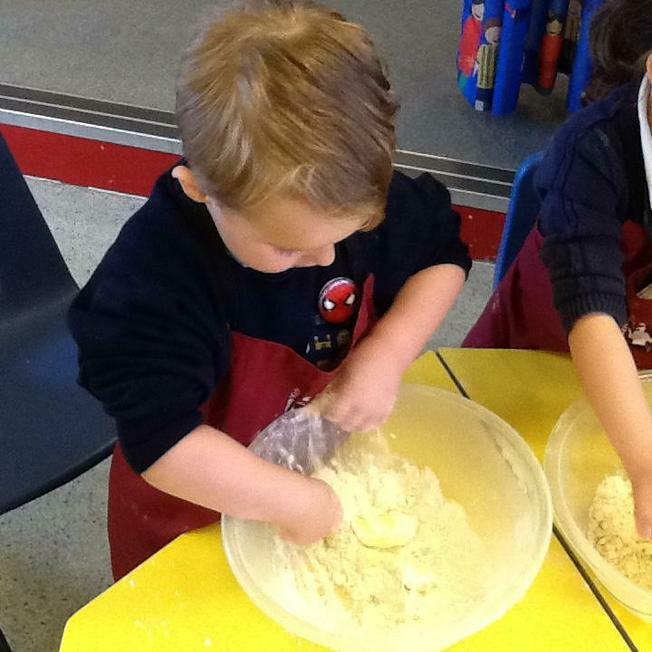 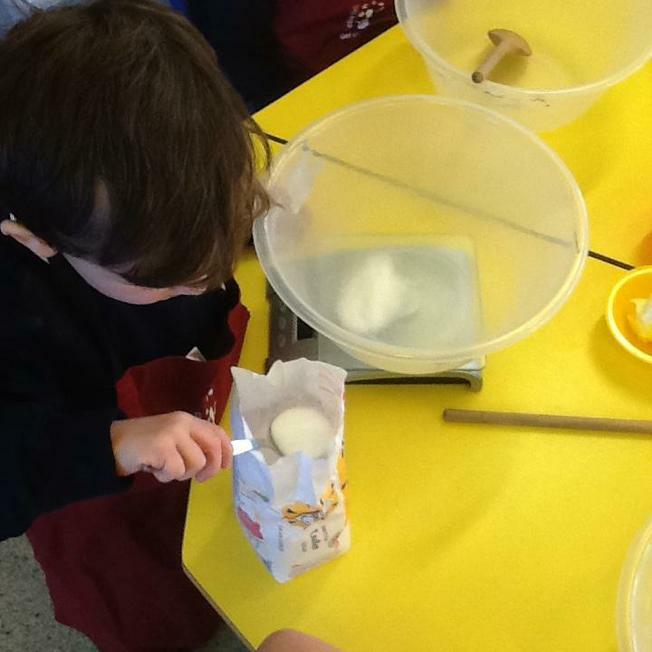 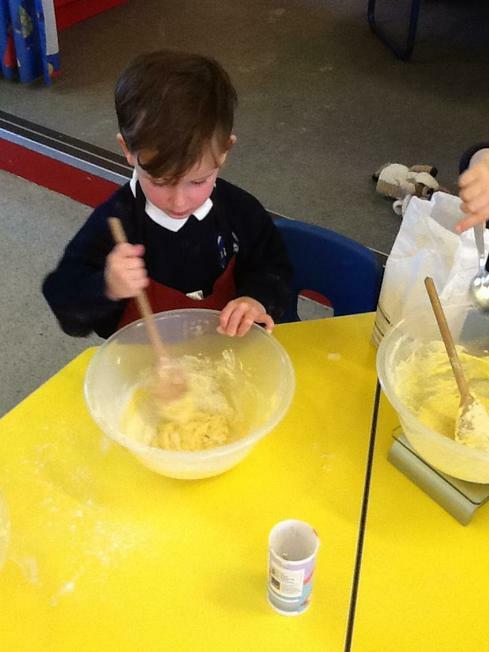 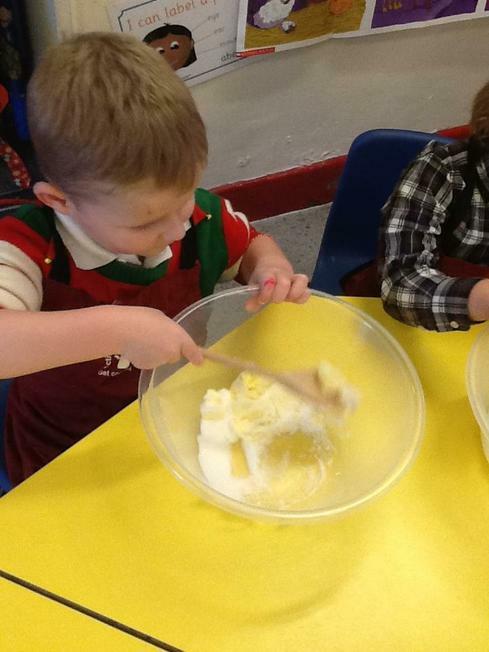 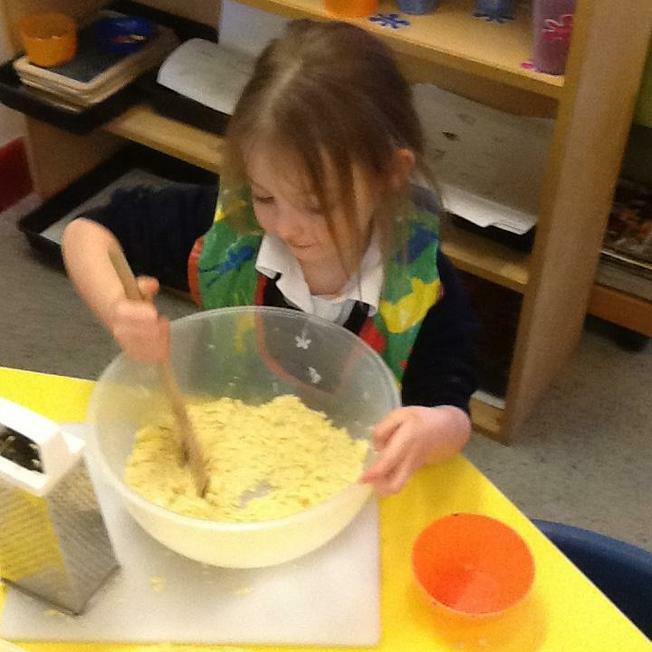 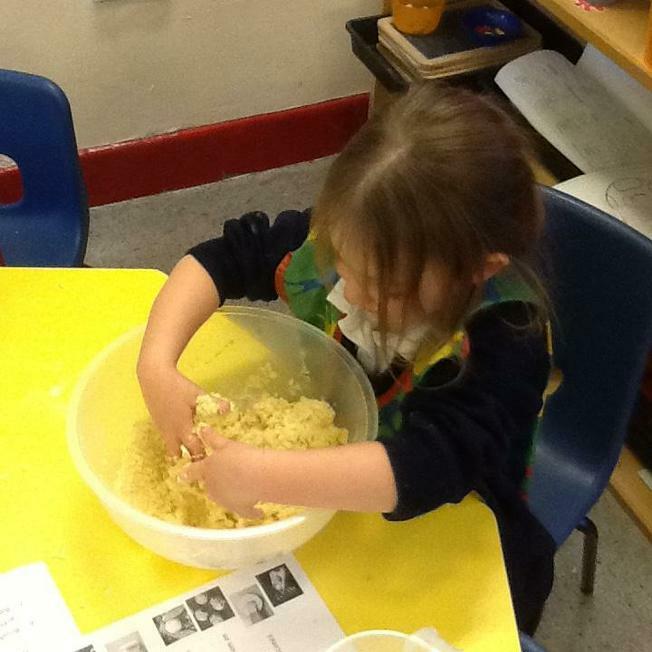 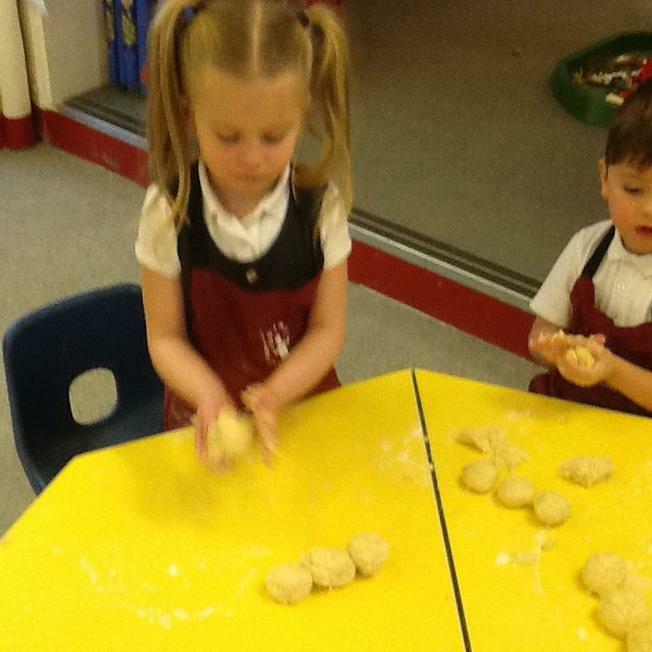 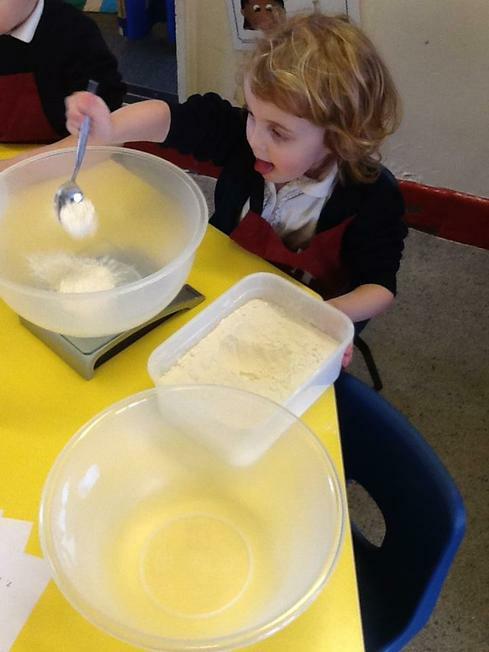 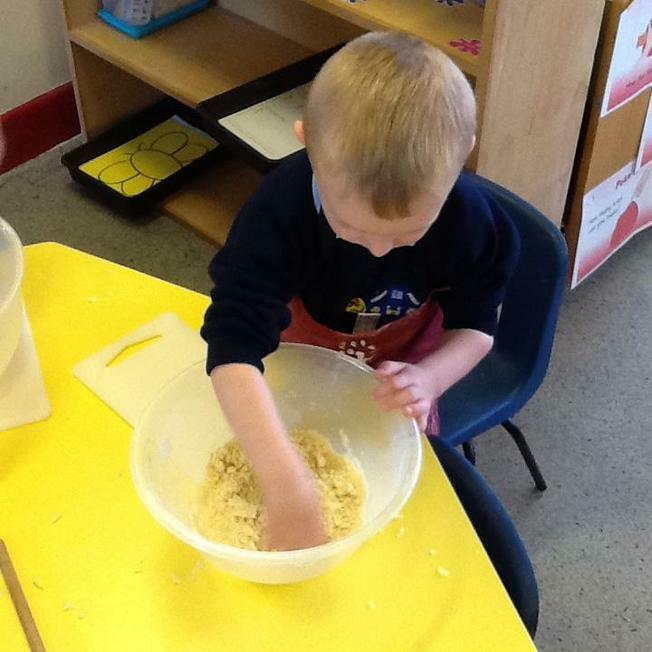 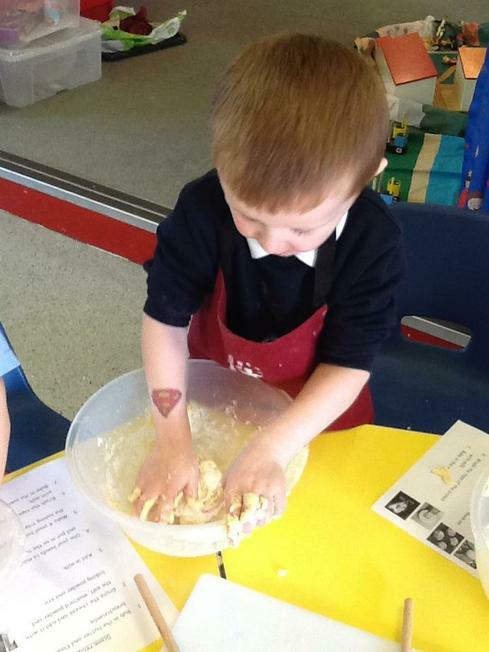 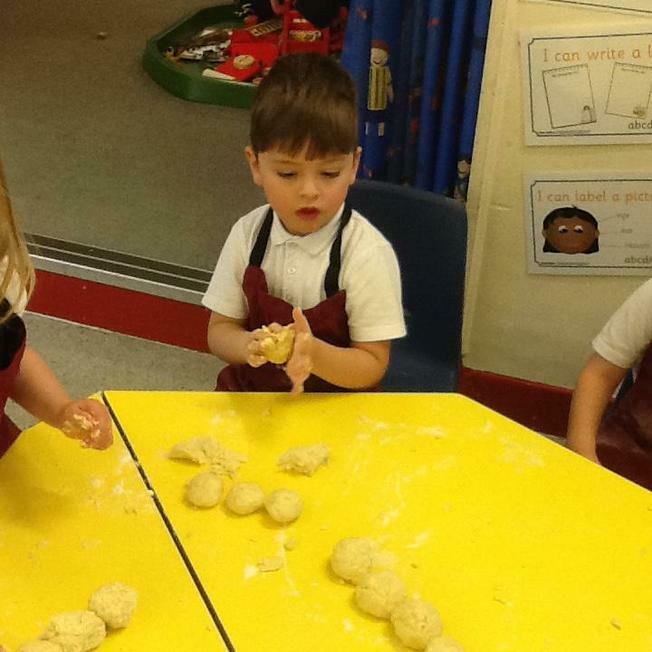 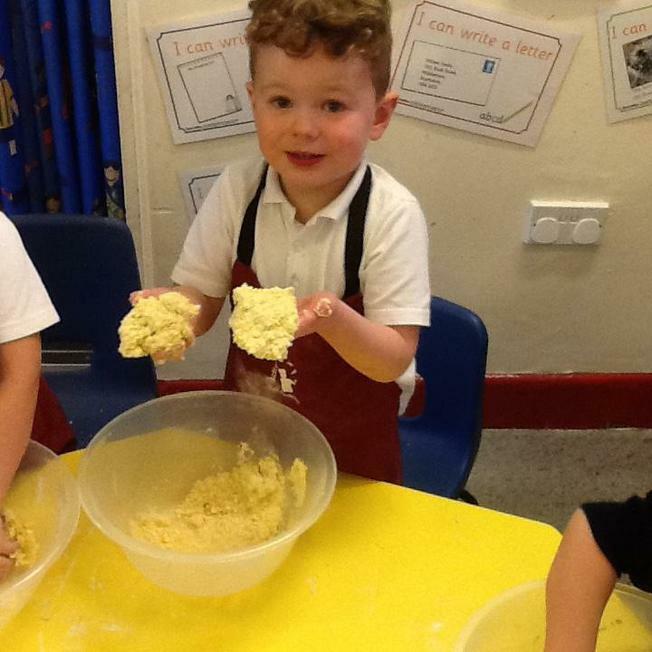 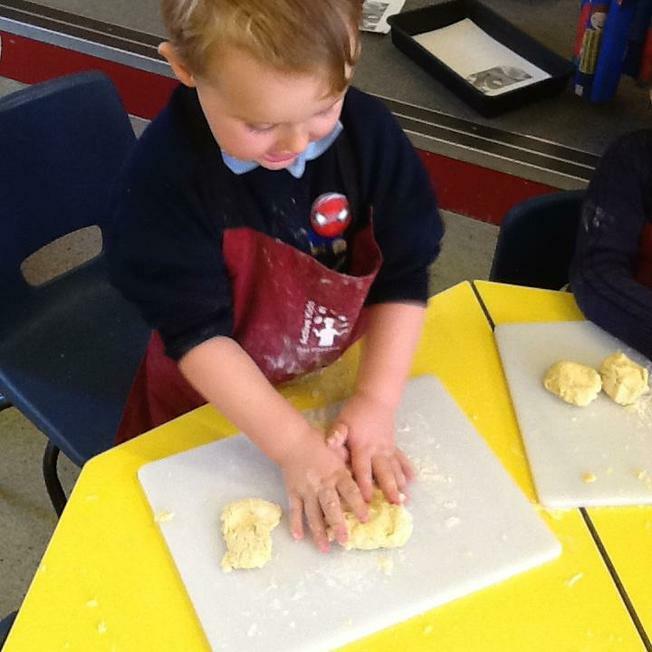 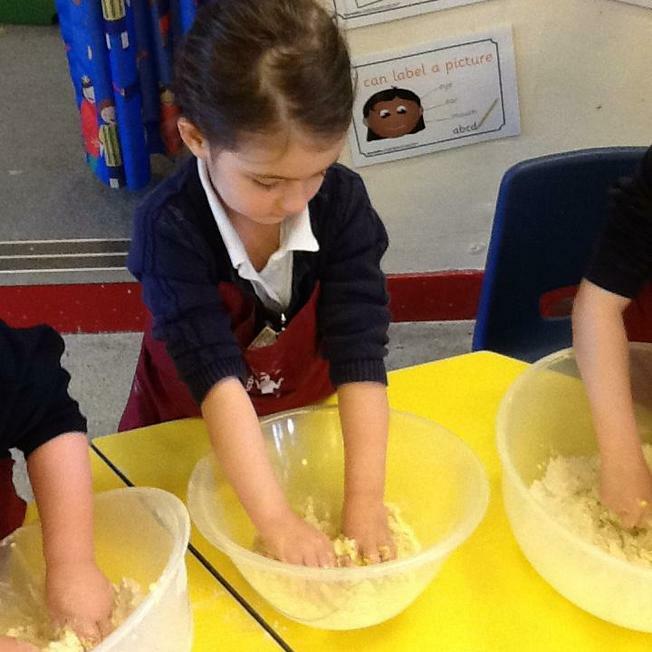 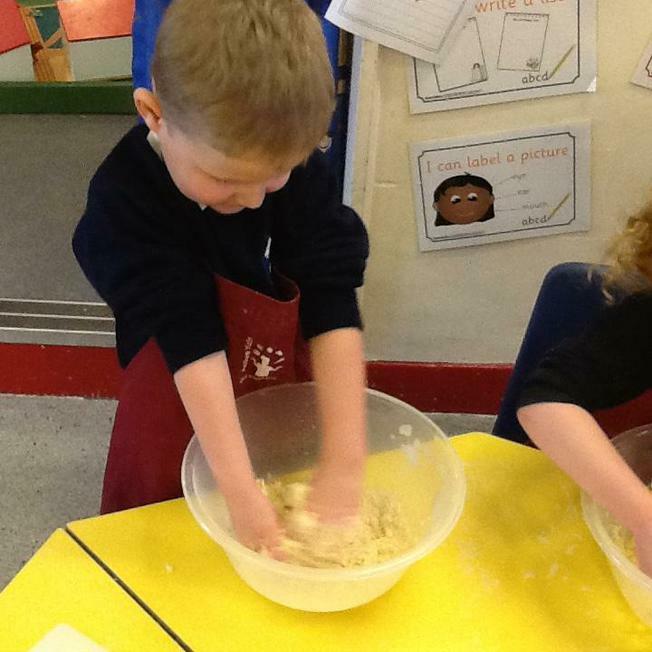 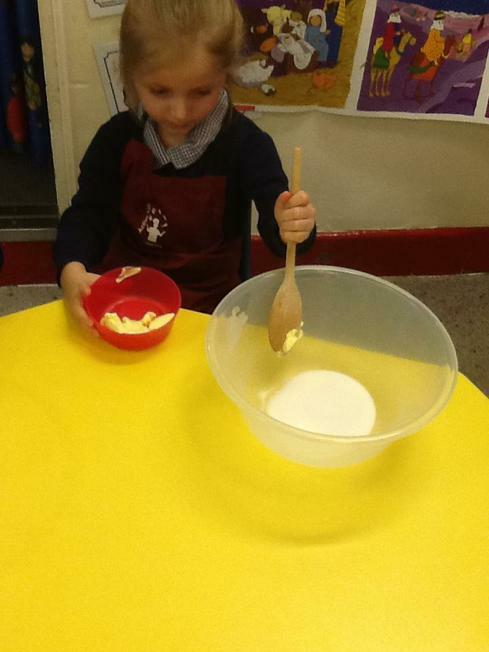 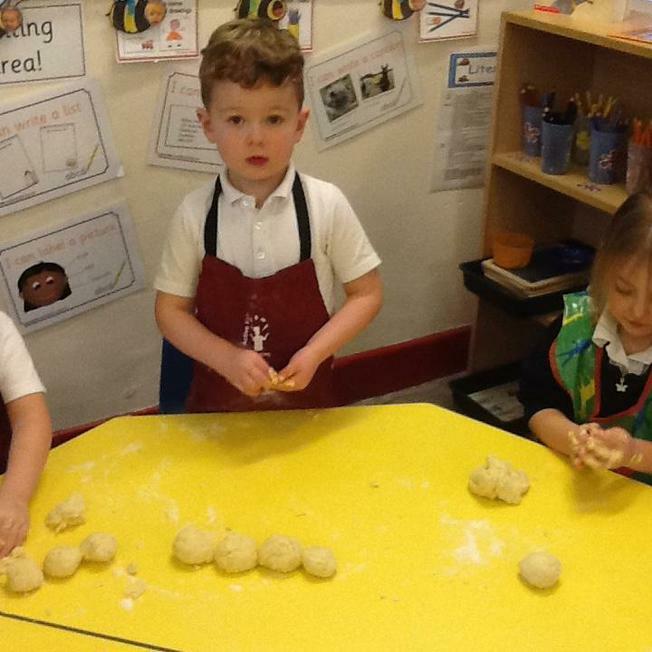 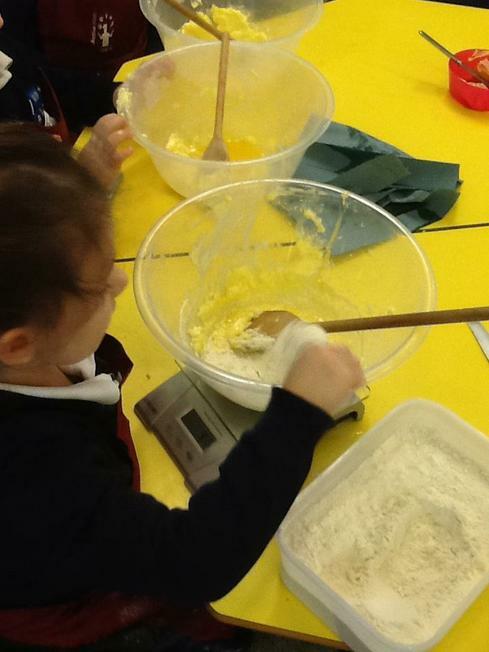 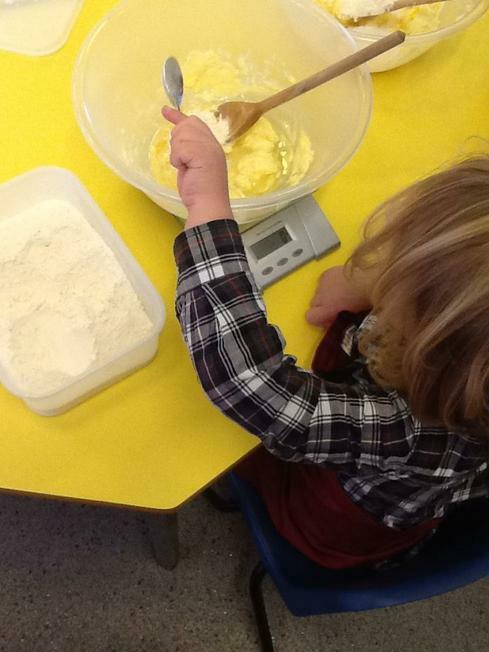 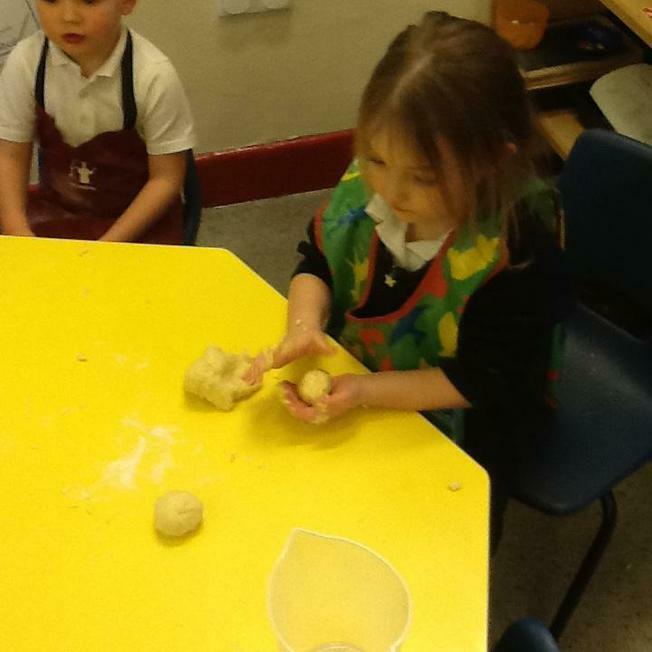 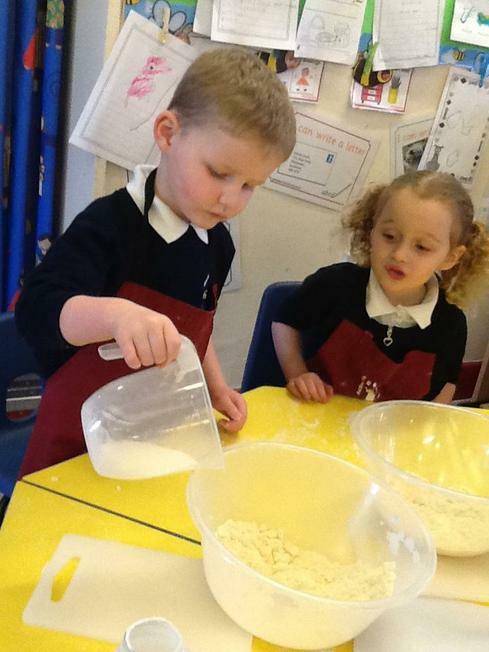 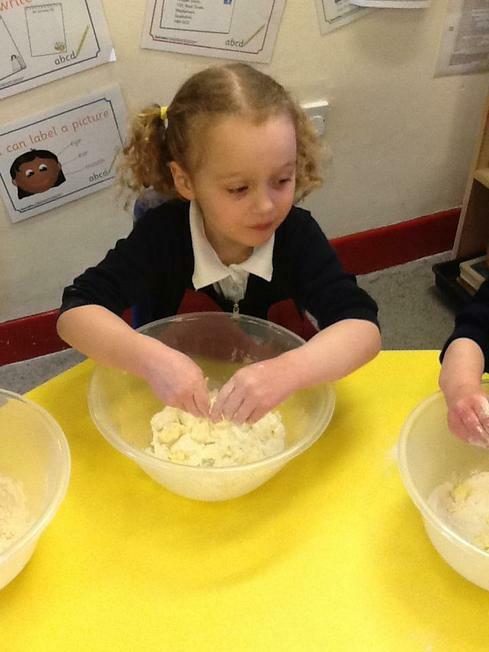 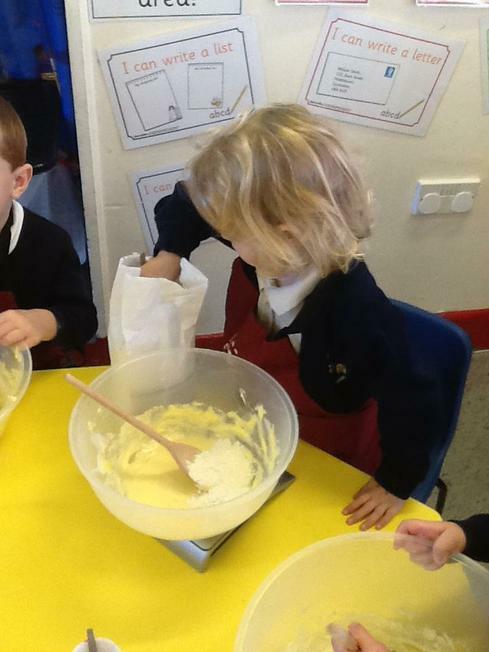 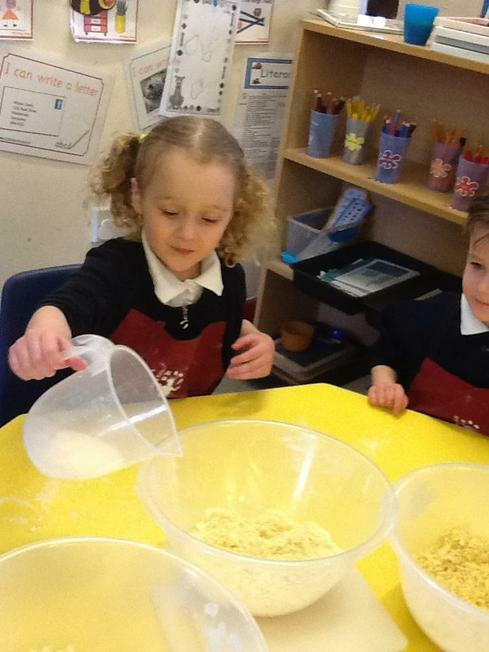 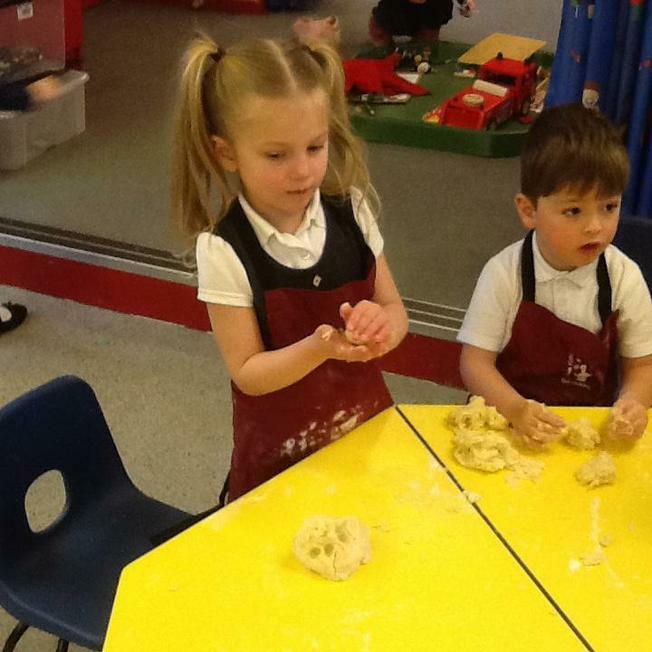 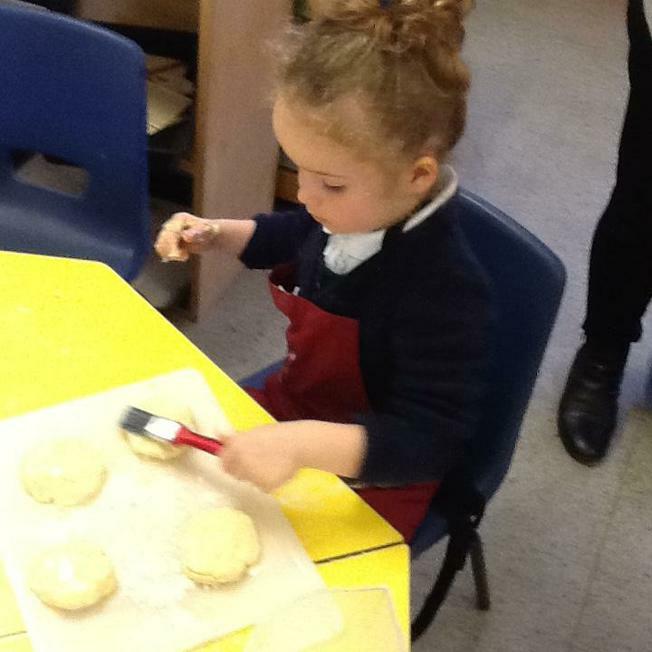 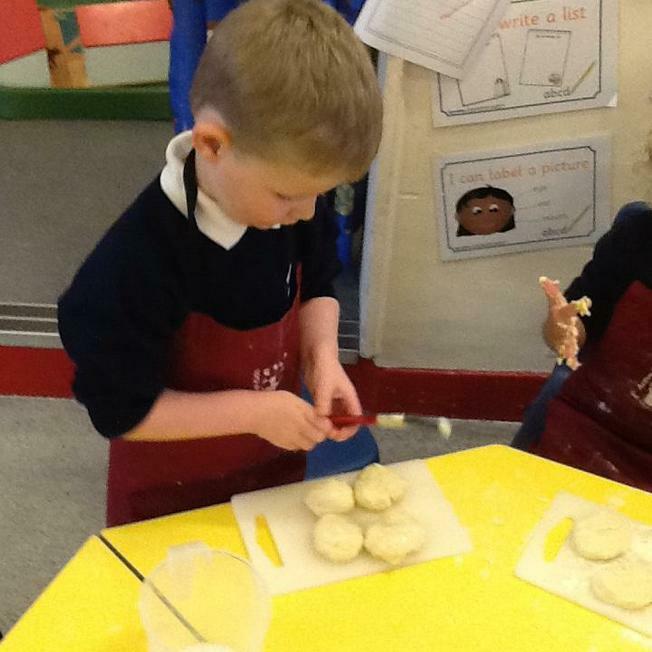 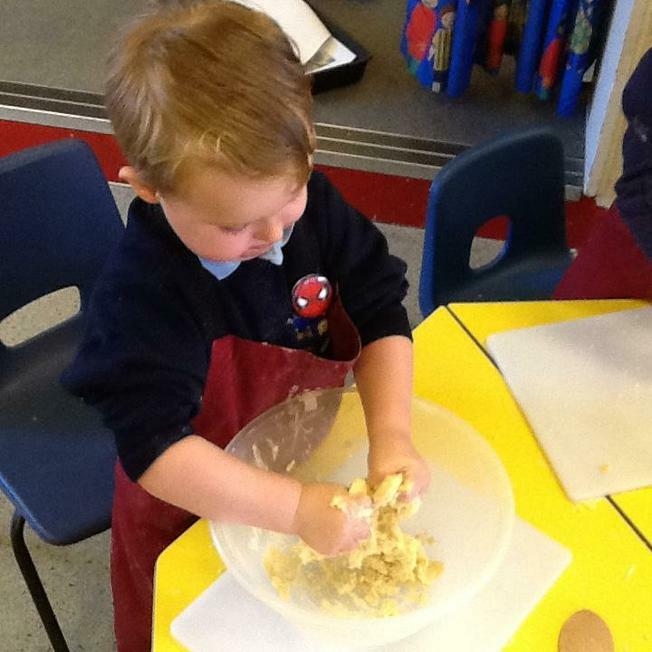 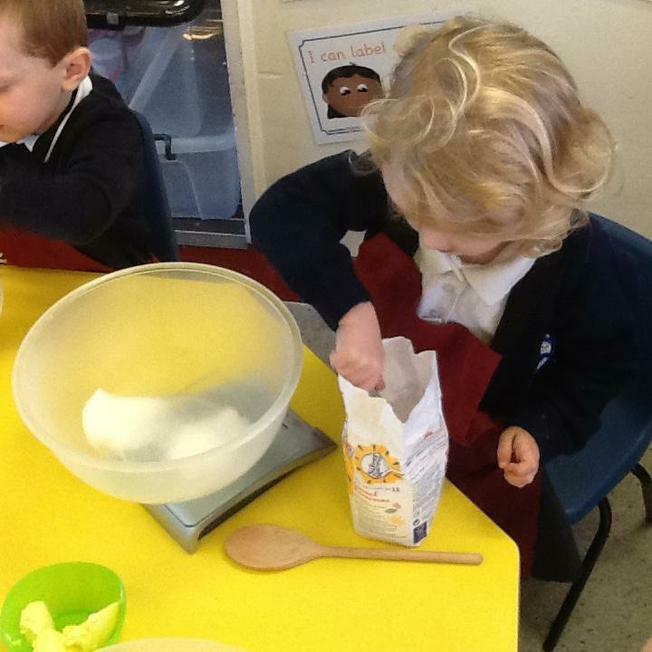 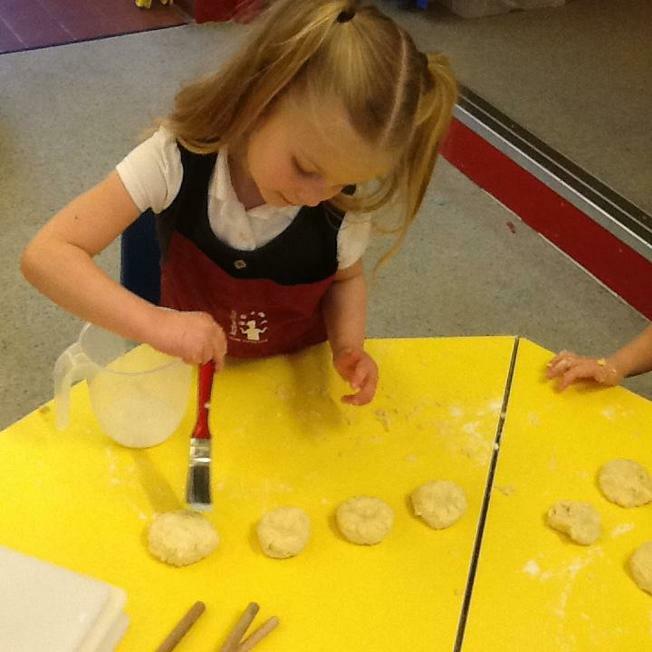 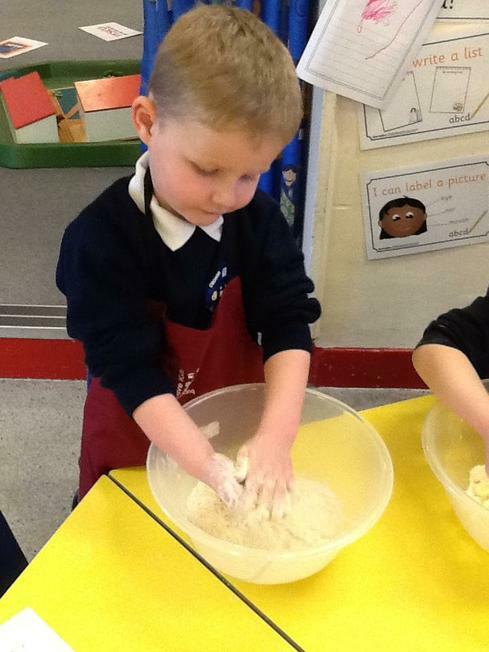 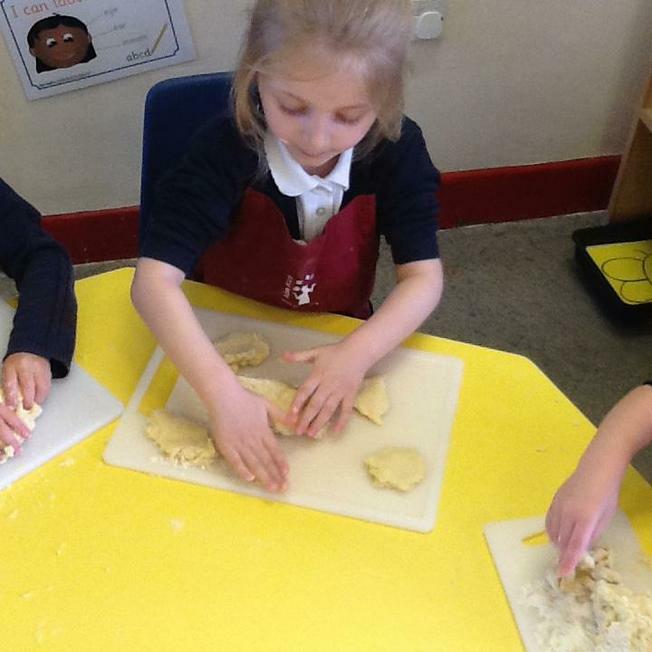 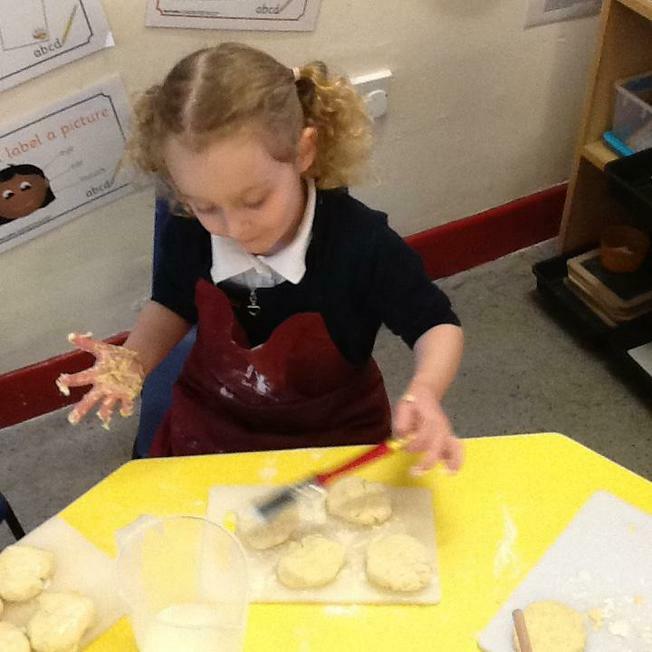 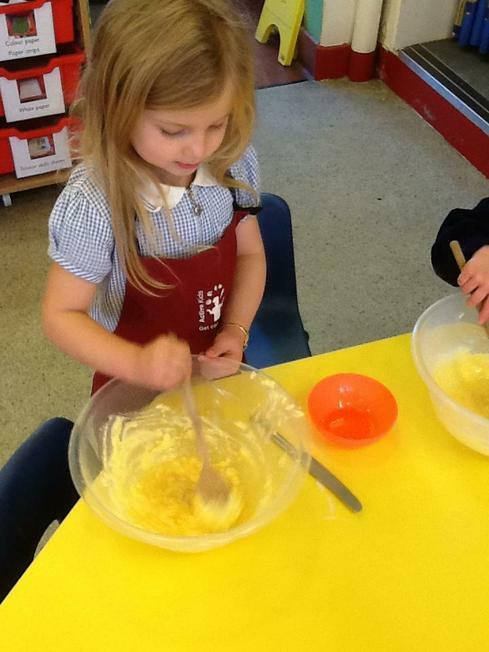 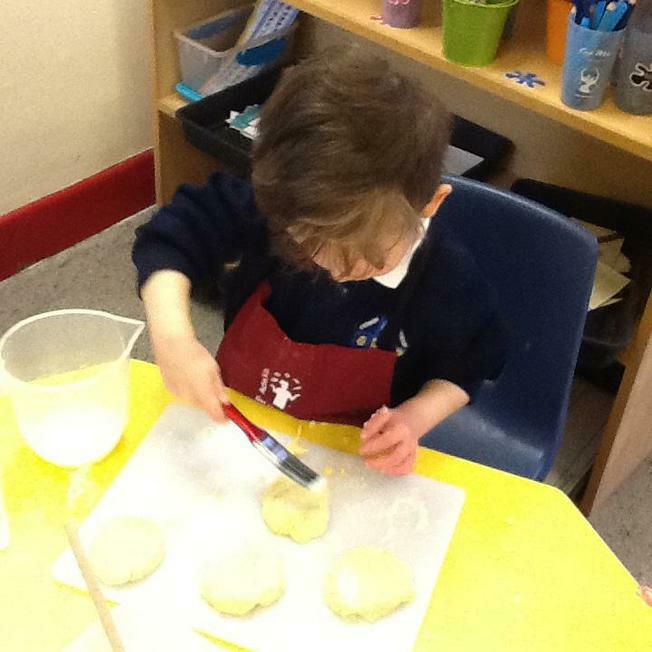 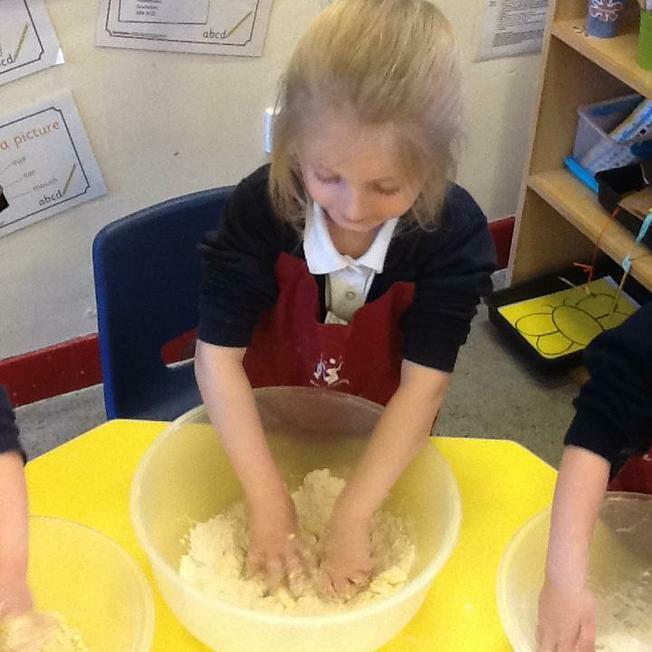 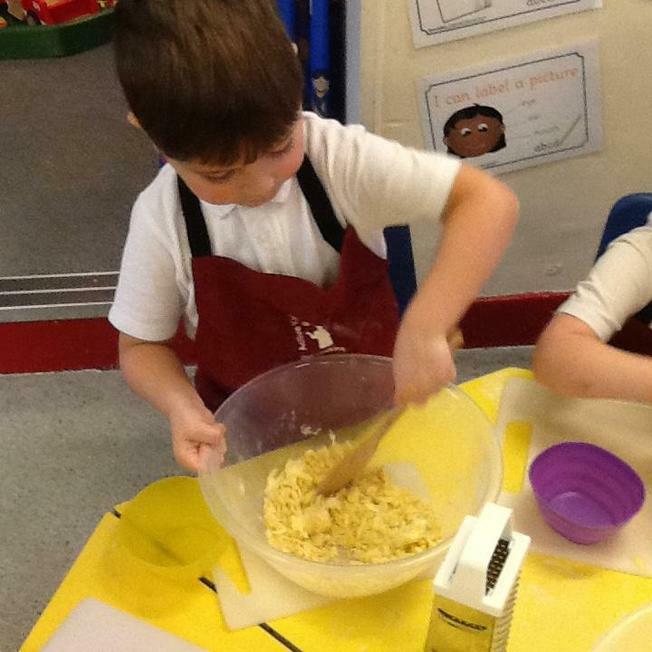 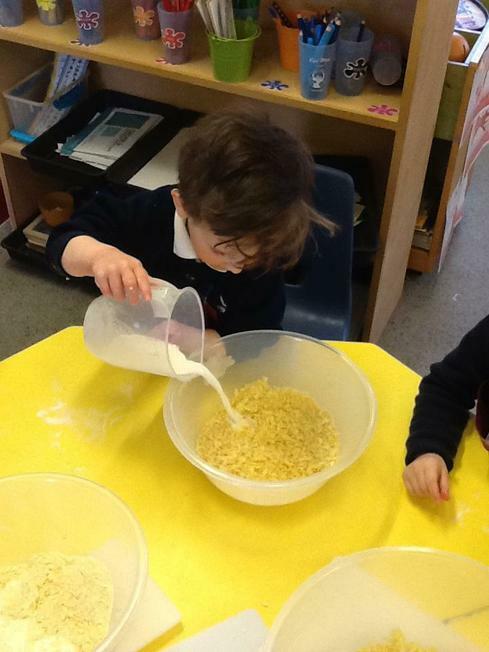 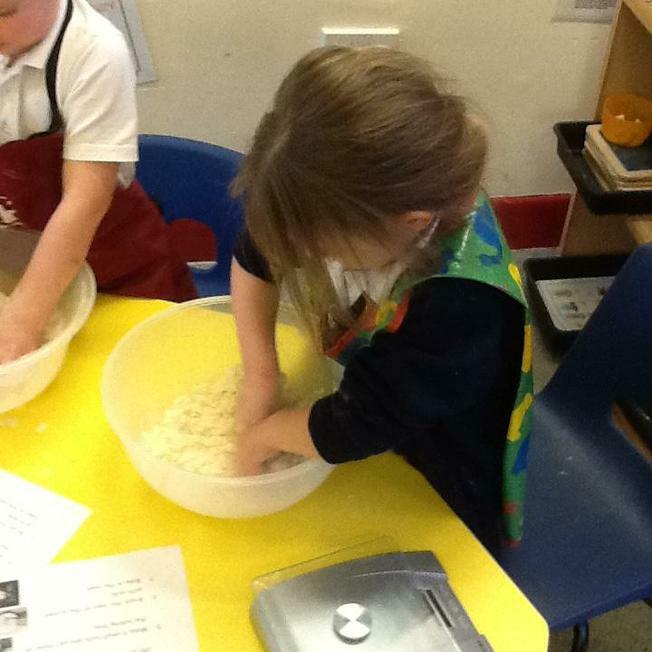 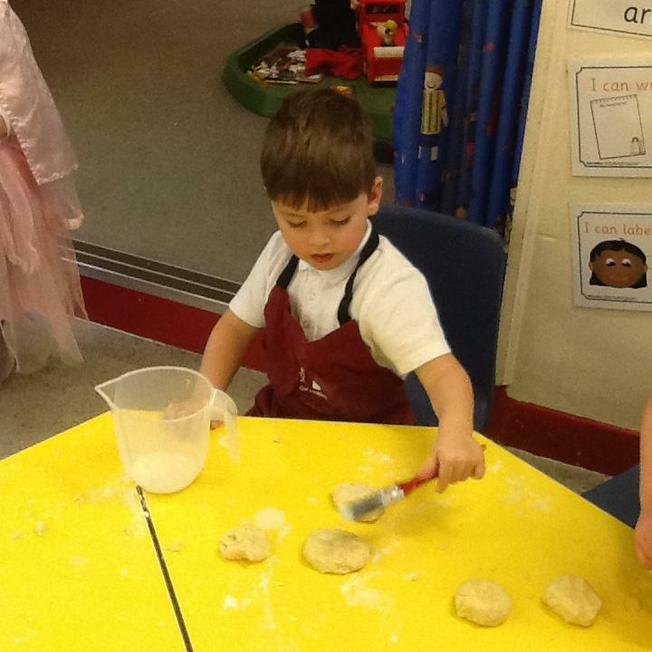 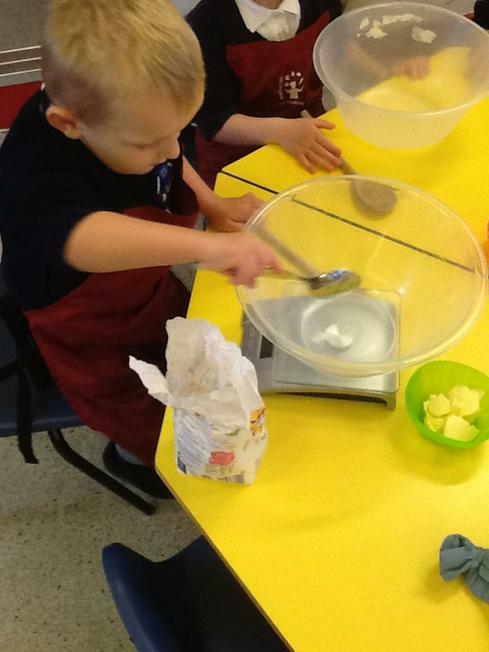 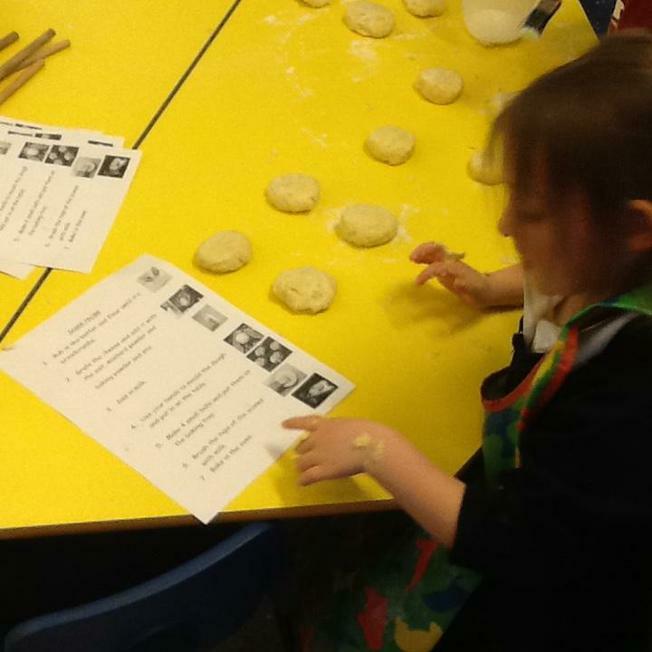 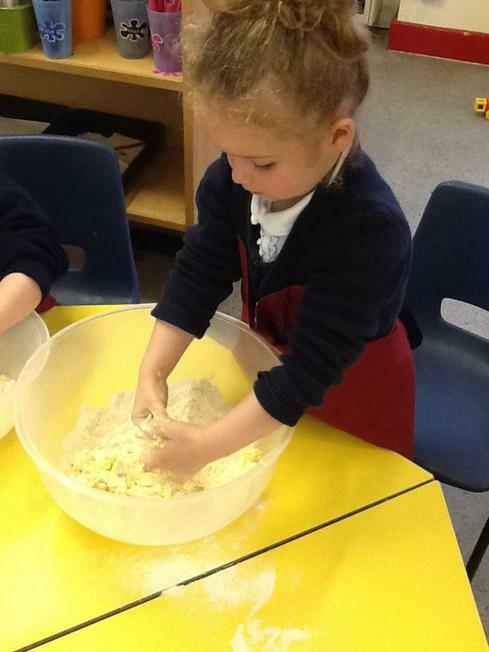 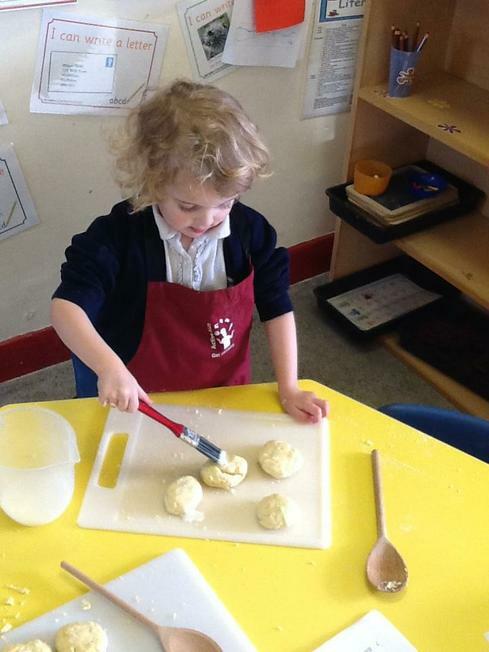 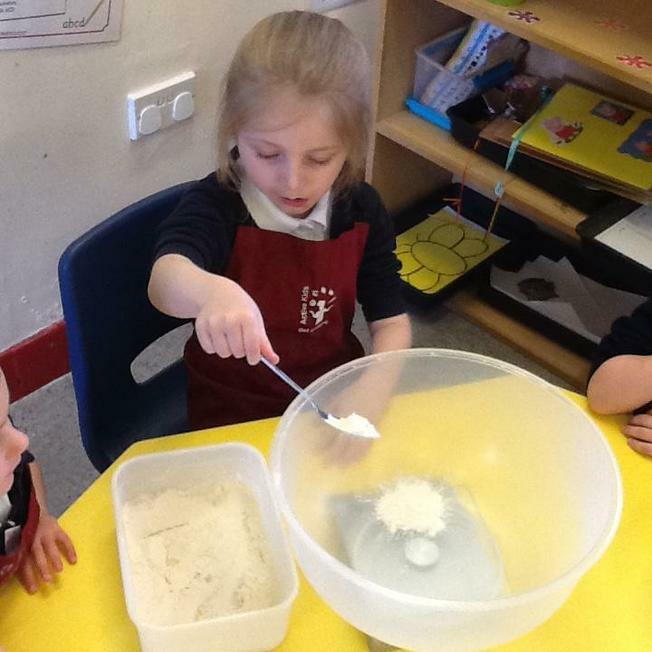 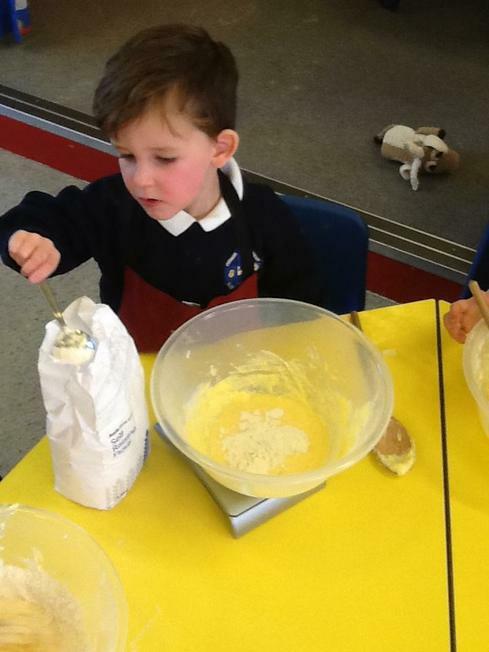 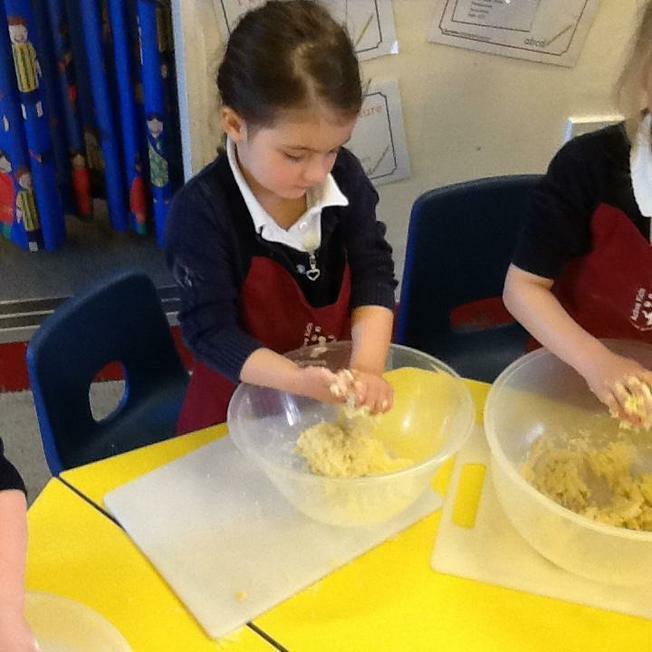 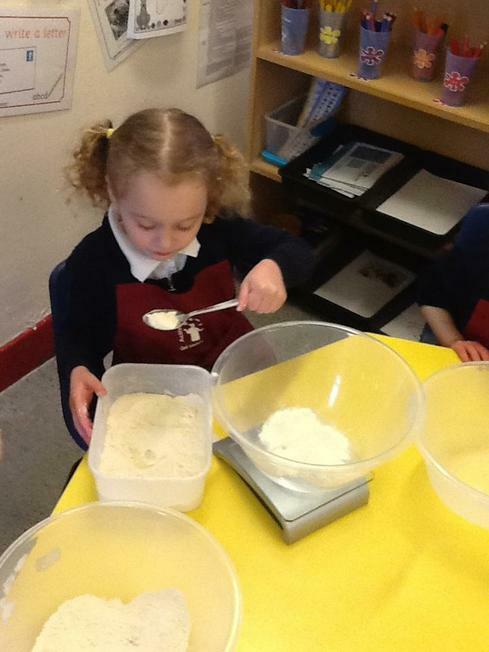 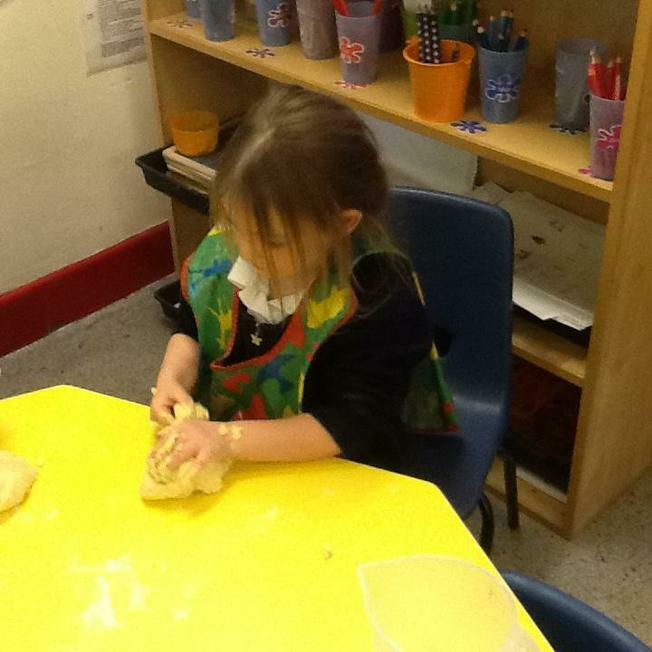 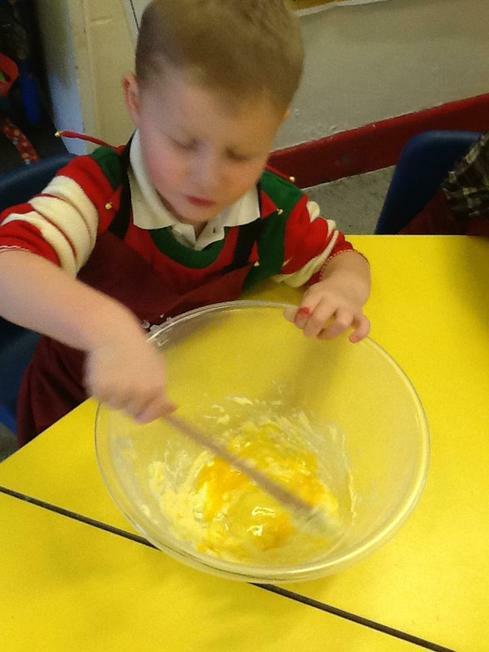 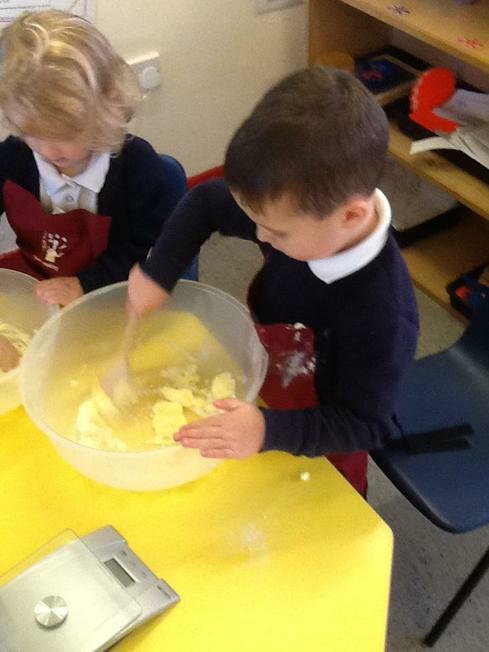 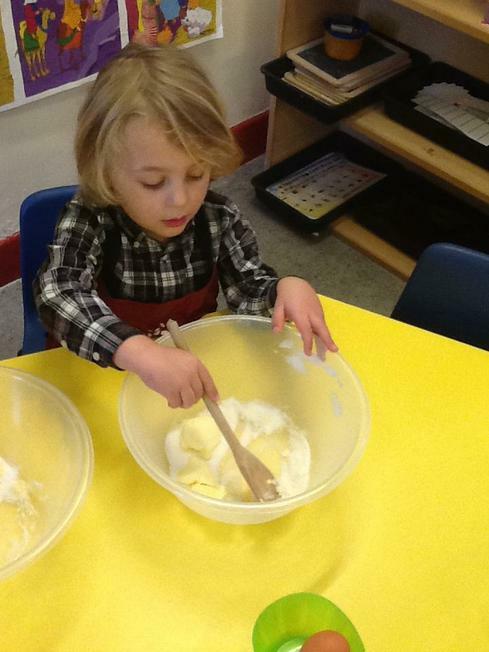 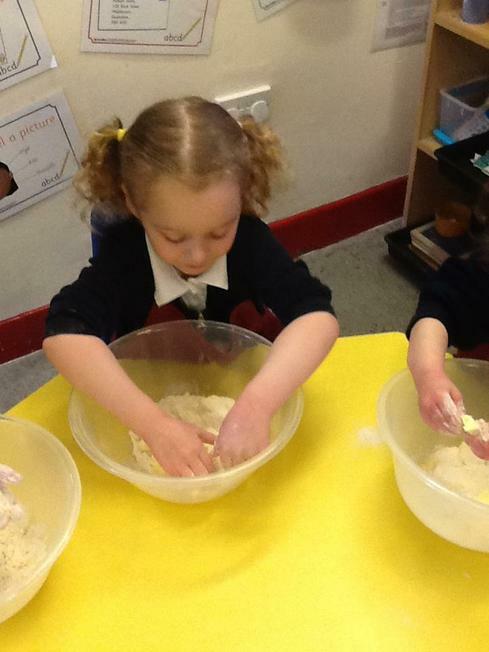 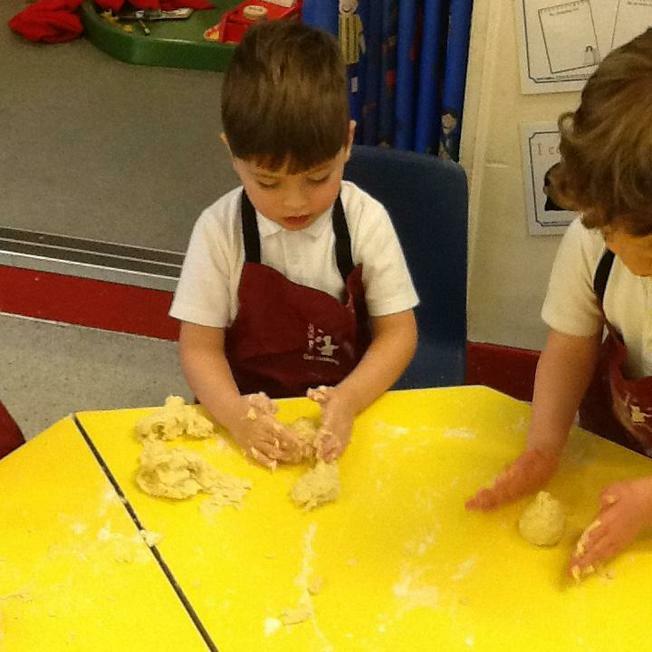 During the Spring Term, we are making Cheese Scones. 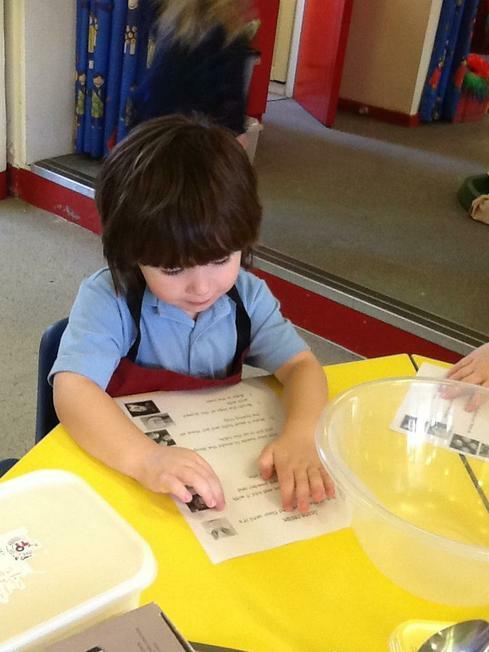 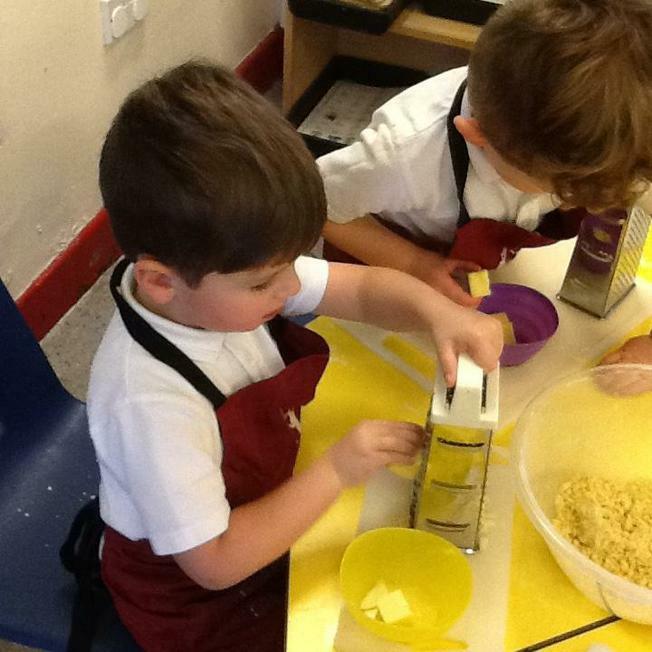 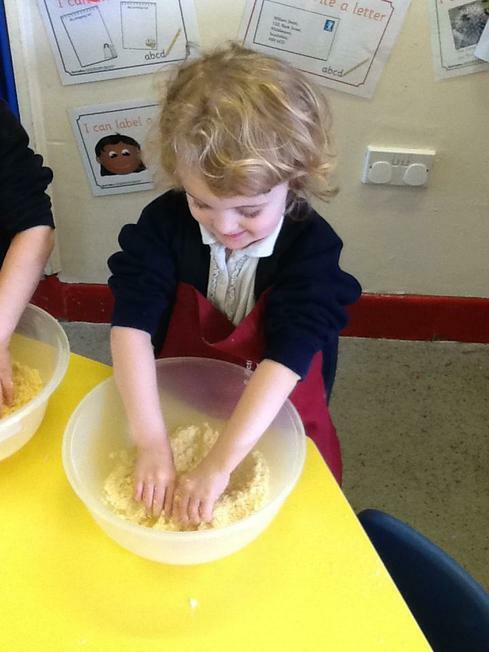 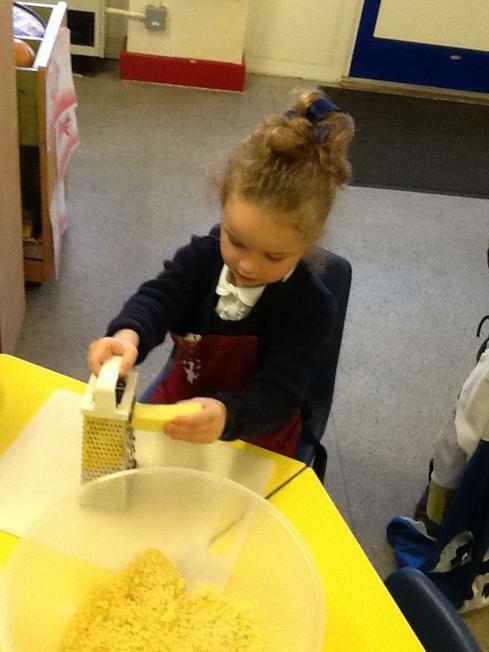 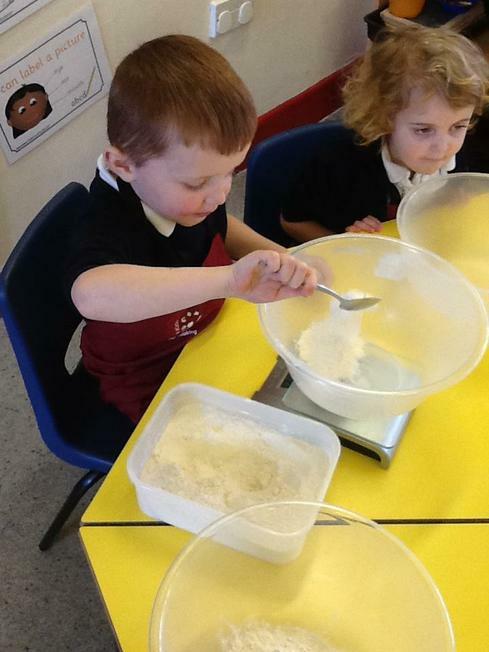 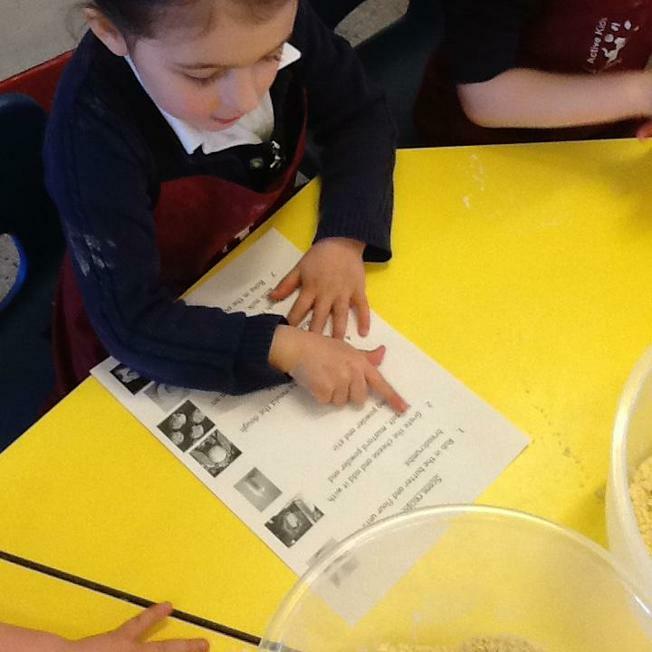 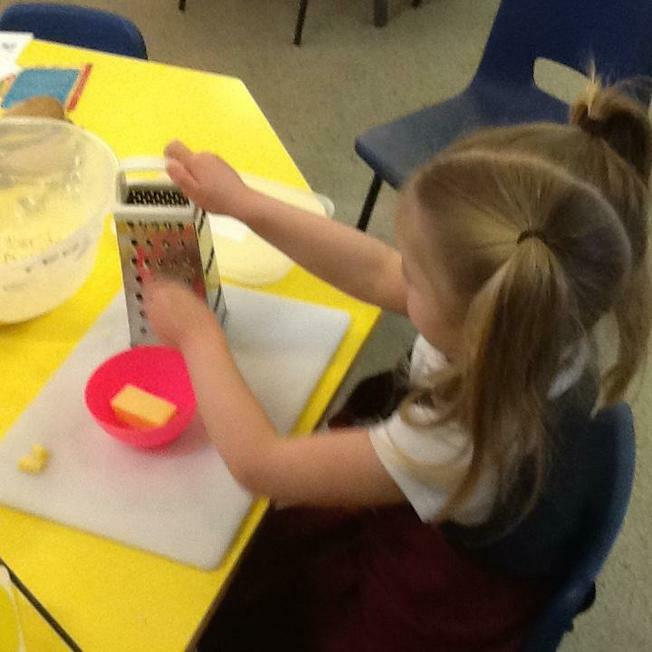 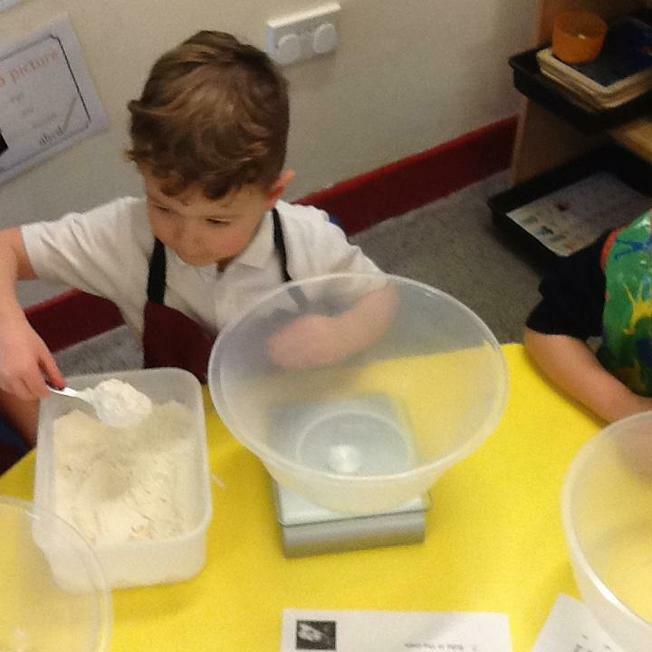 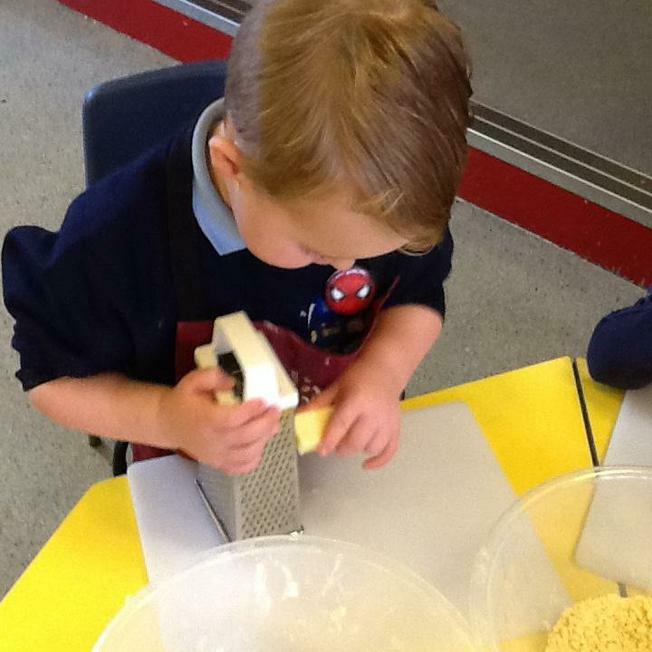 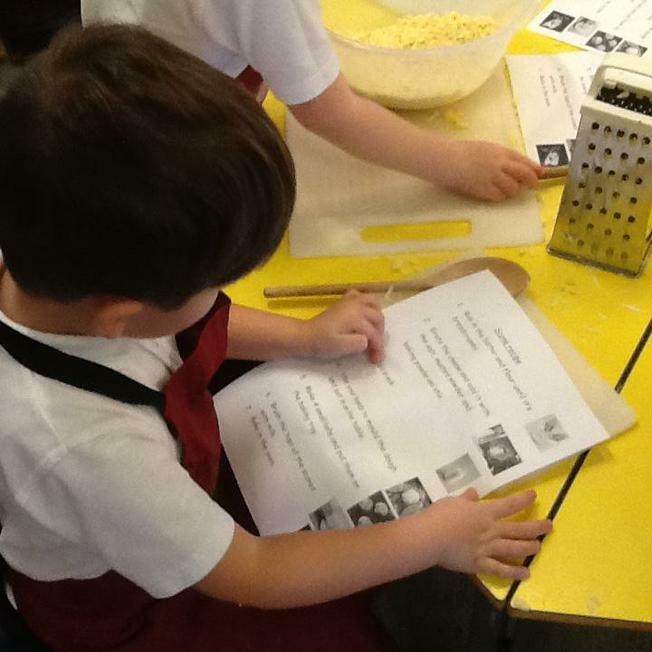 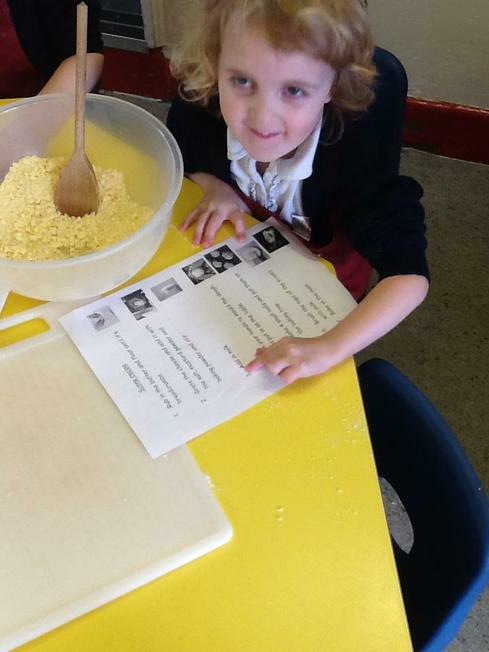 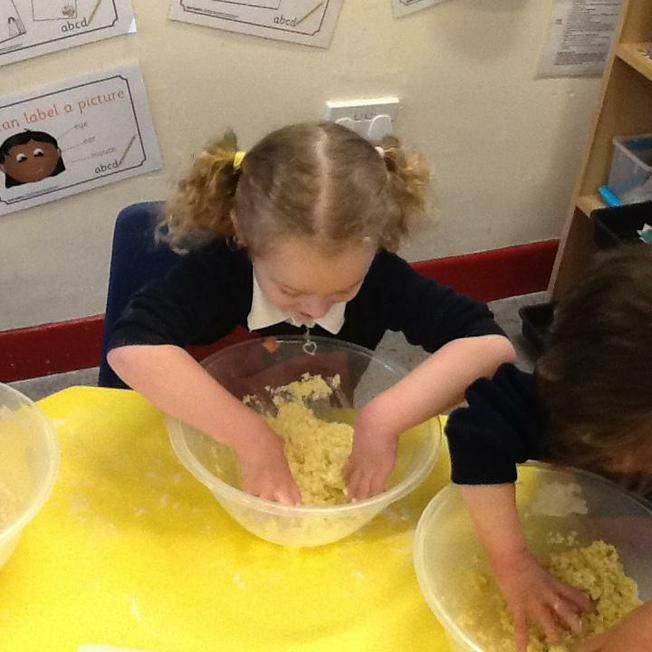 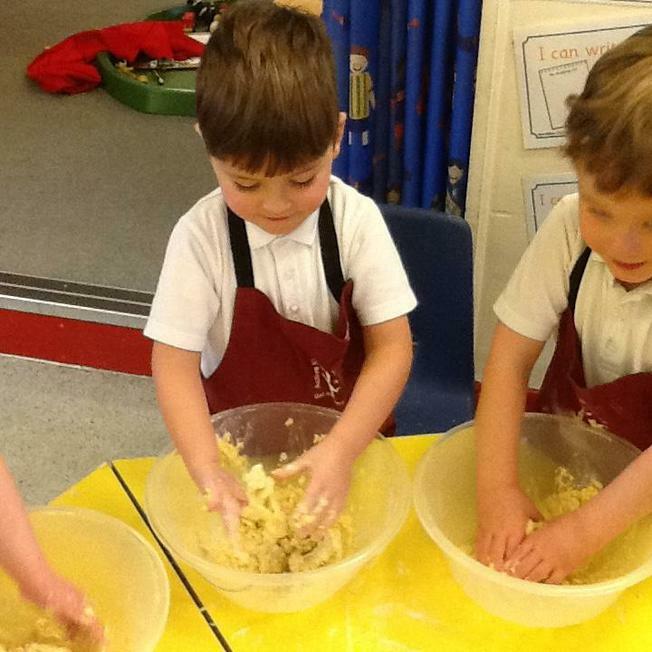 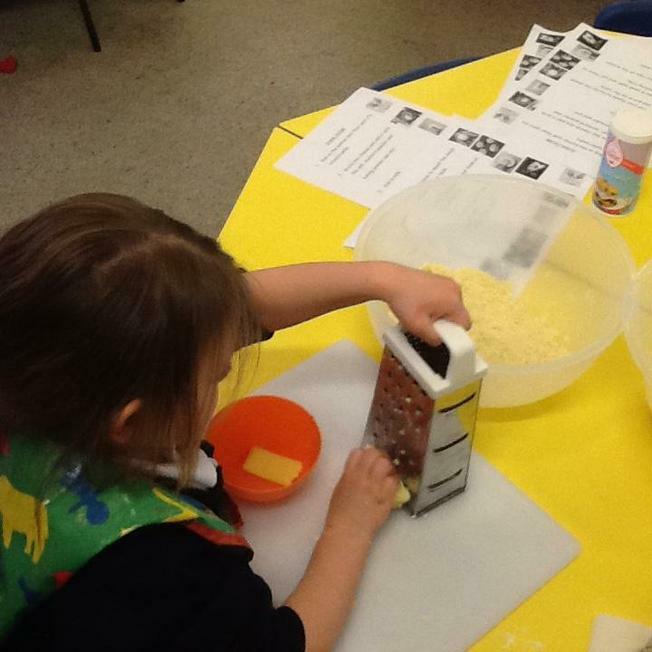 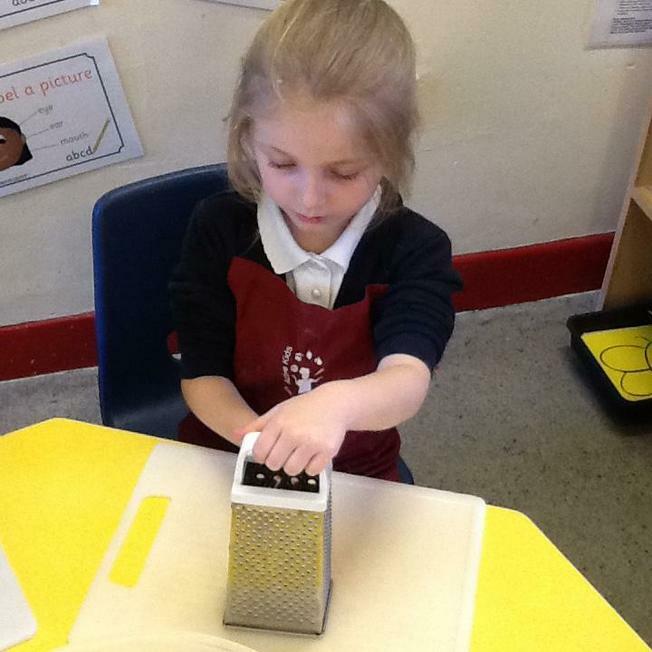 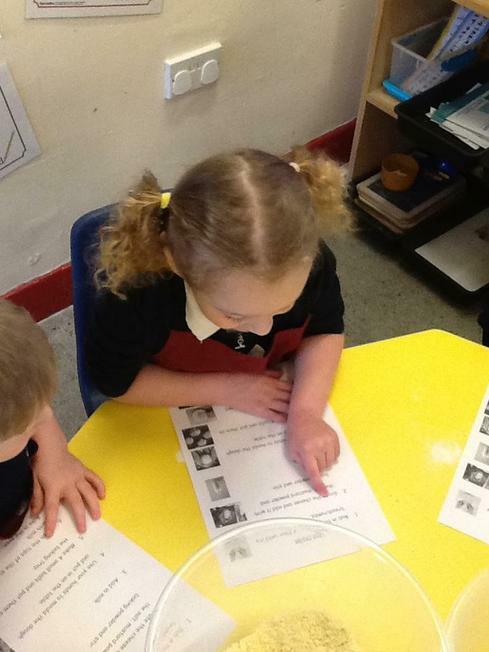 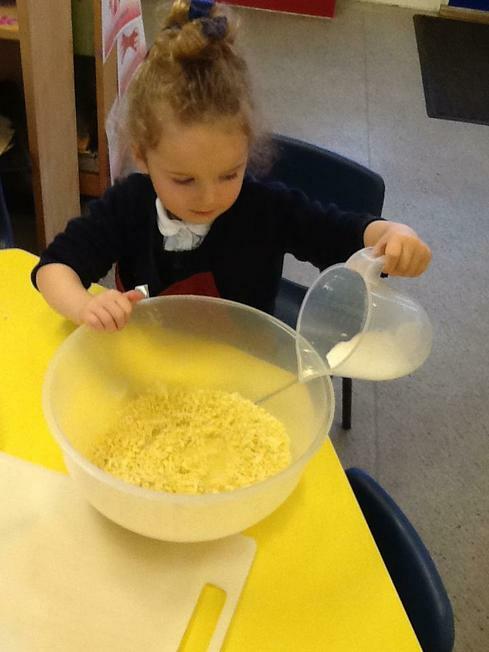 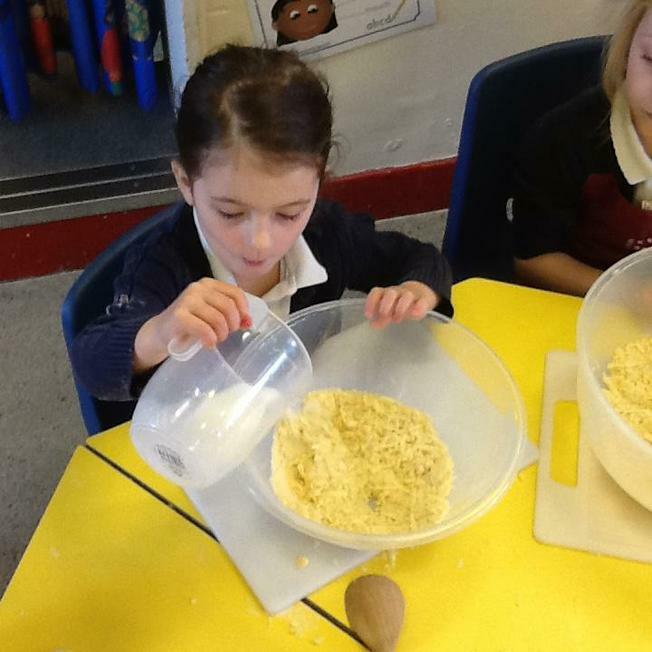 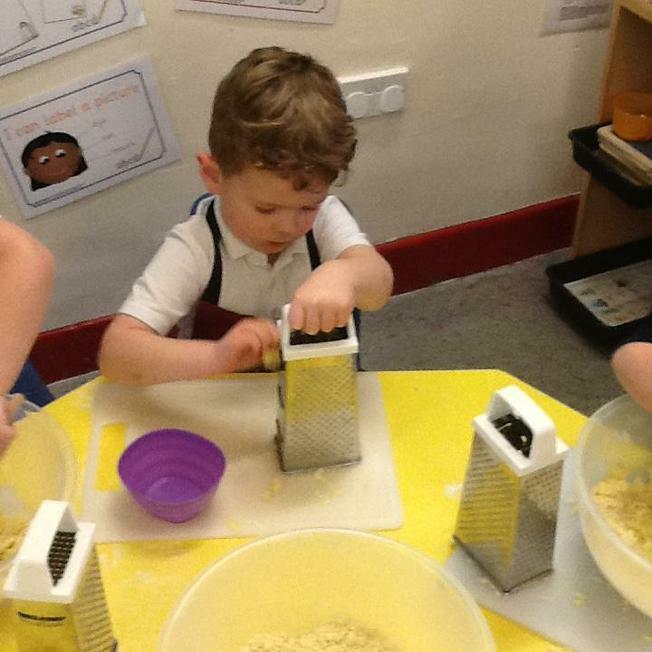 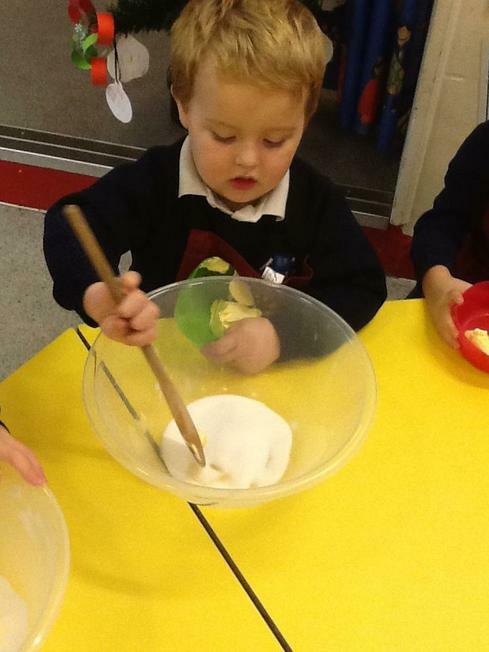 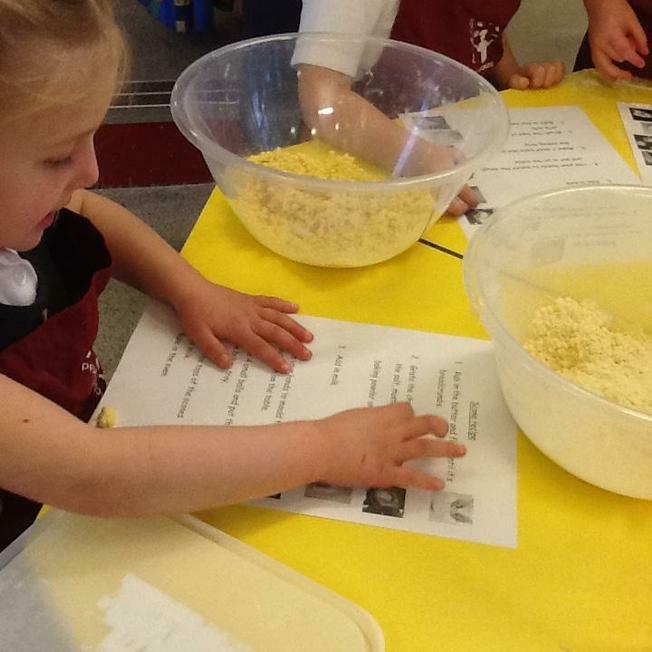 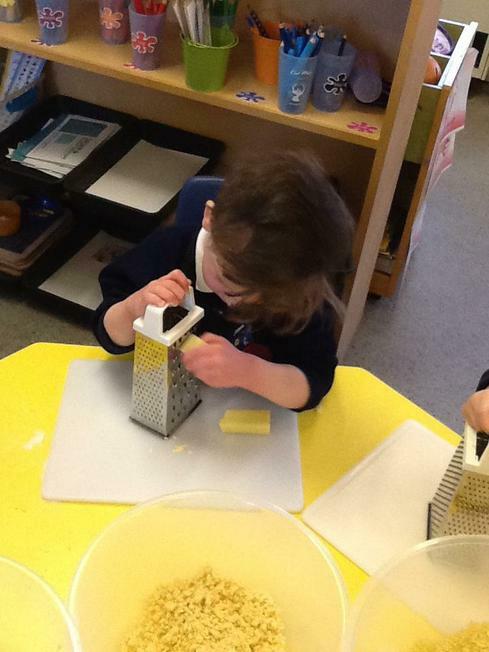 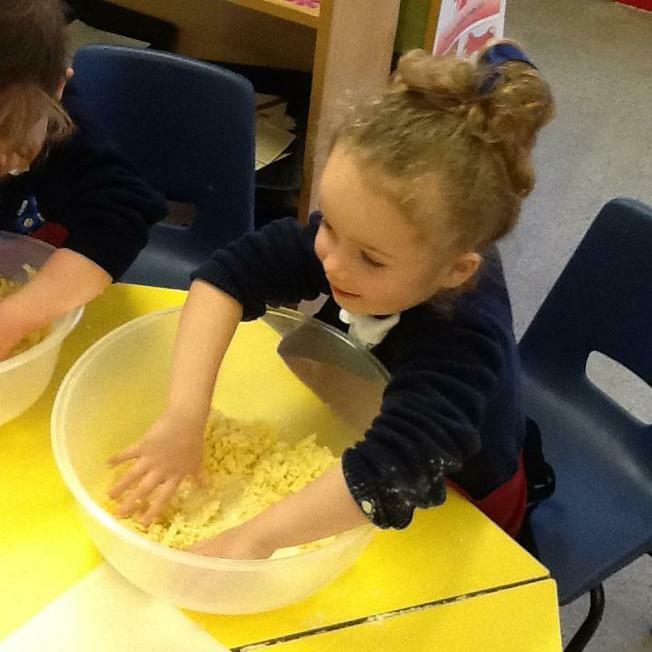 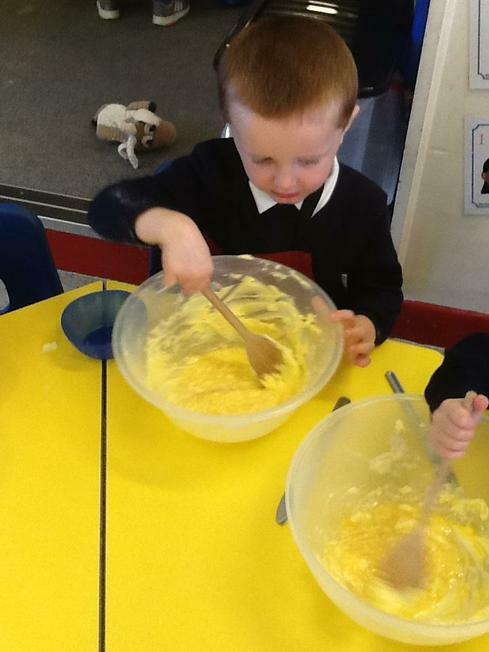 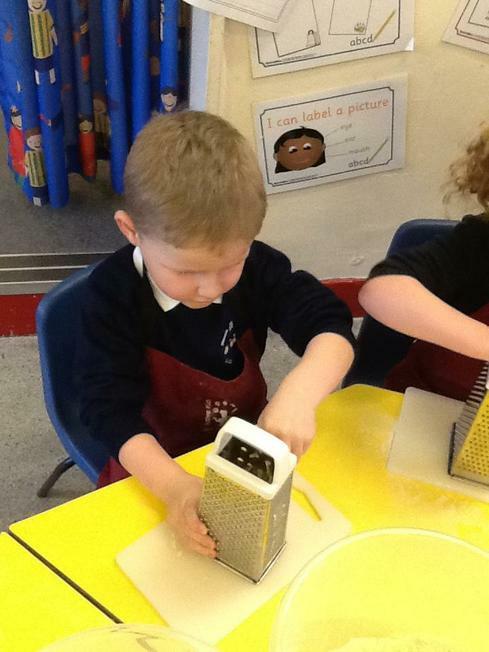 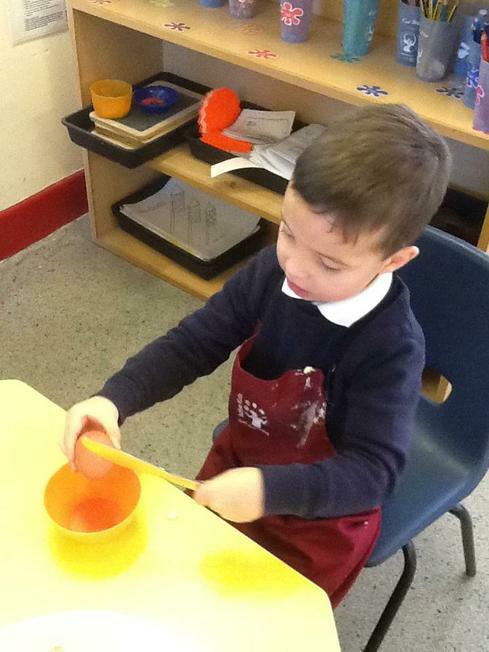 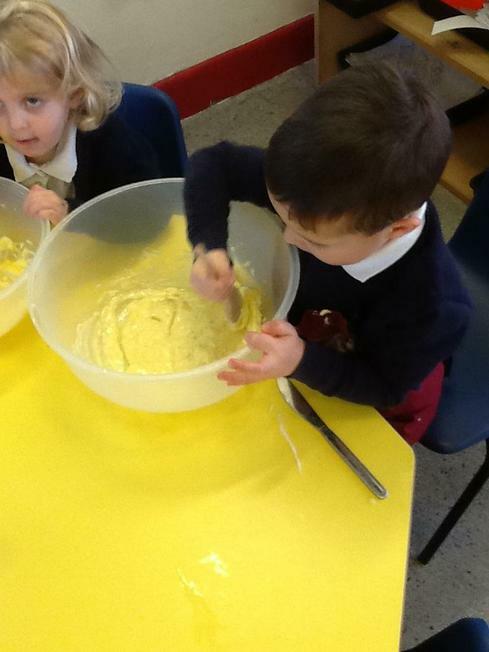 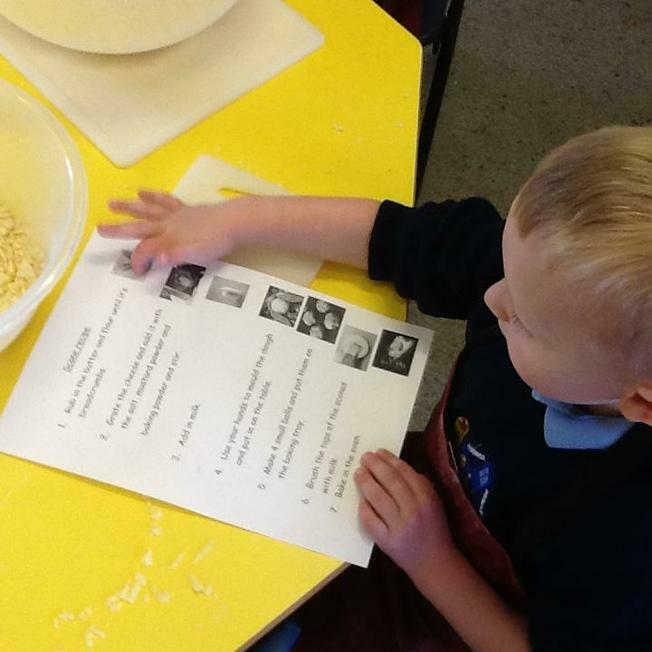 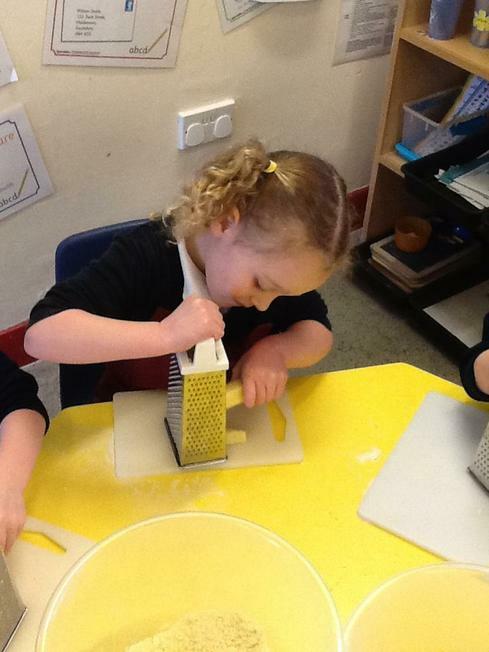 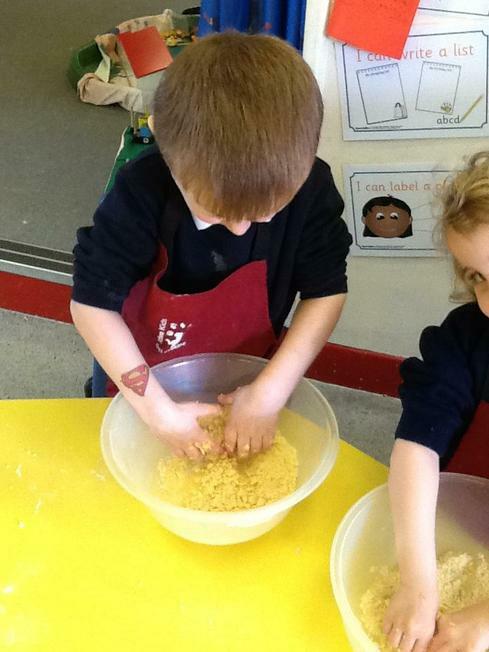 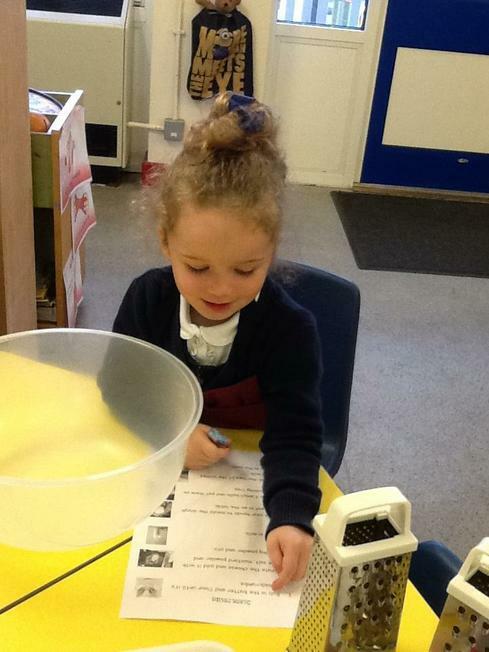 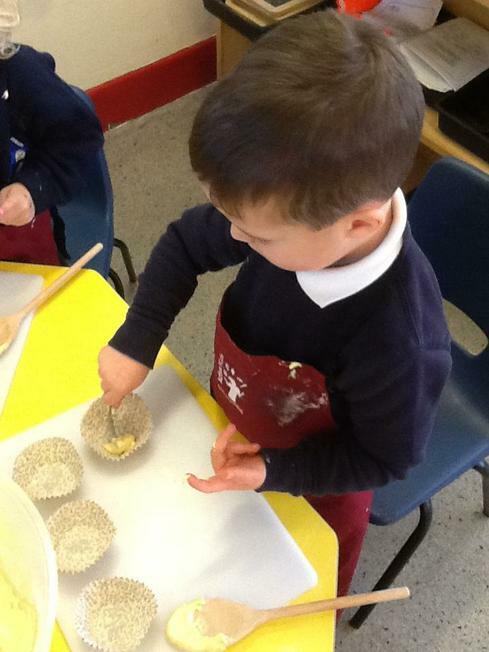 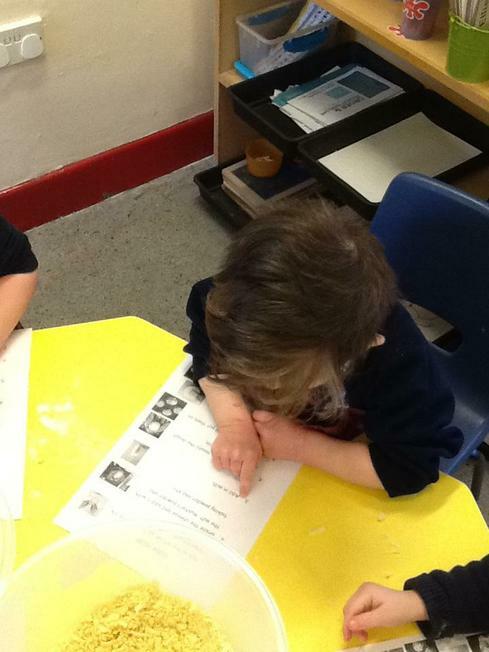 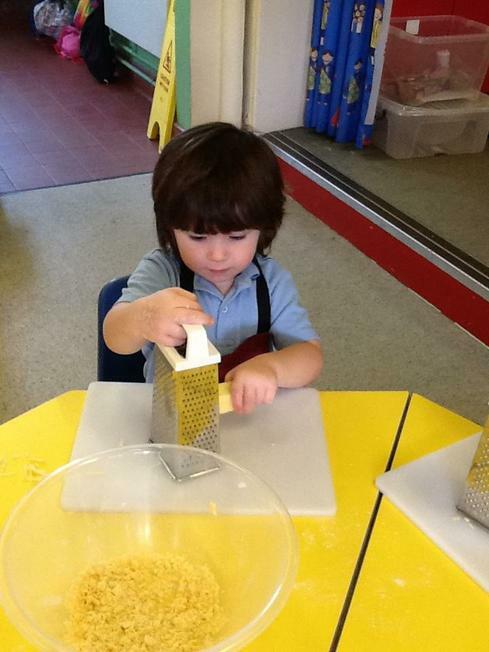 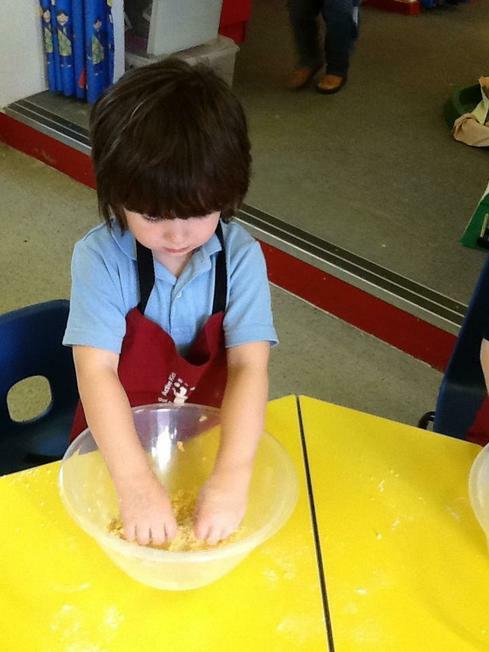 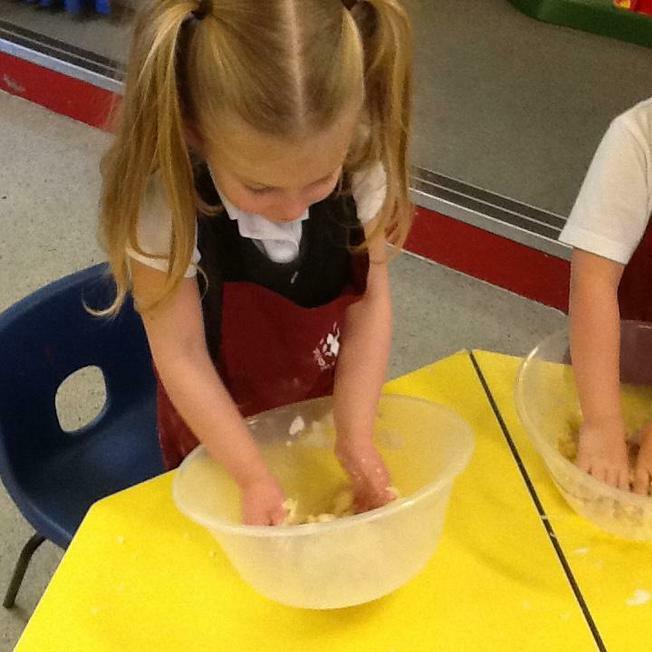 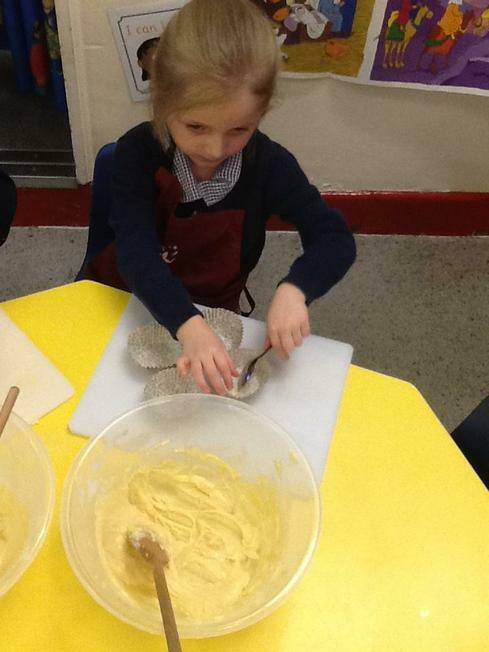 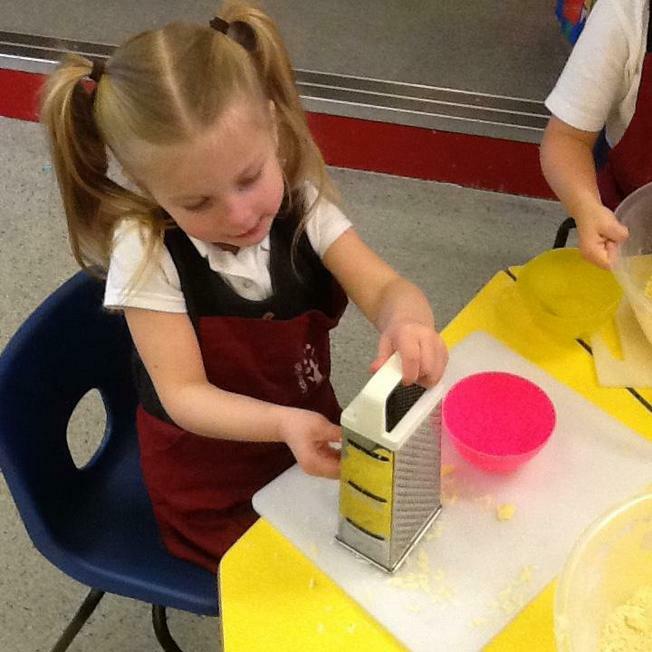 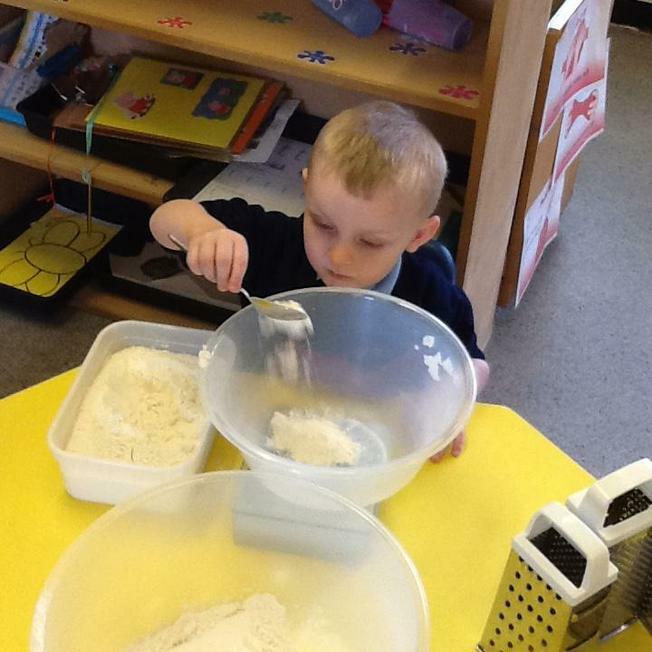 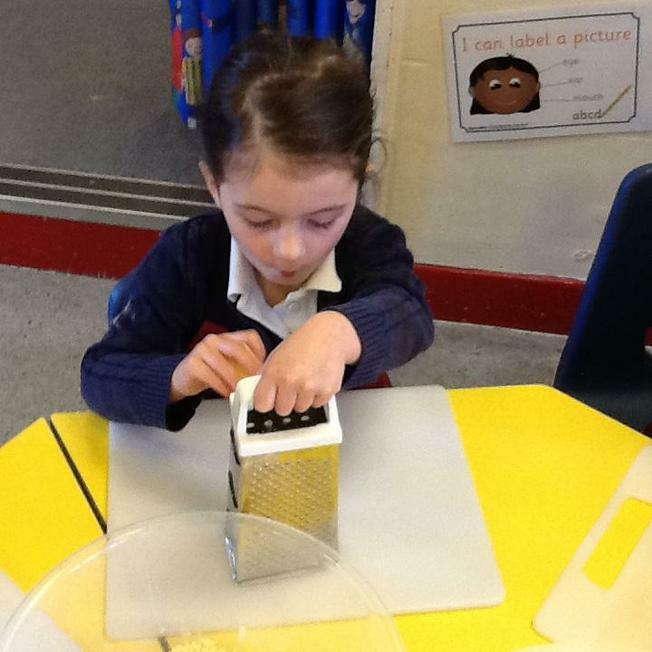 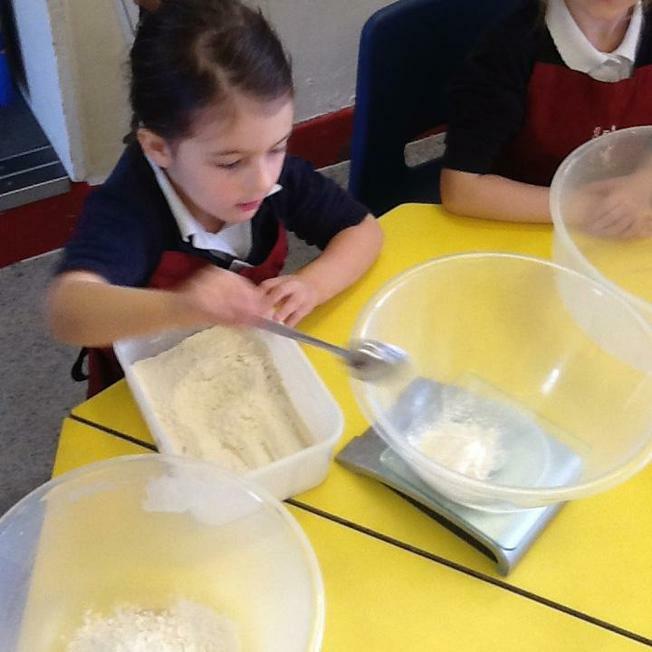 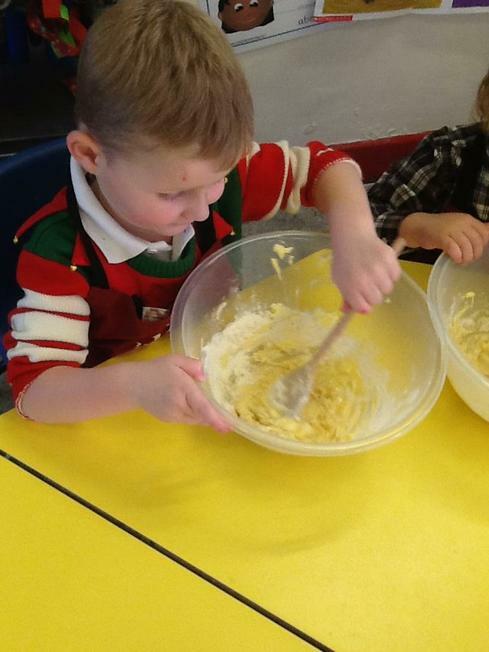 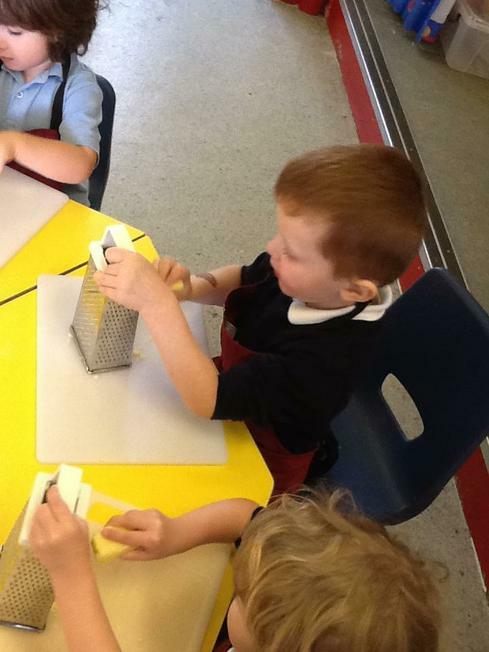 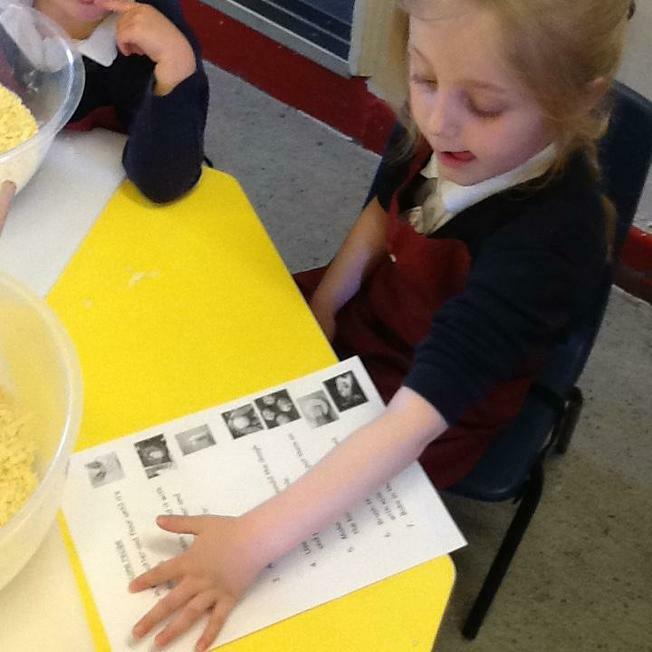 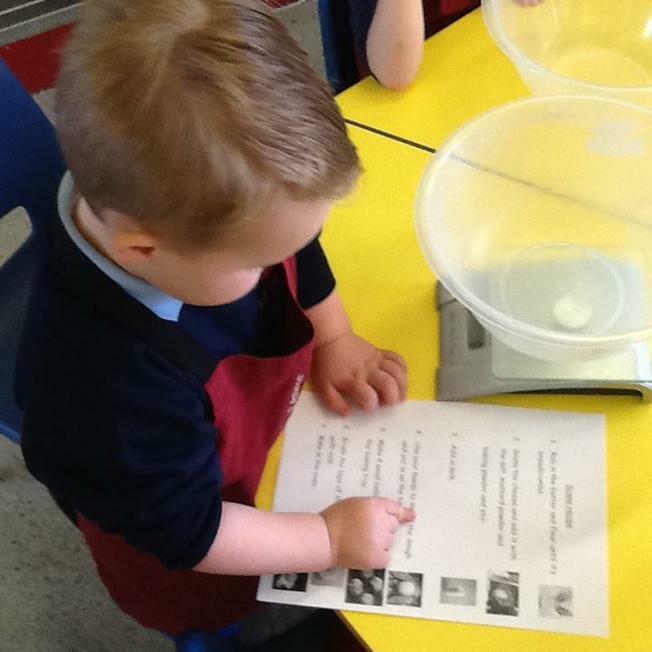 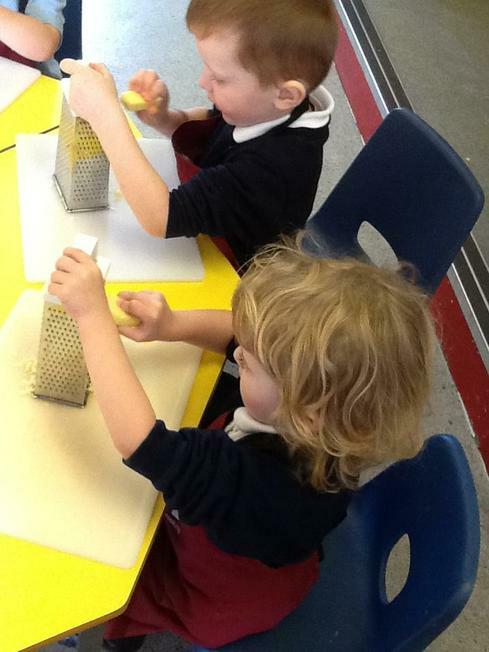 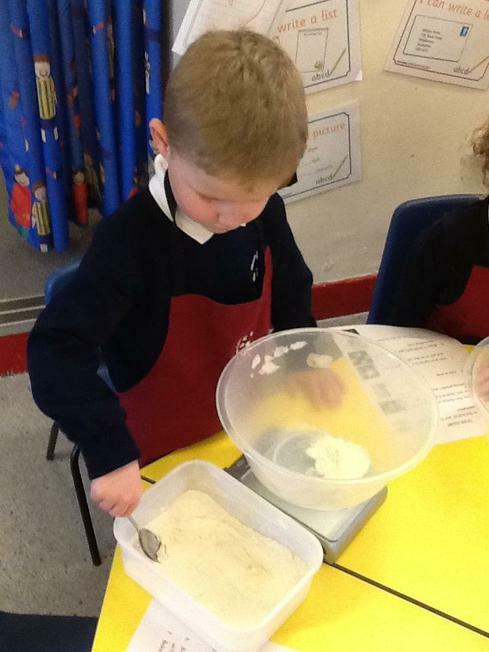 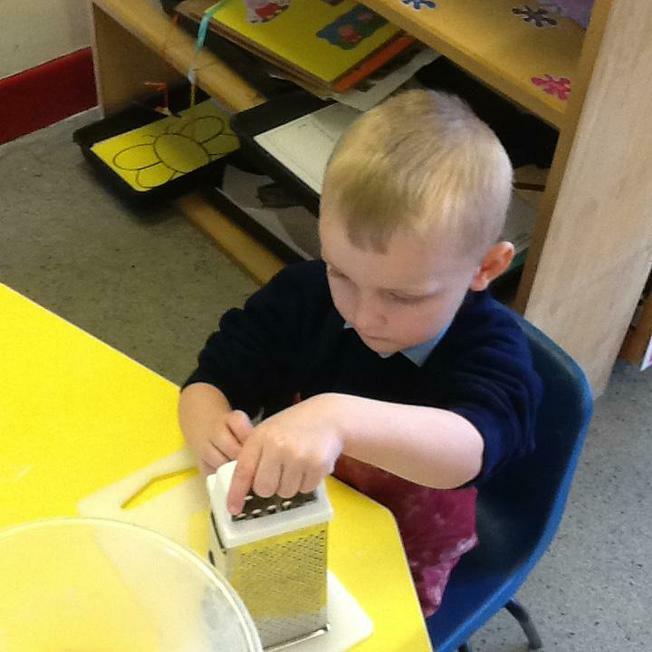 We have learnt a new skill of grating the cheese, which we have to be very careful with. 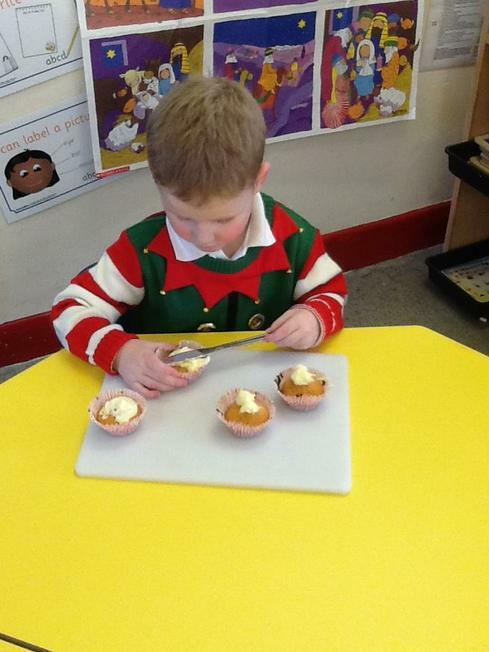 They smelt delicious as they were baking!